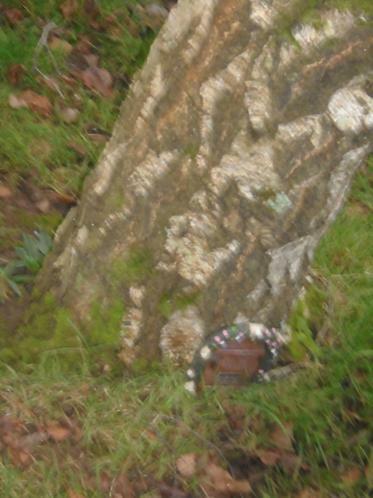 Urgent Message from Elf Road! 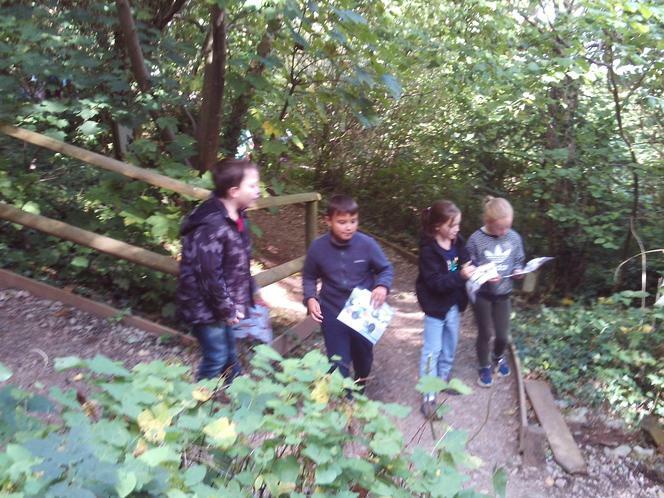 Our great hunt for the Entrance! 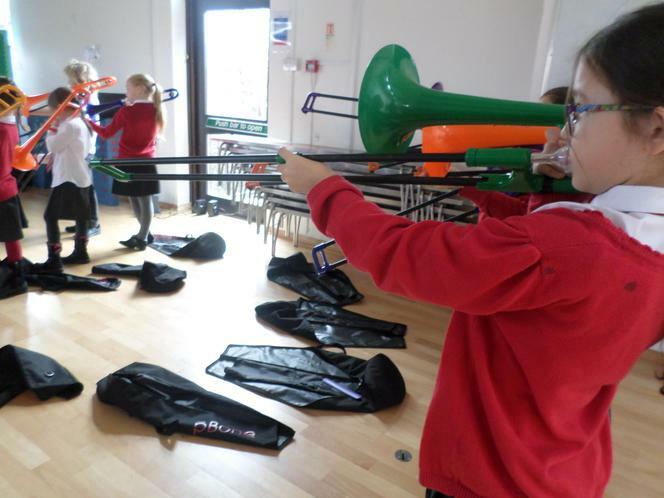 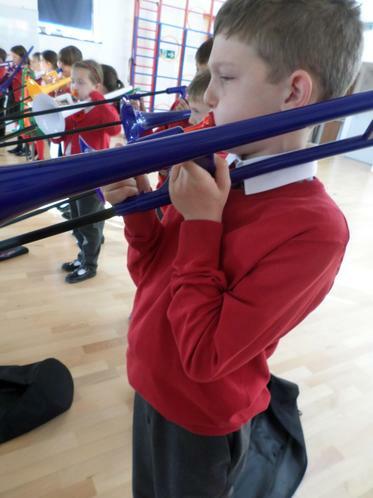 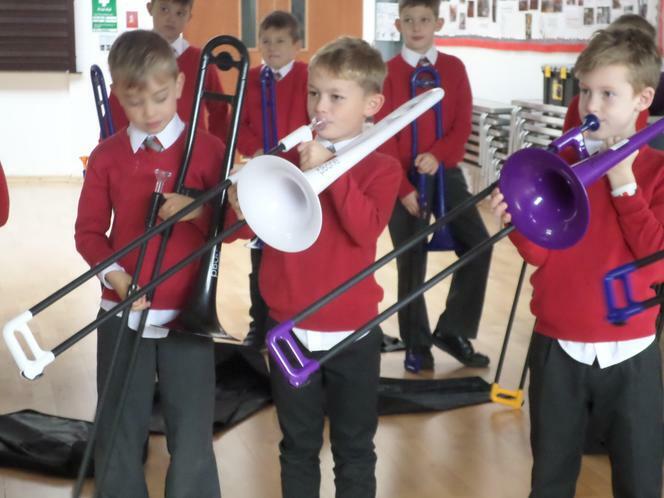 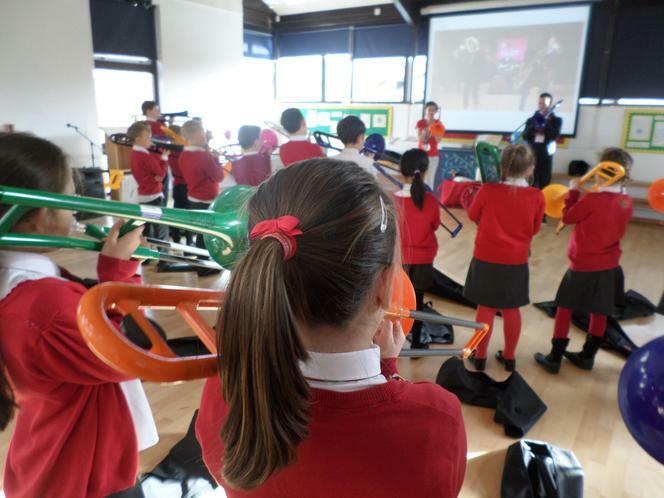 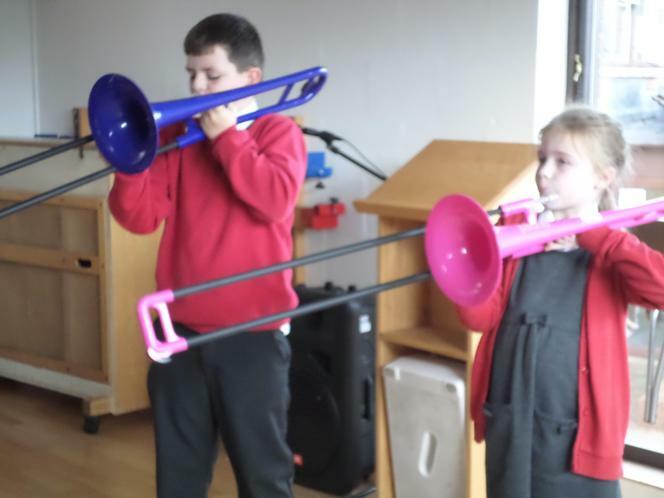 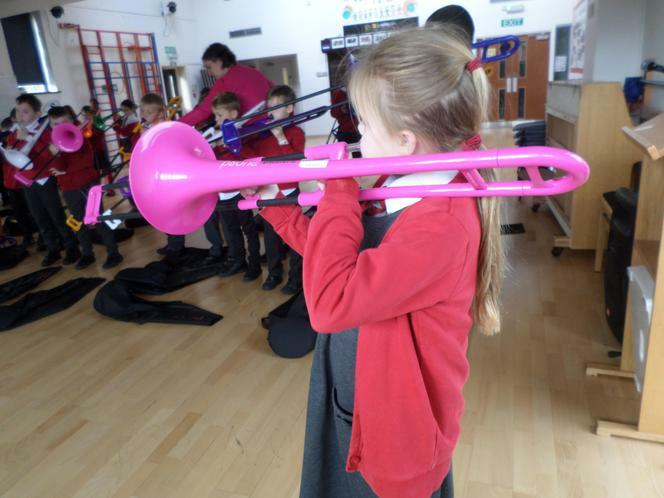 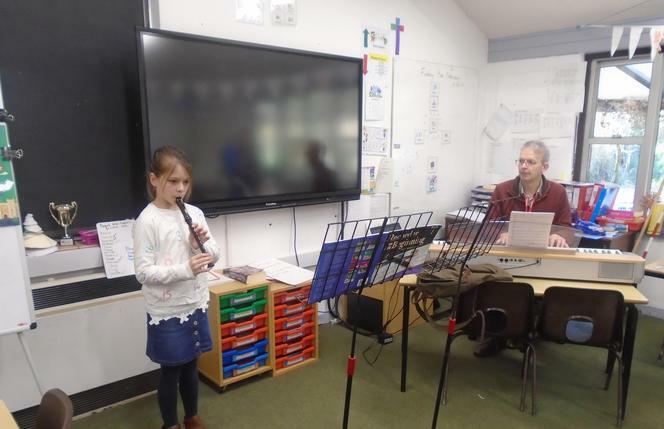 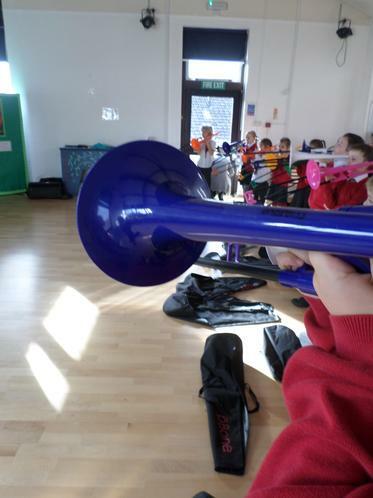 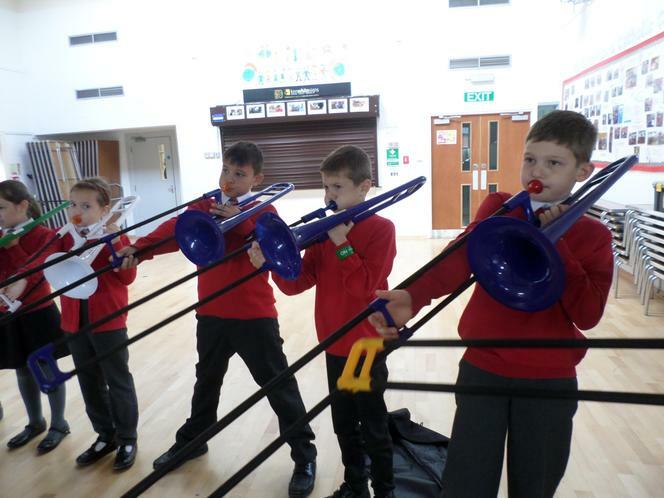 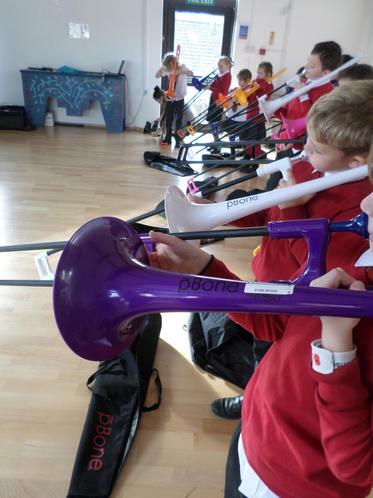 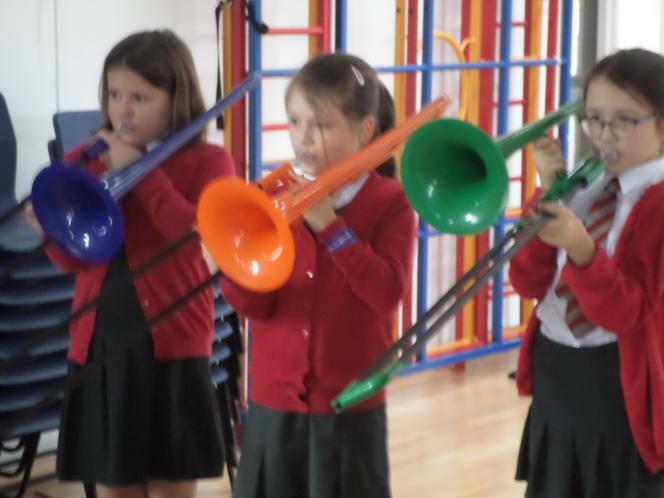 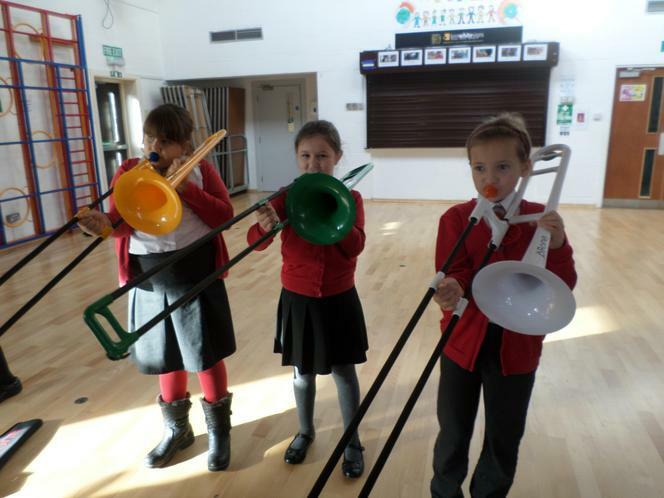 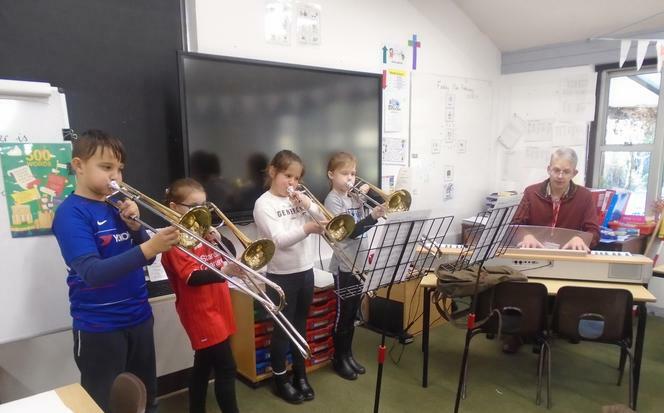 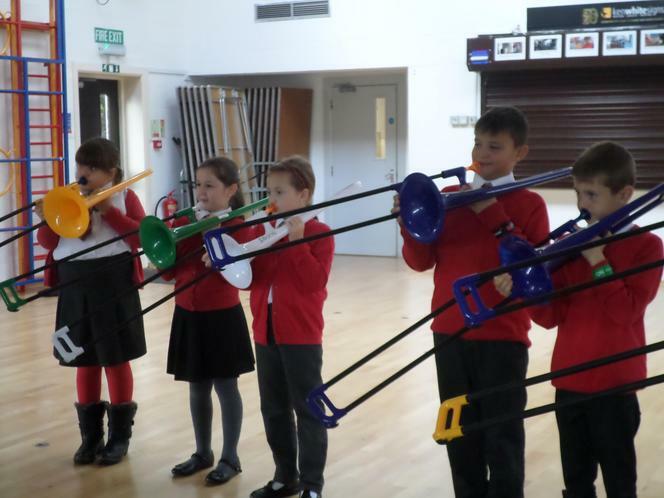 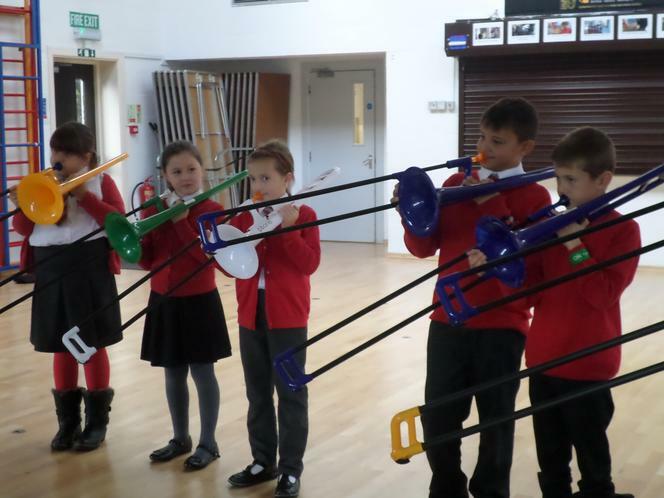 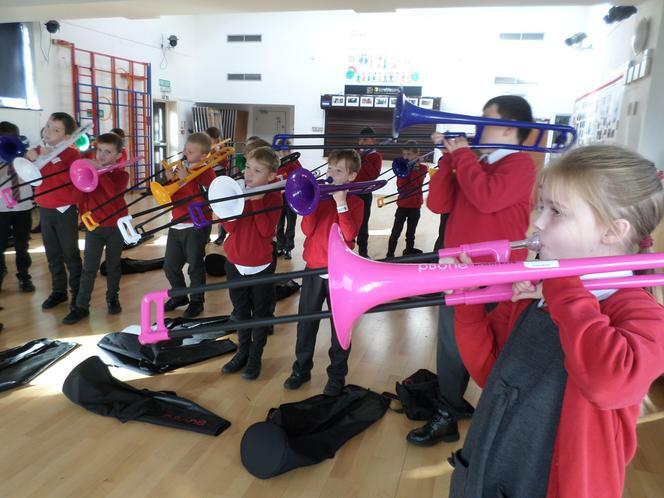 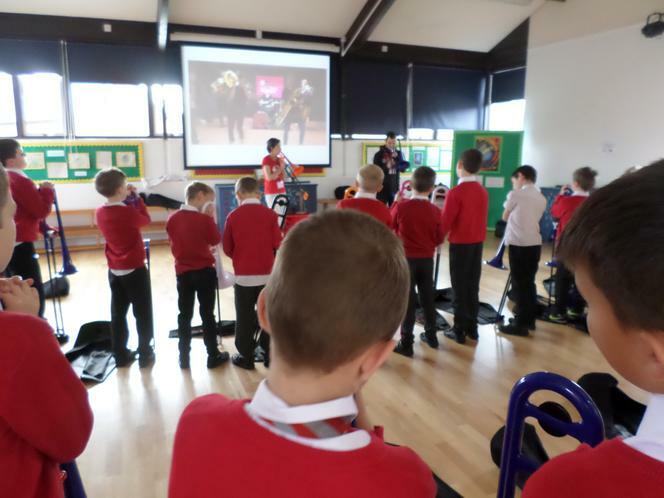 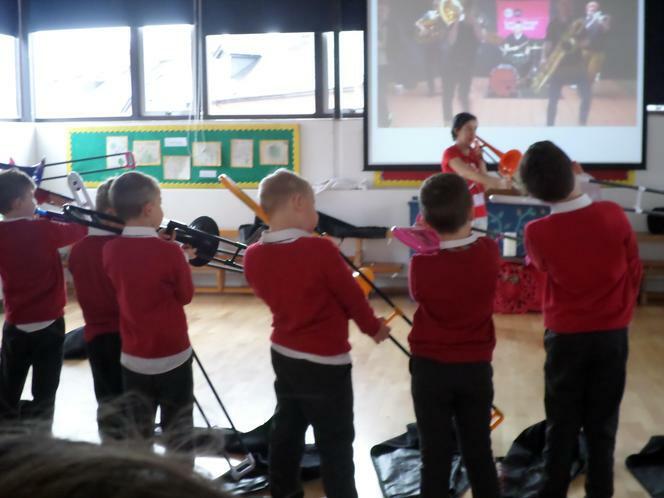 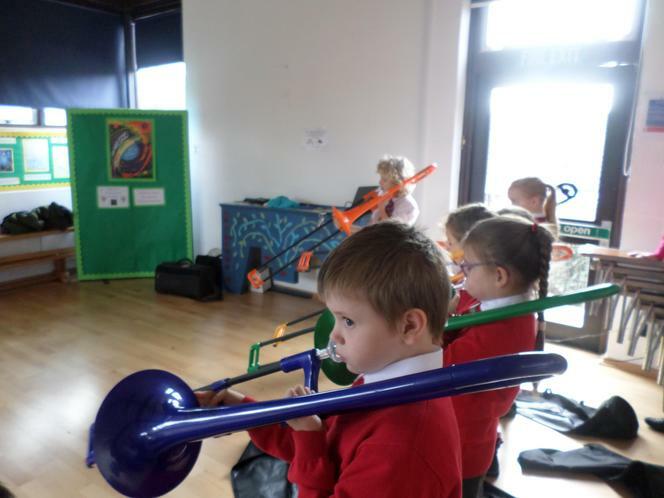 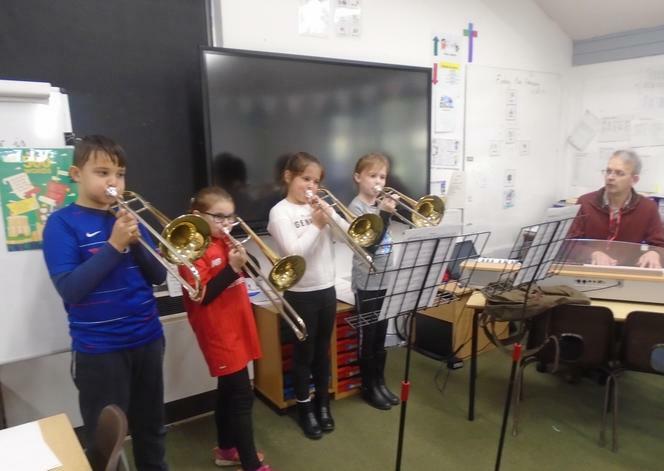 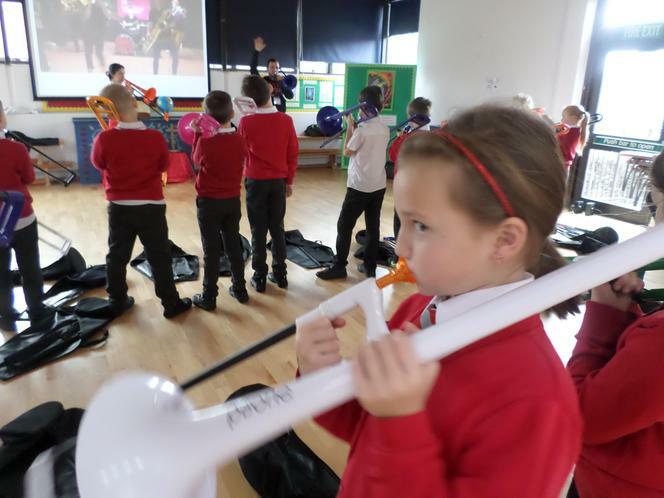 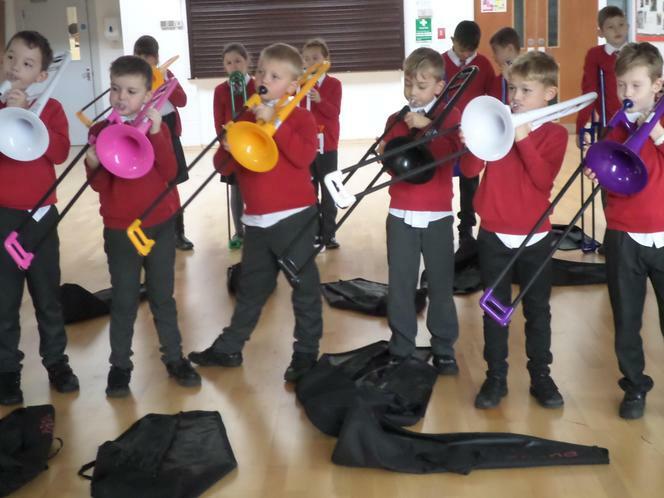 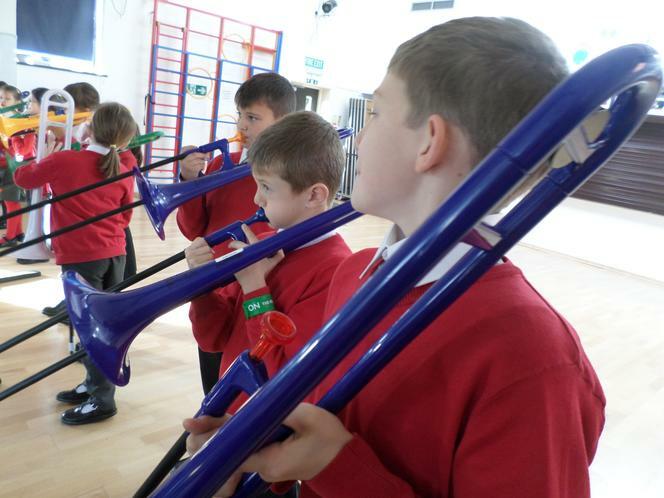 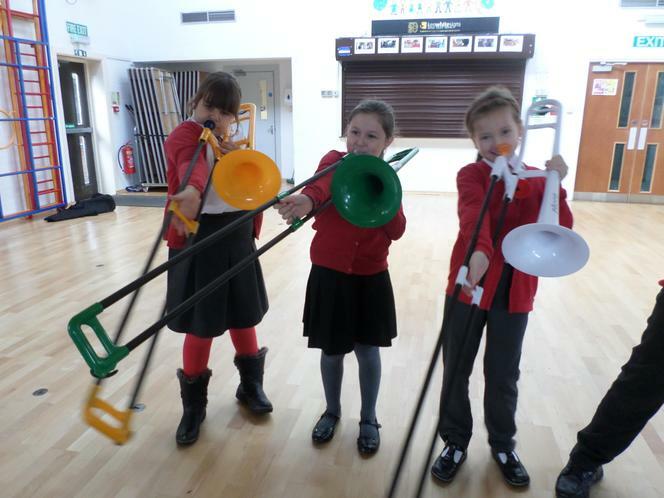 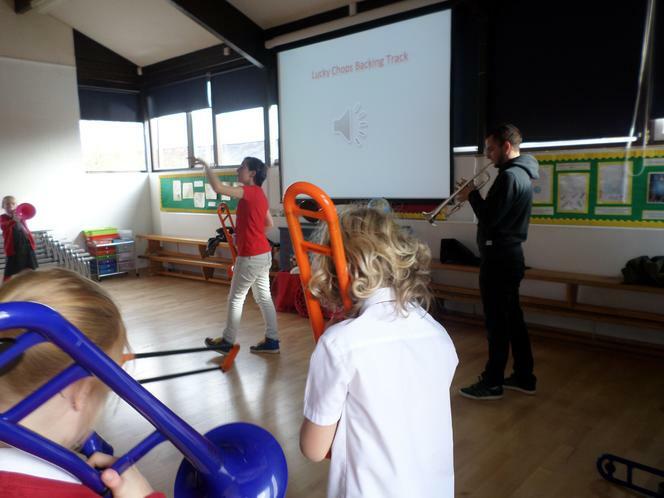 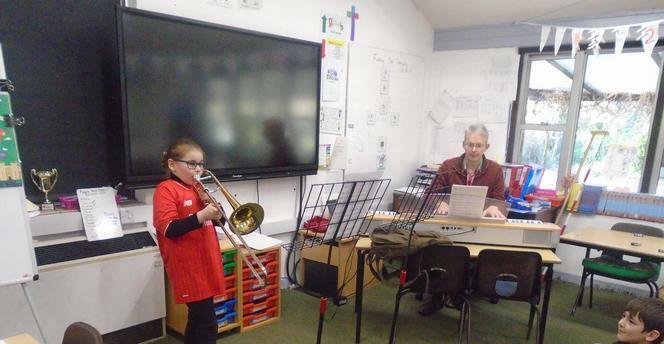 Year 4 have been learning to play the trombone and will be putting on a concert for parents on November 21st at 9.30am. 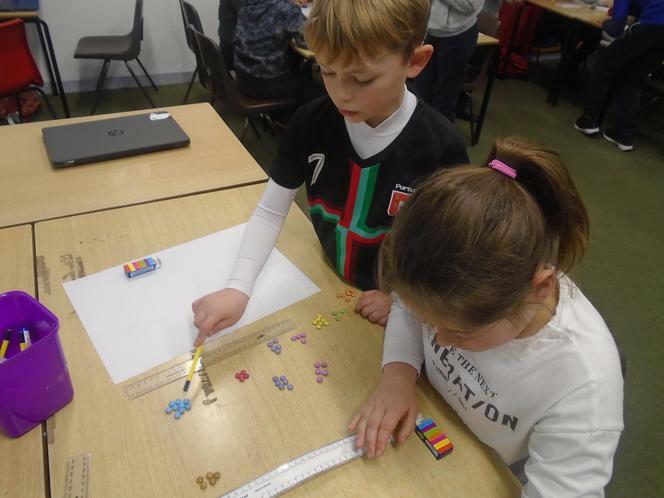 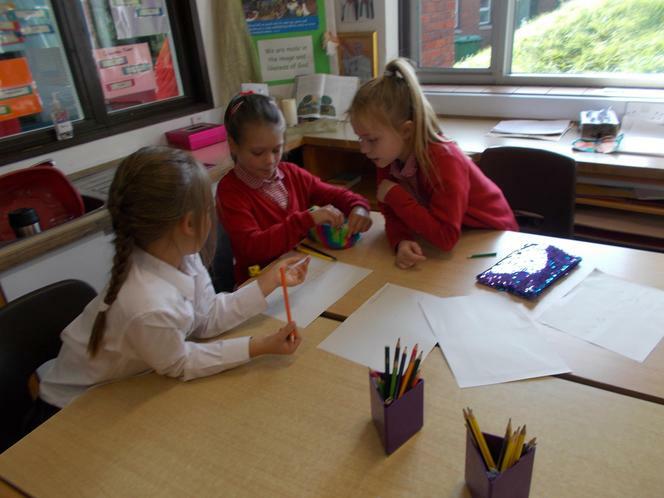 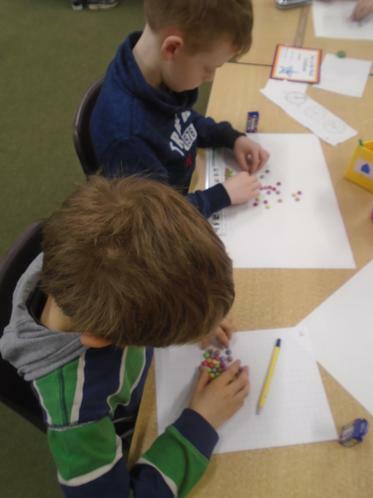 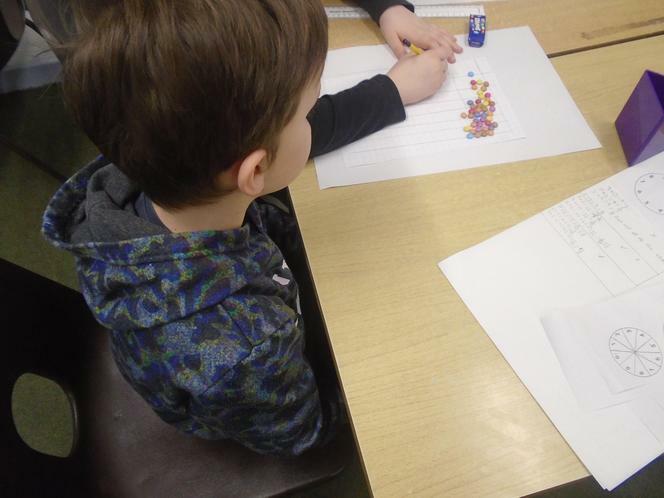 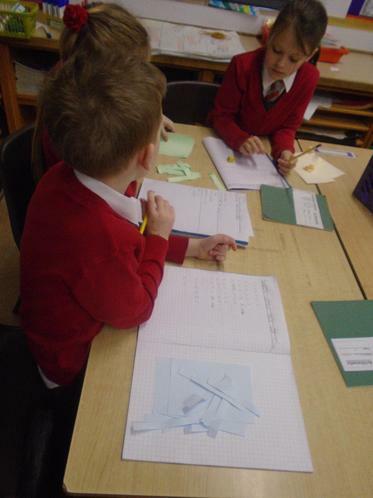 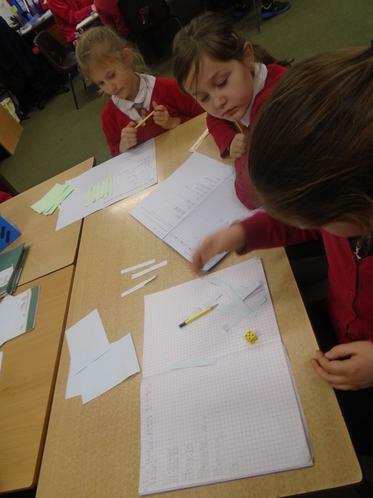 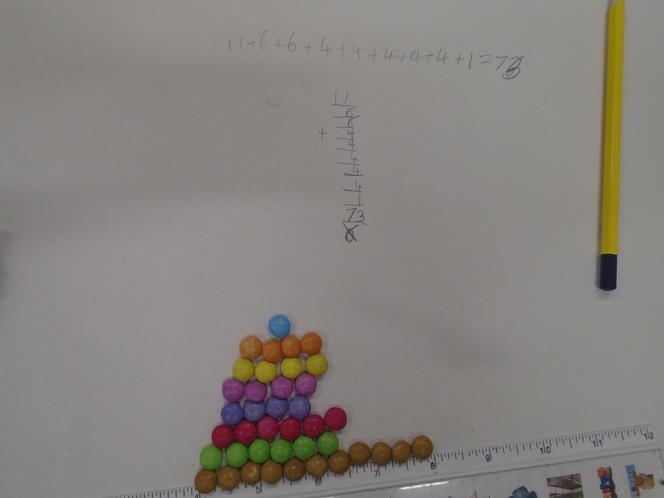 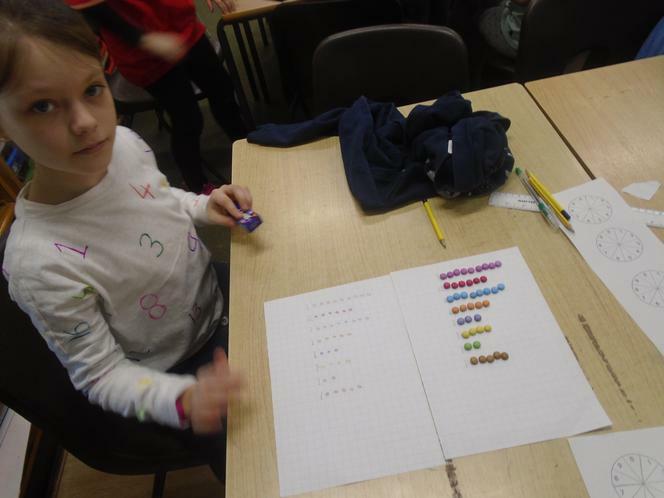 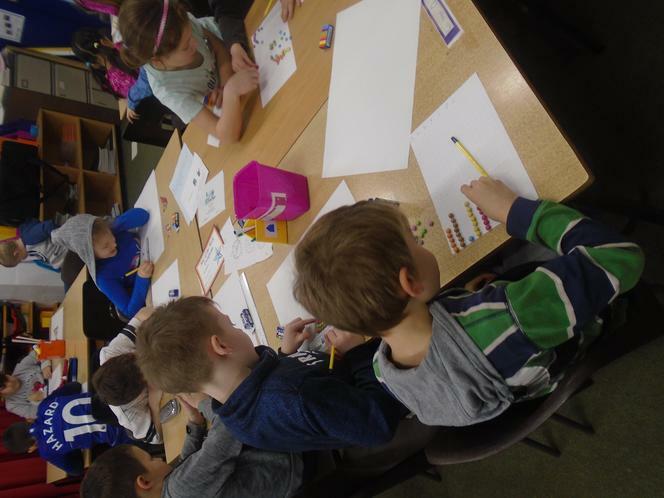 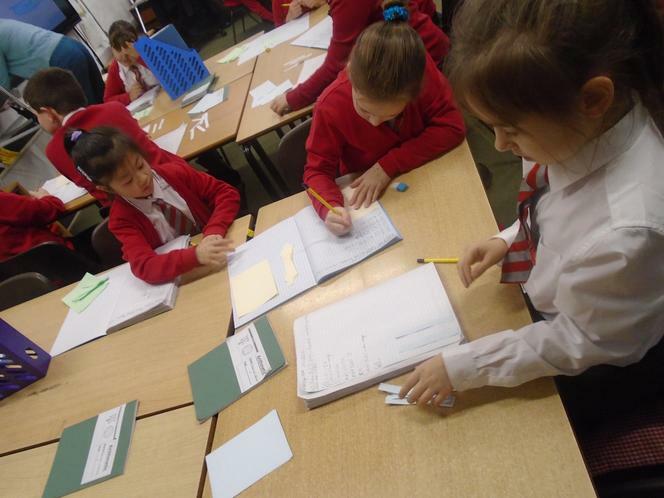 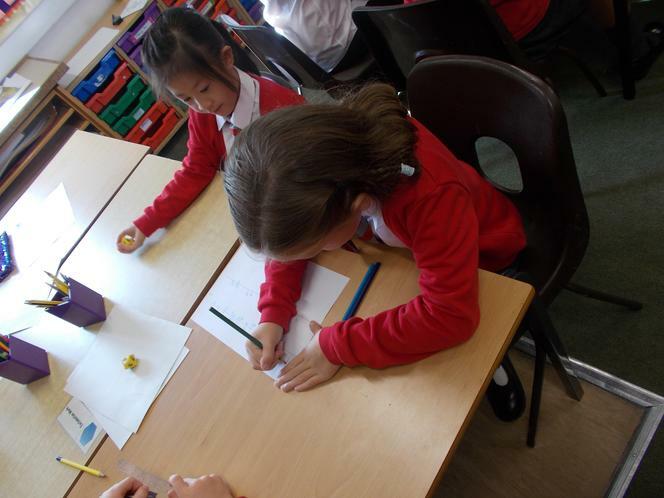 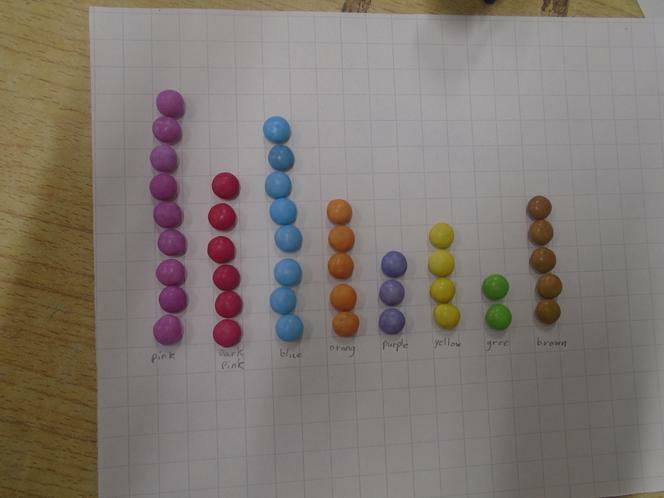 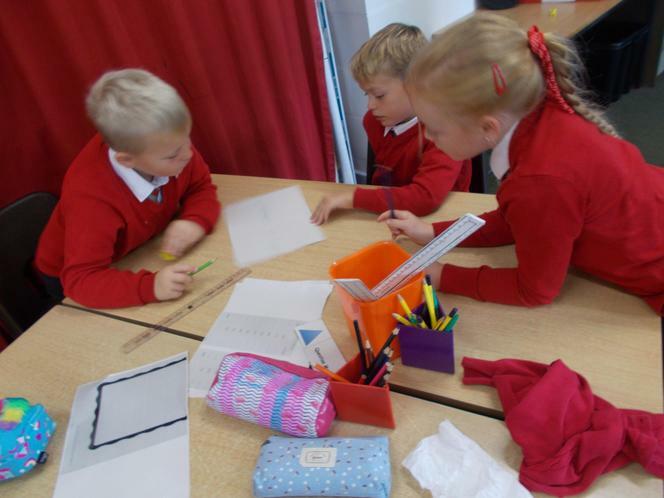 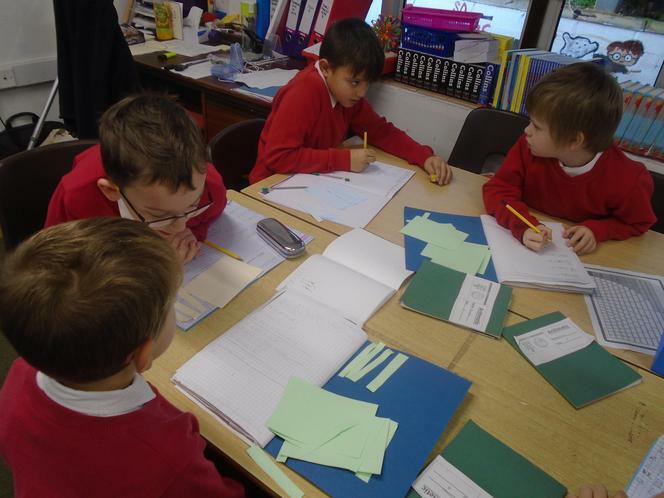 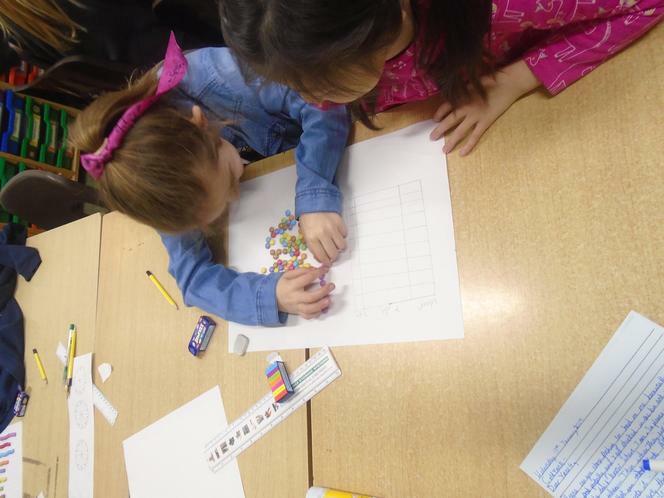 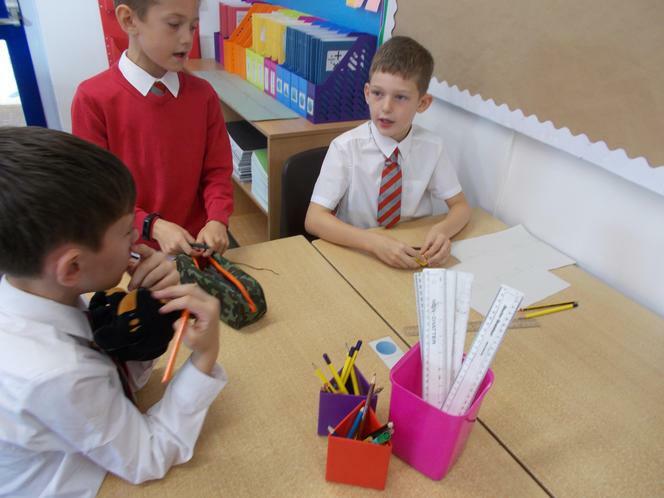 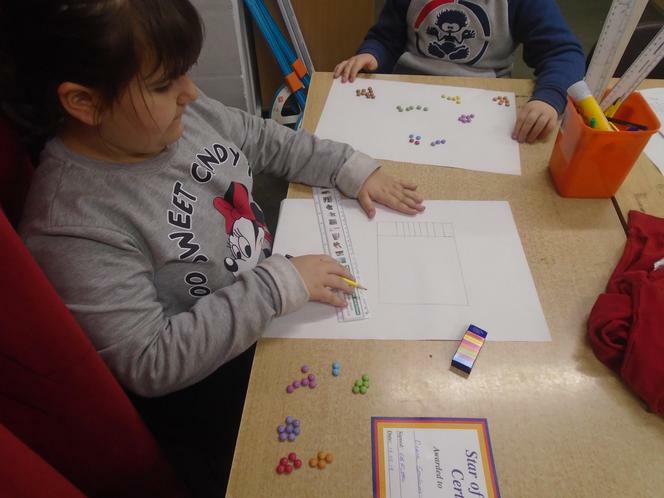 We have been working in small groups to solve problems and play games that help with our learning in maths. 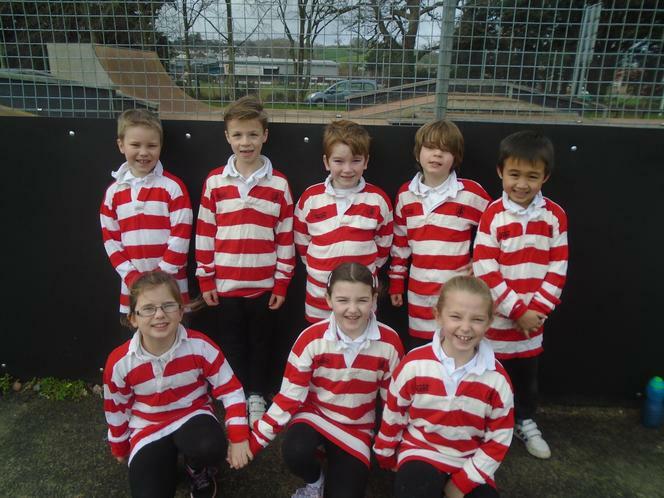 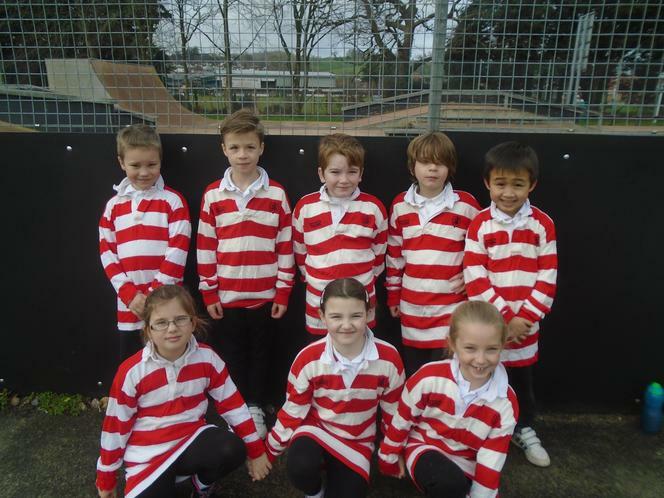 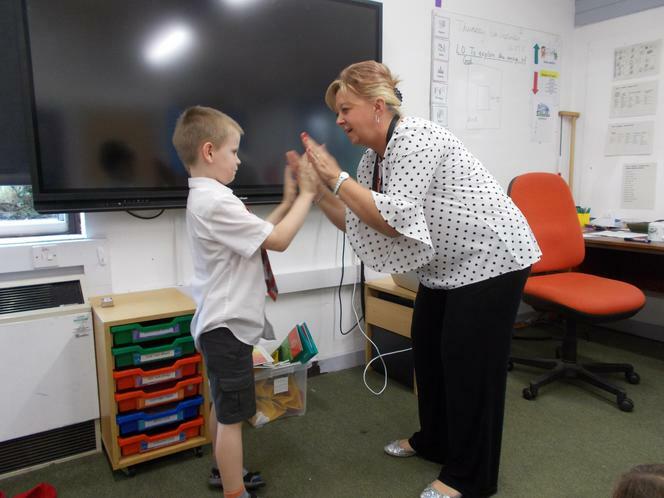 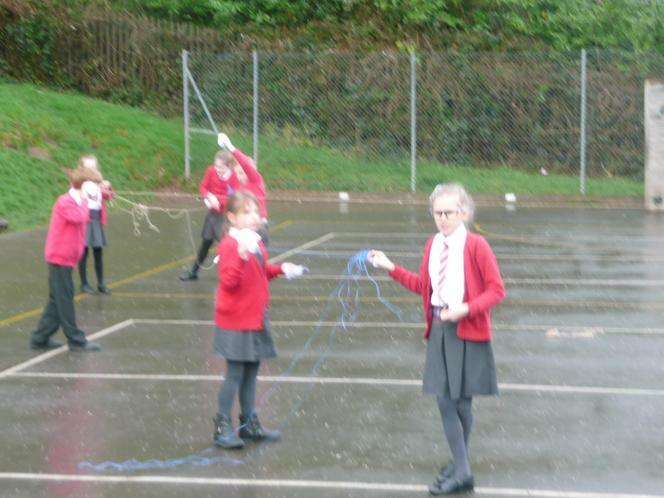 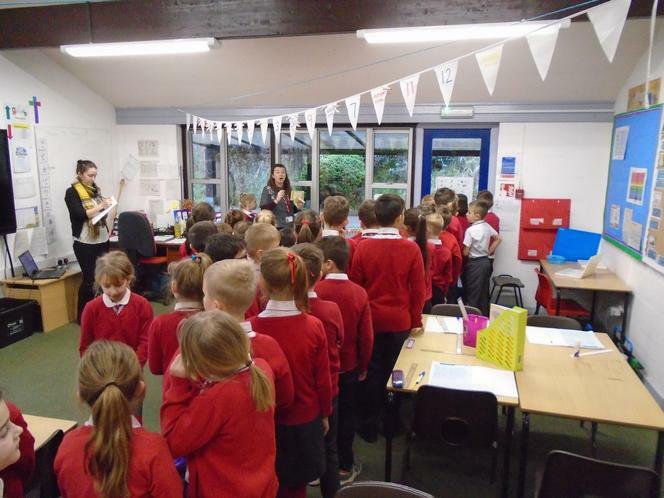 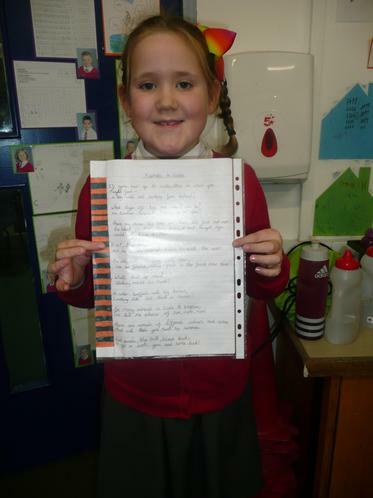 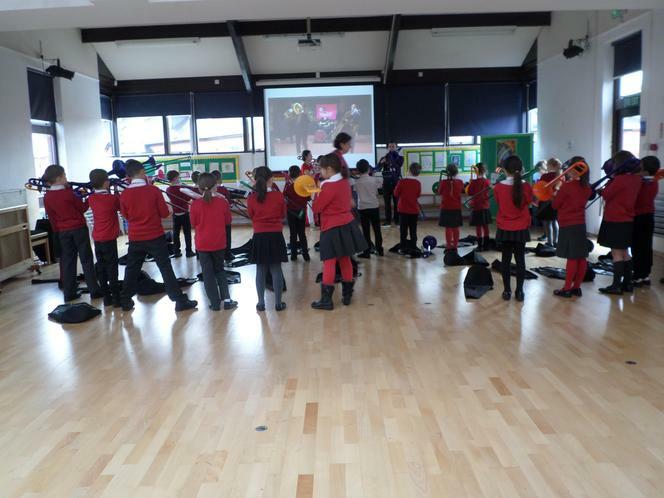 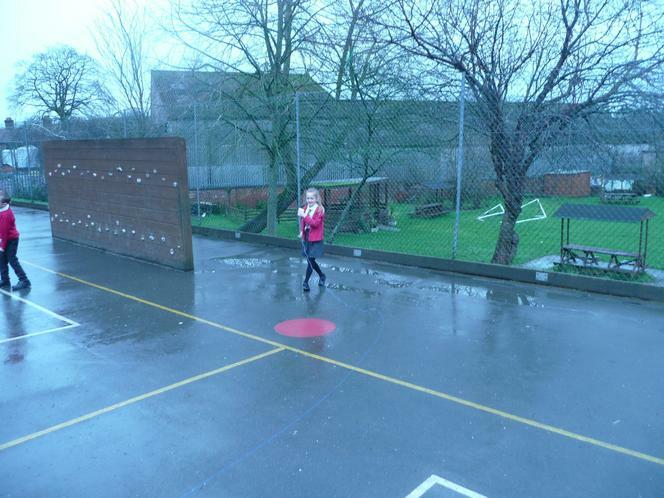 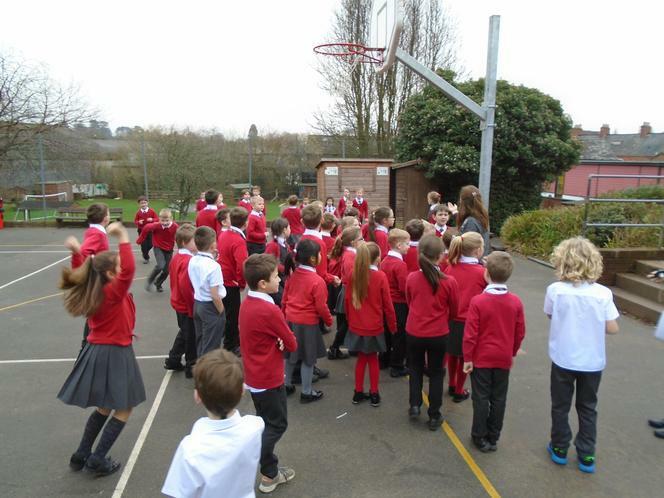 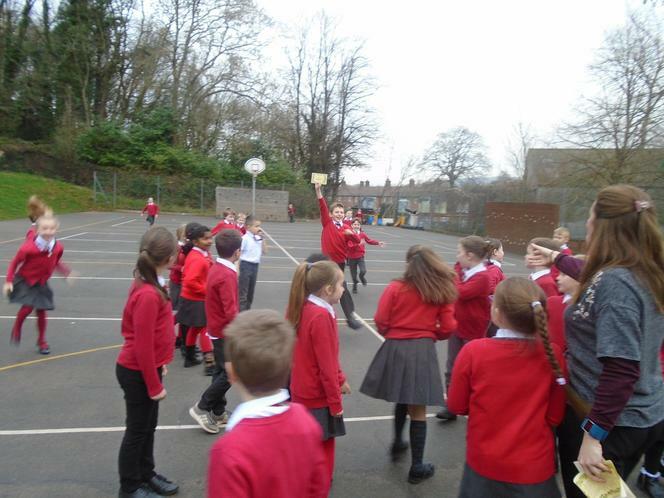 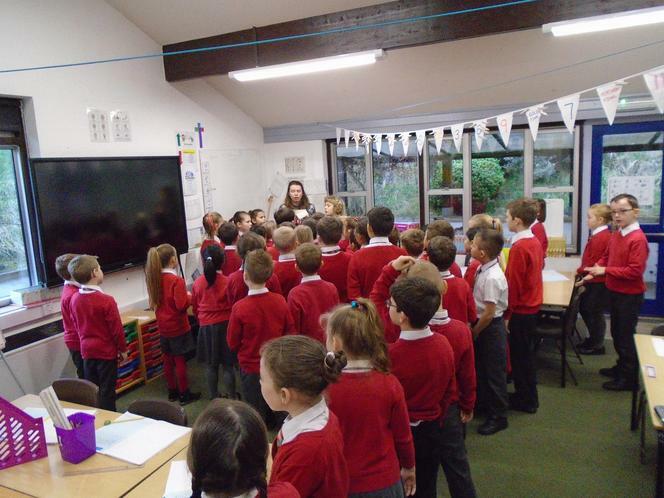 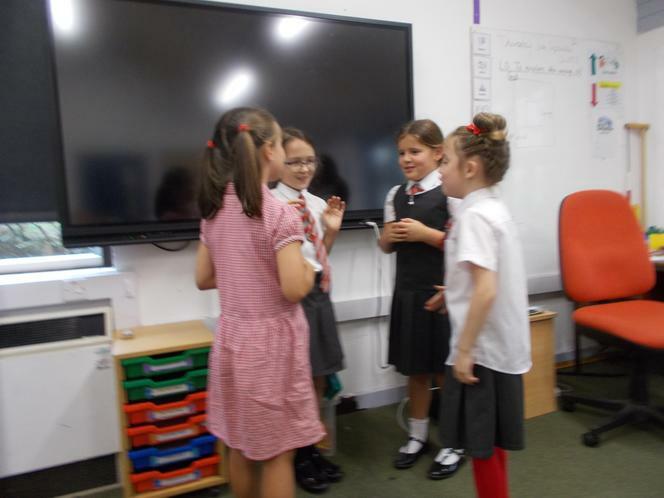 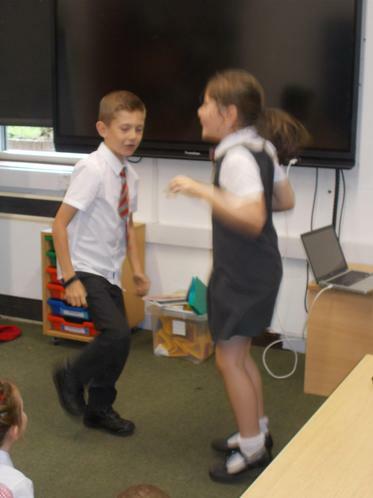 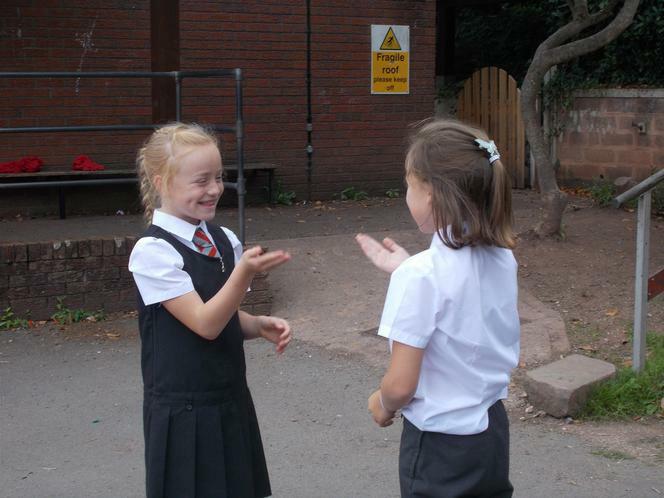 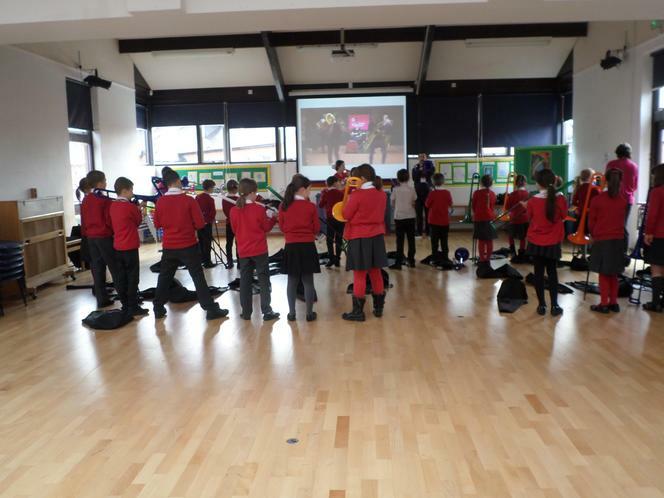 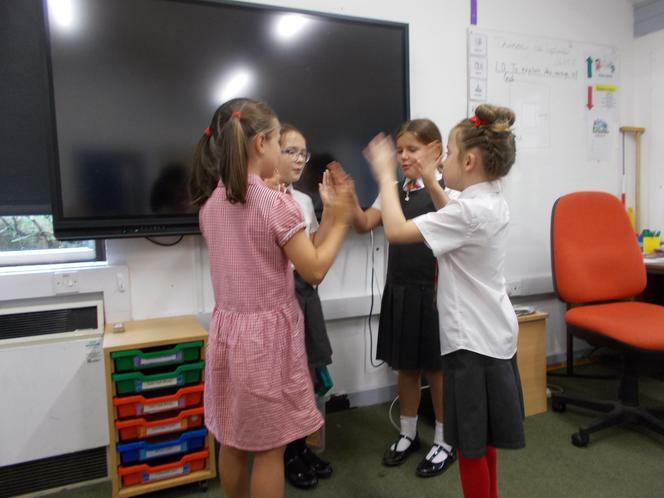 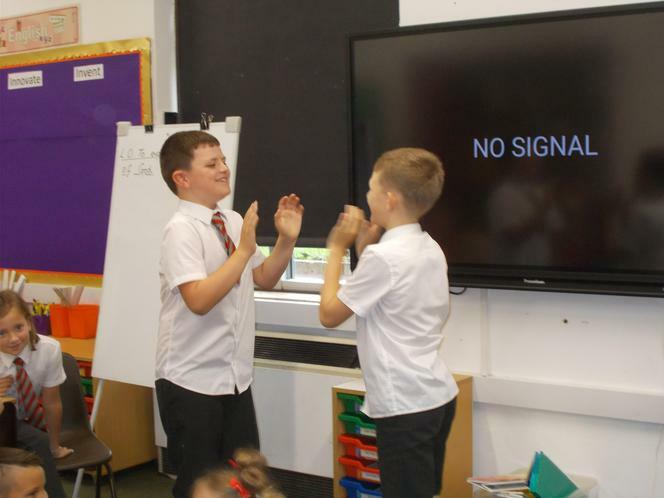 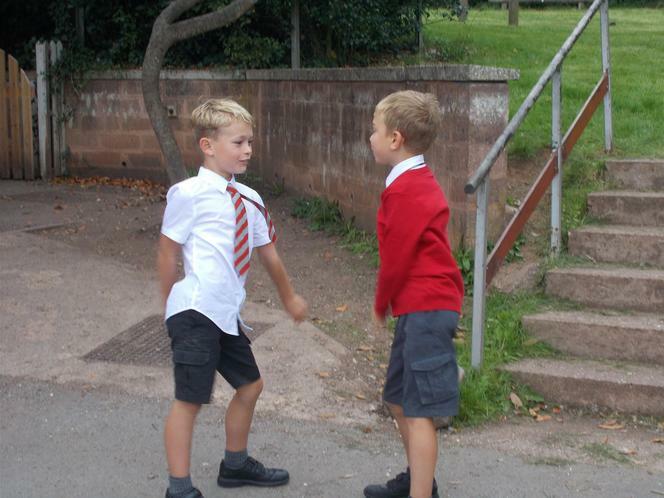 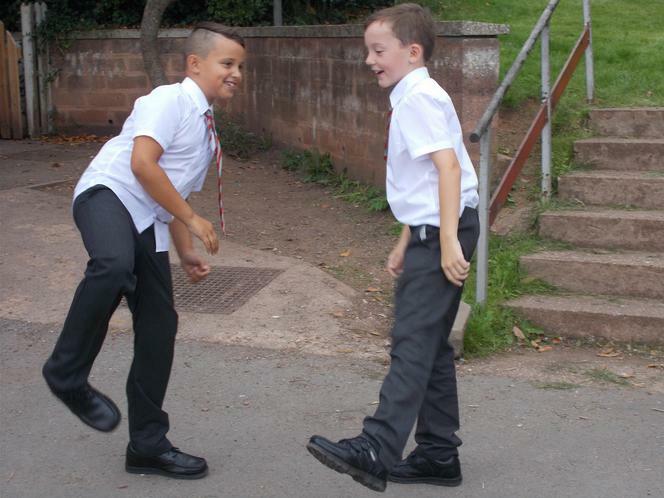 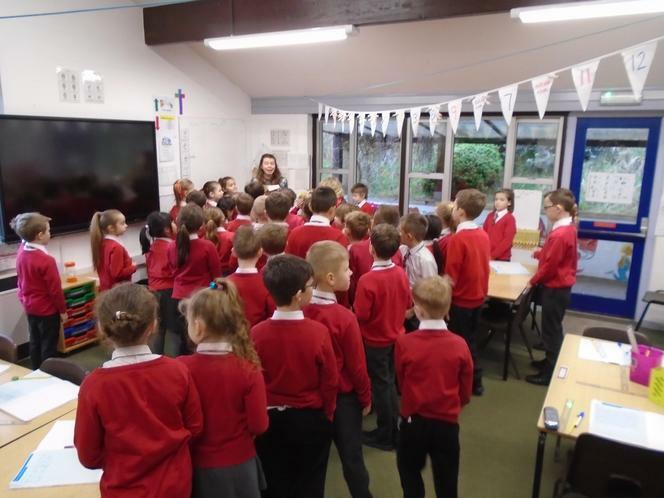 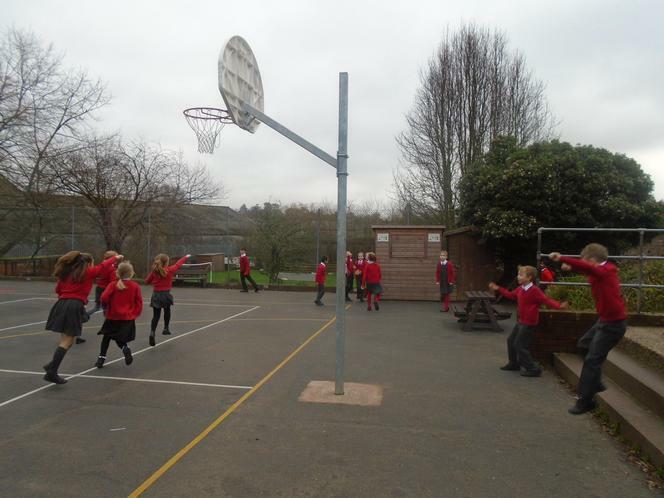 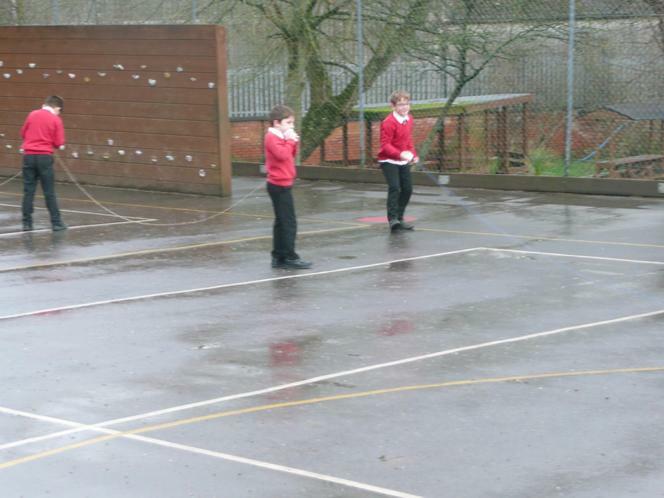 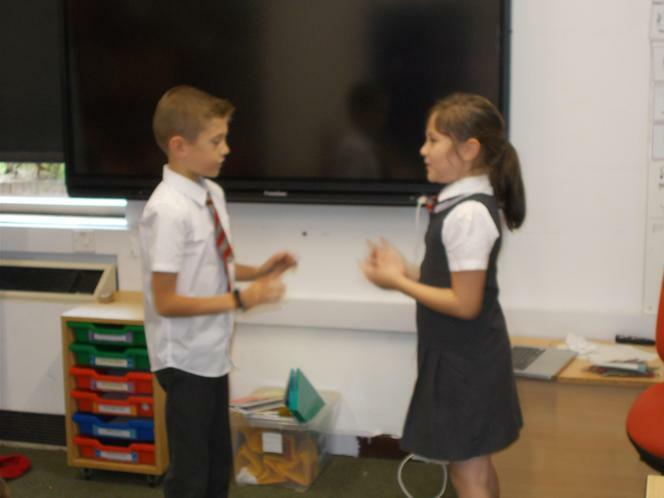 Year 4 enjoyed learning the action song 'A Sailor Went to Sea, Sea, Sea' and then created their own versions. 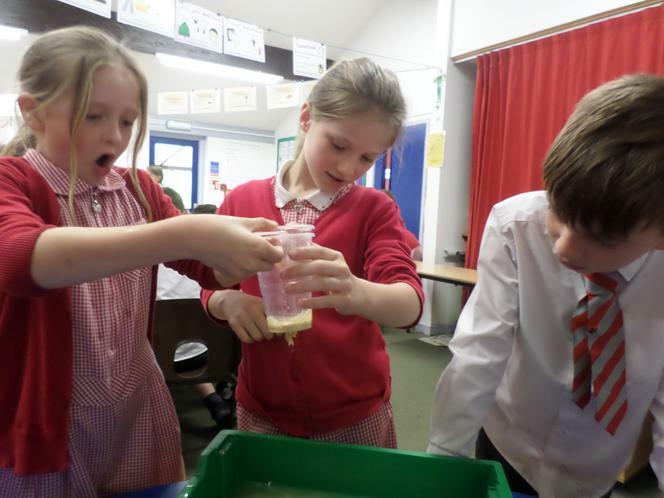 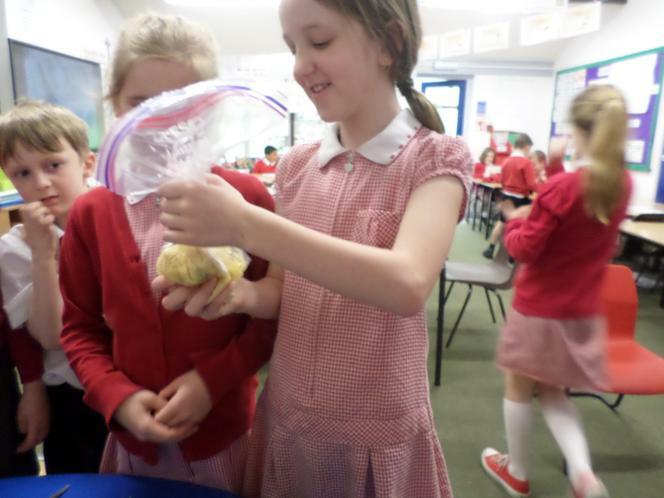 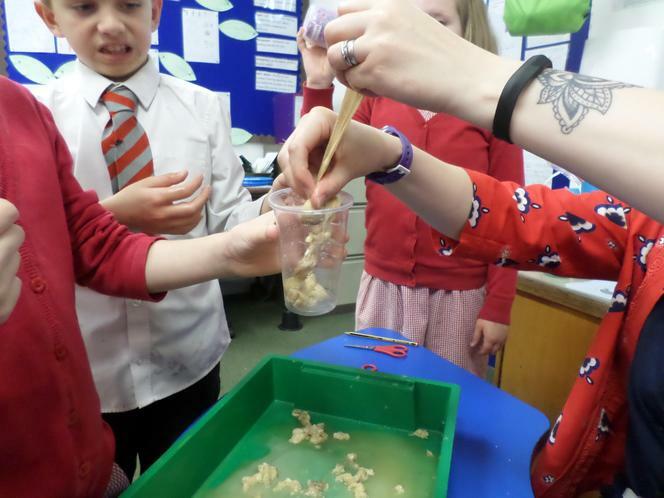 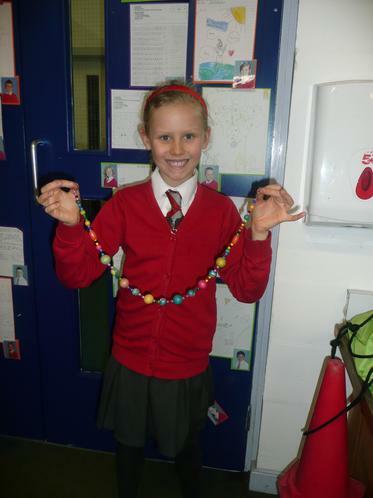 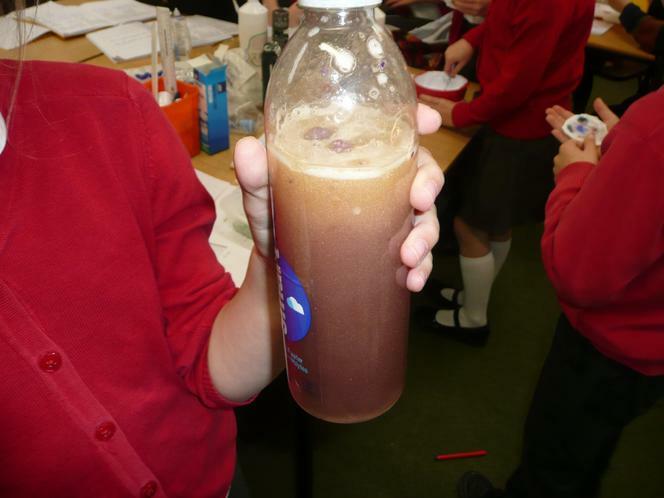 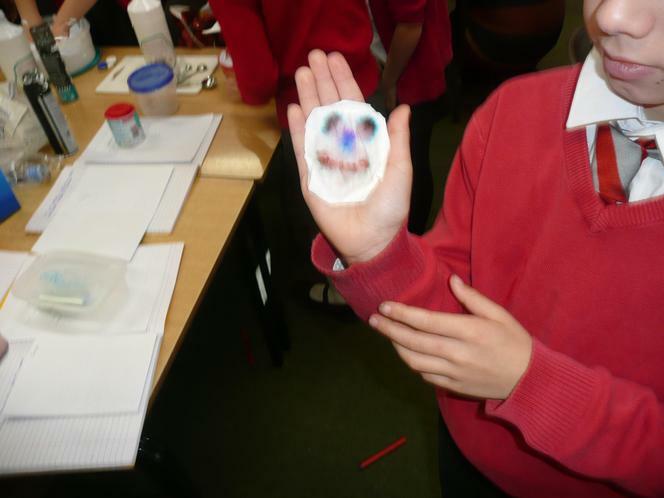 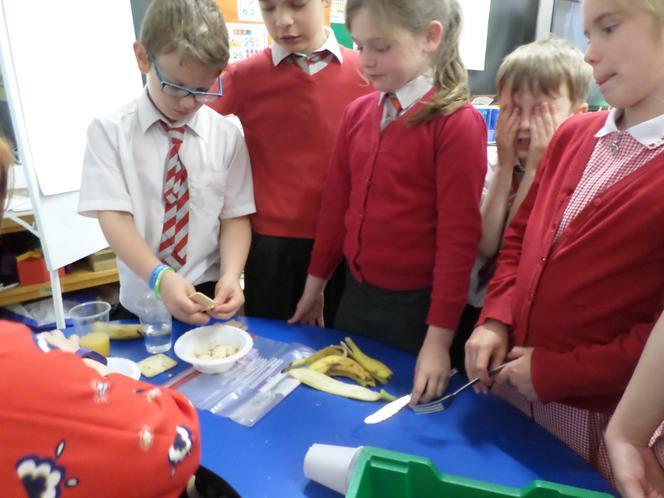 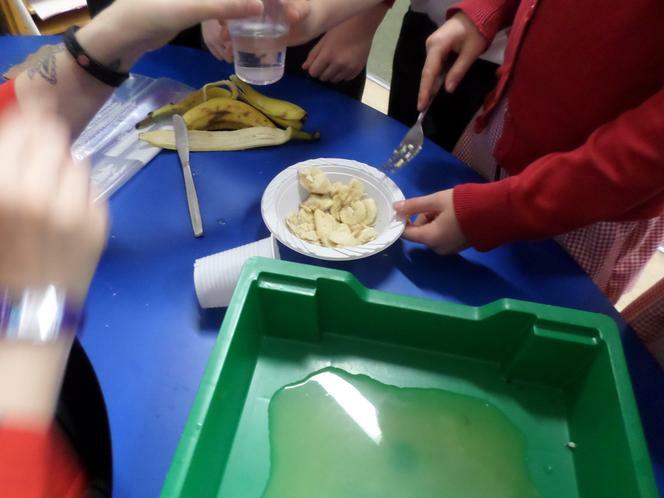 Year 4 have been learning about the function of the digestive system from the teeth to the intestines. 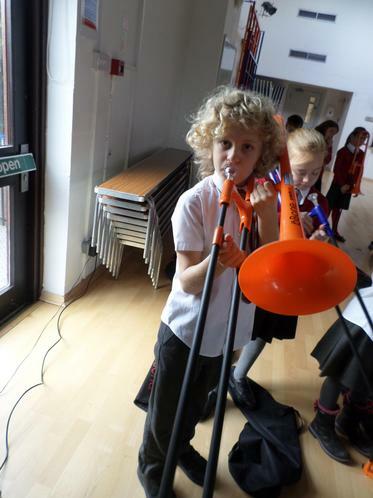 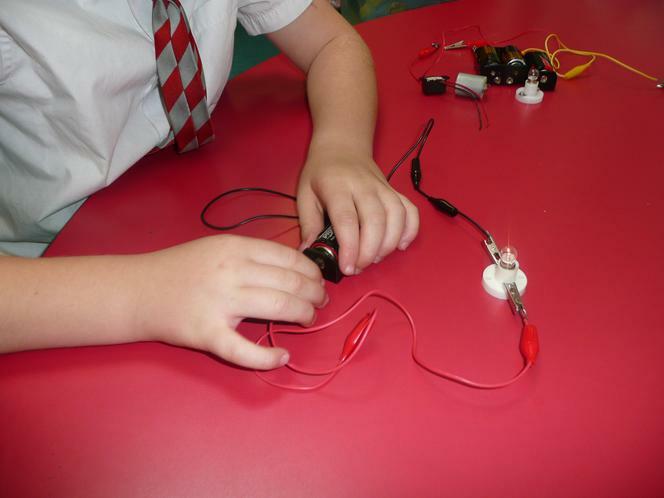 This half term we have been exploring the science of sound. 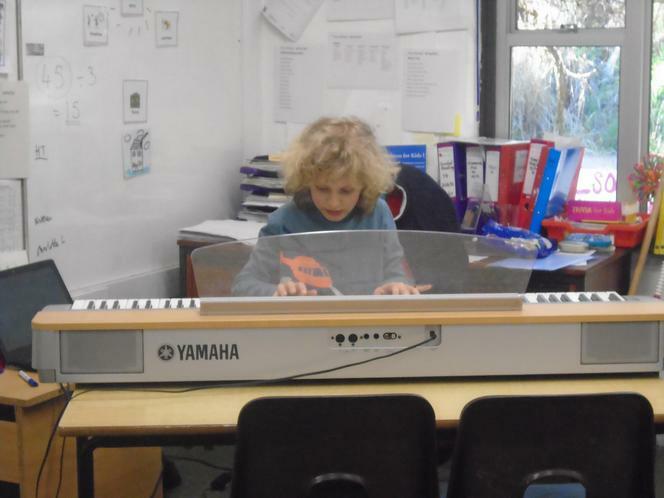 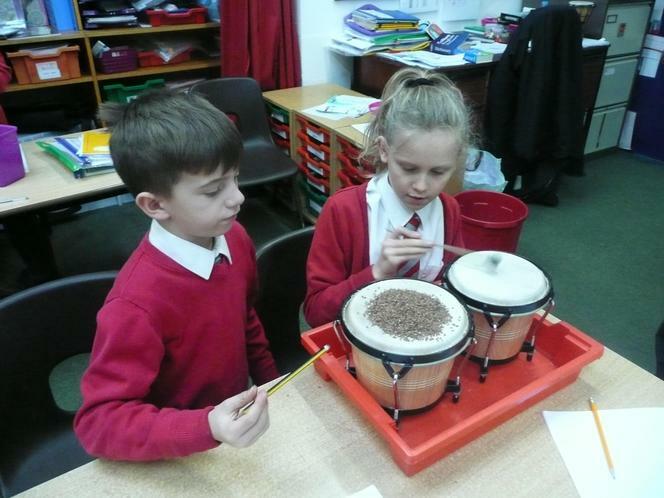 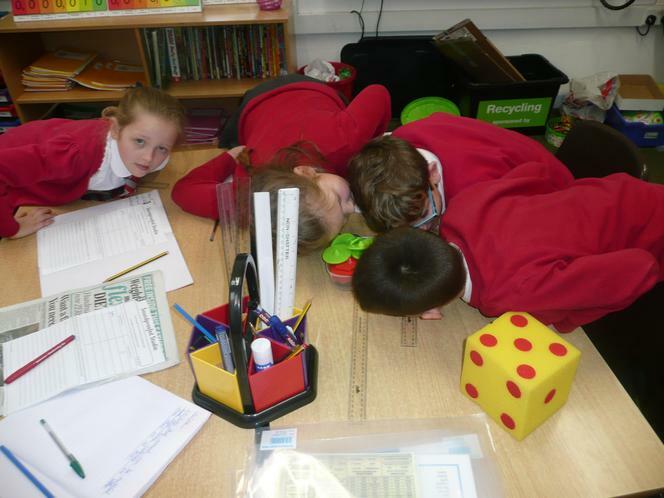 We have looked and listened carefully at a range of instruments to discover what is vibrating to make the sound. 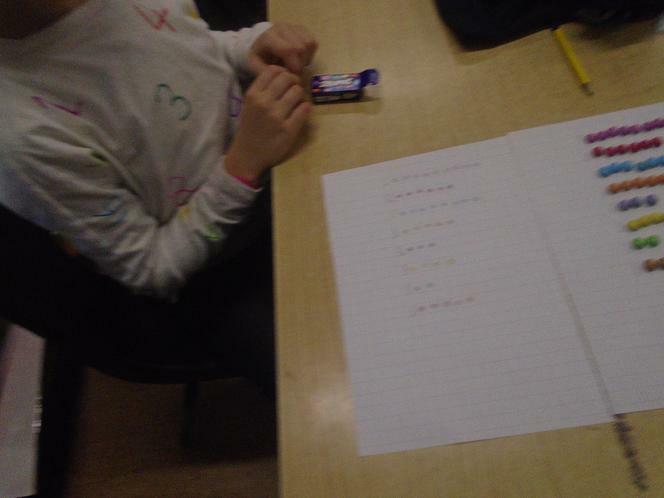 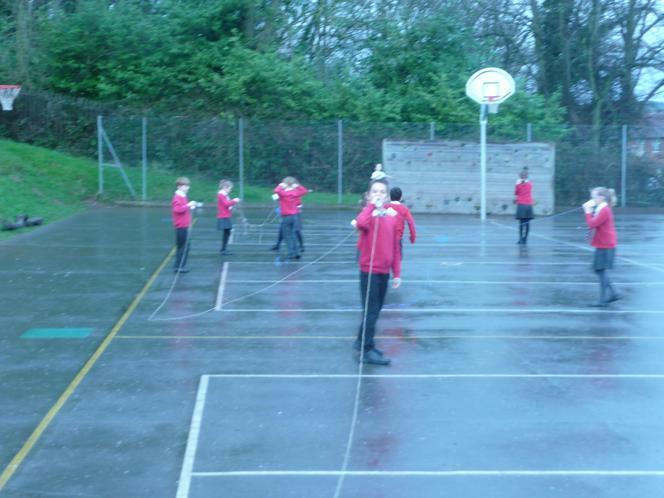 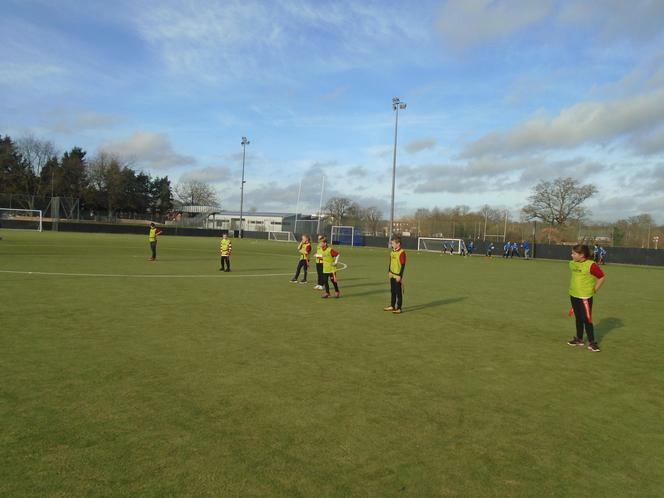 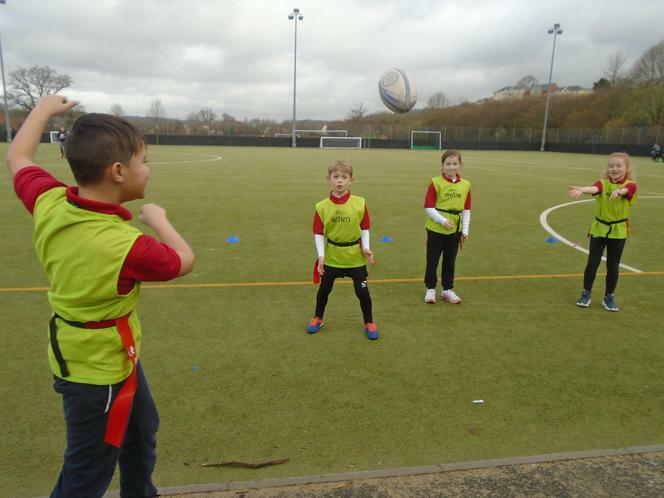 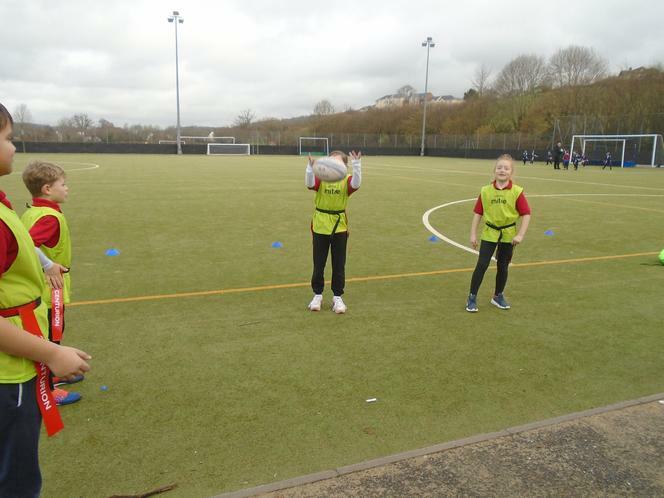 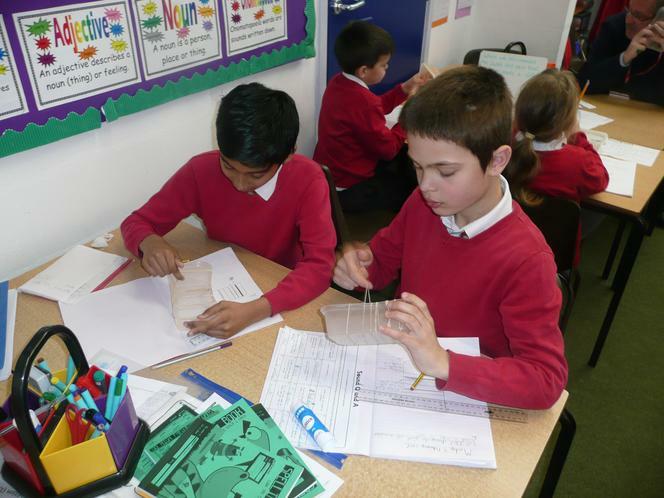 We have begun to develop our understanding of pitch and how to change it using a range of elastic bands. 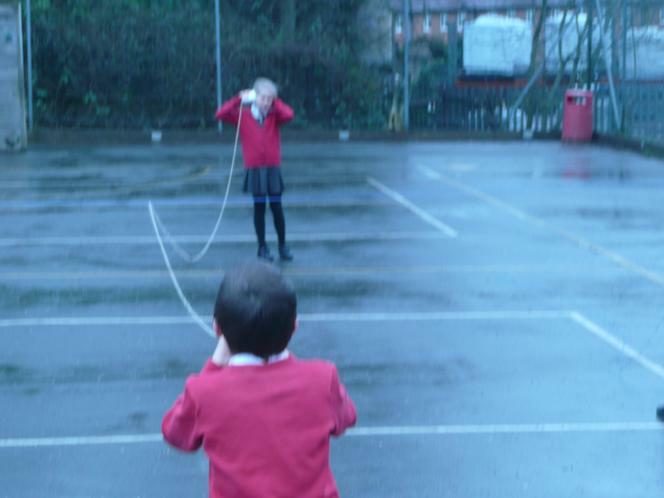 We have even constructed string telephones and used the correct scientific language and knowledge to explain how they work. 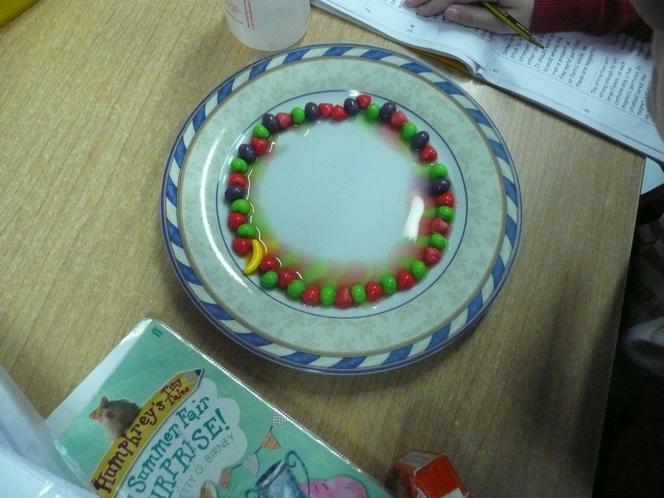 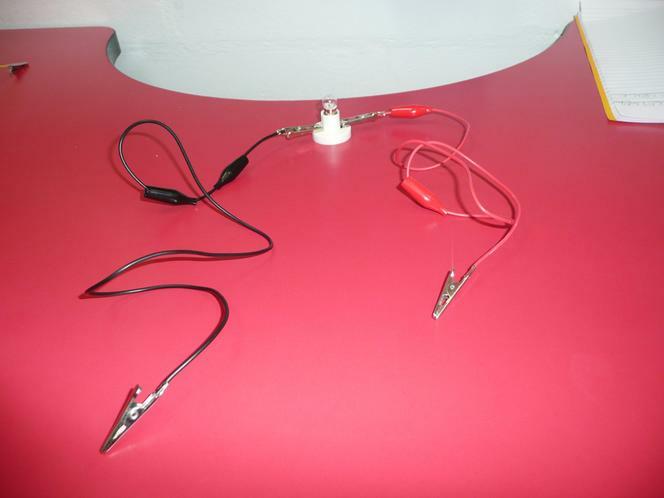 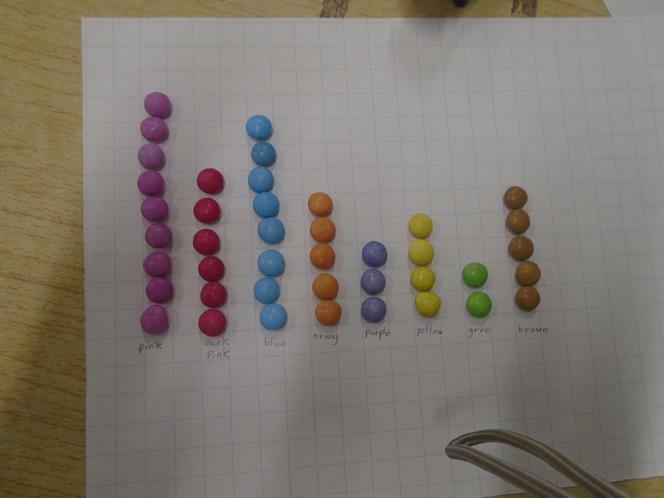 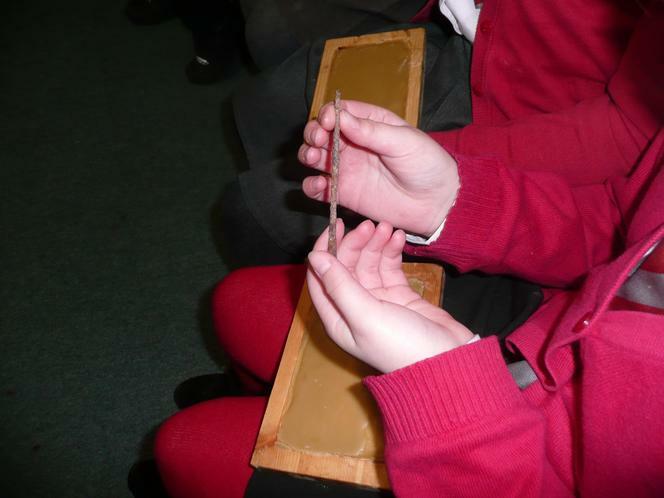 Our favourite experiment though, was linking the size of vibration with volume. 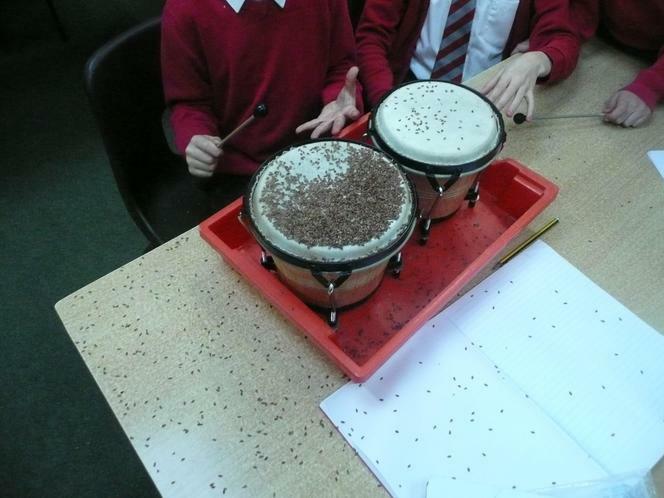 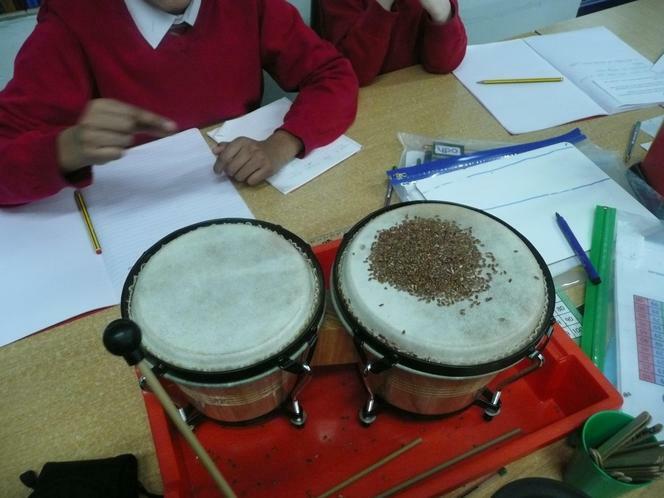 This involved placing seeds on top of drums and hitting the drum skins with varying force. 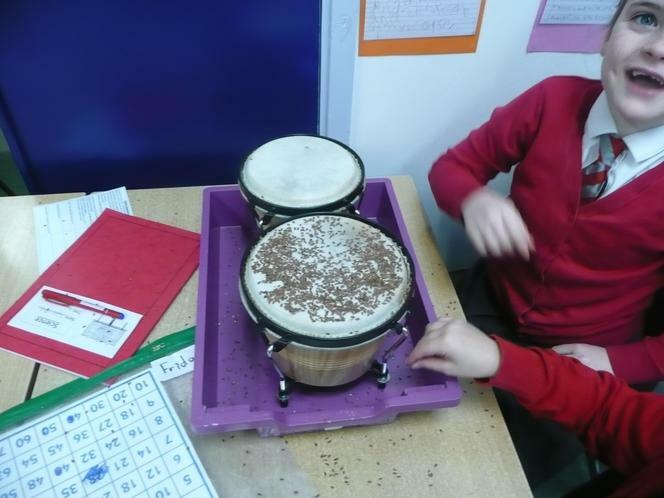 The harder we hit the drum, the higher the seeds bounced! 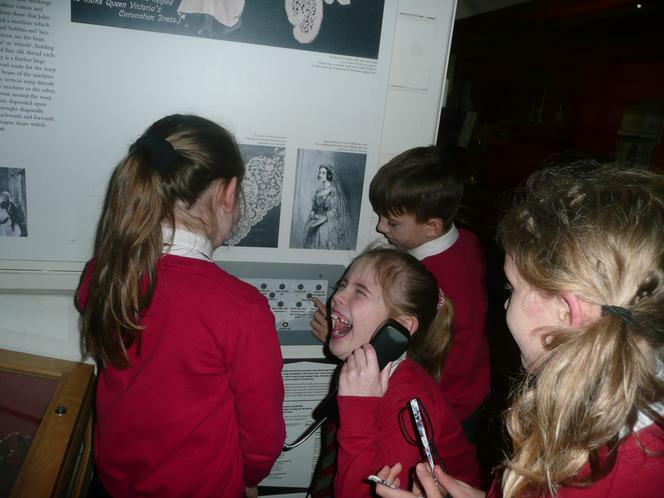 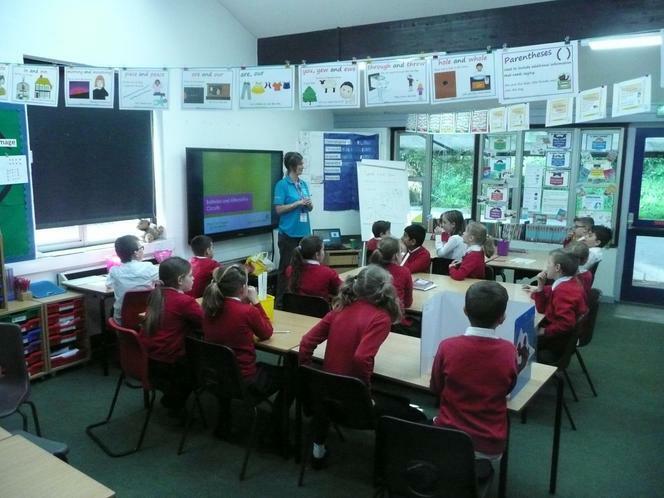 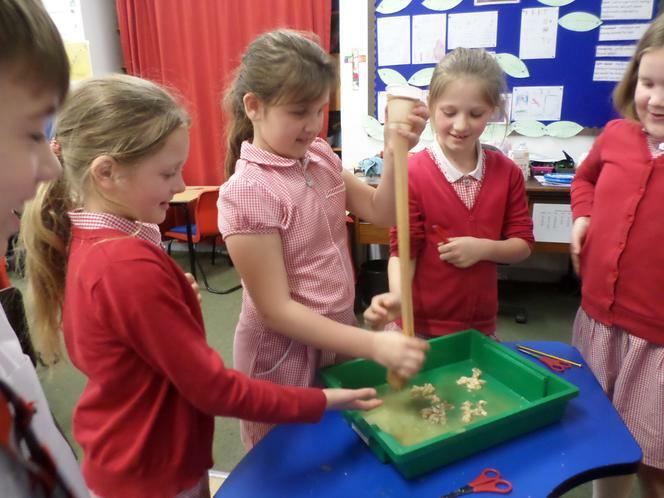 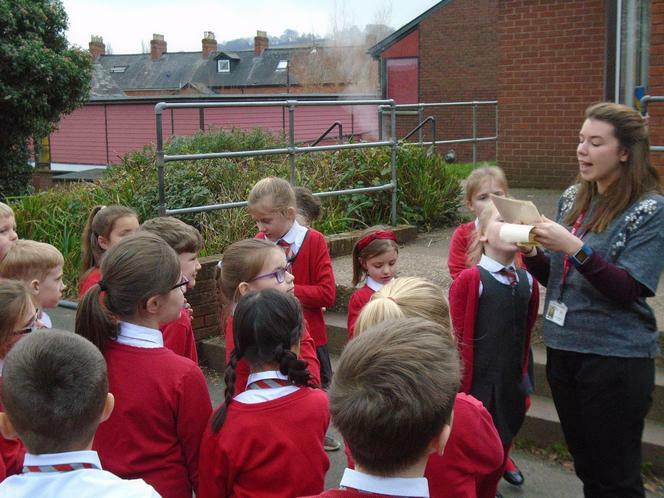 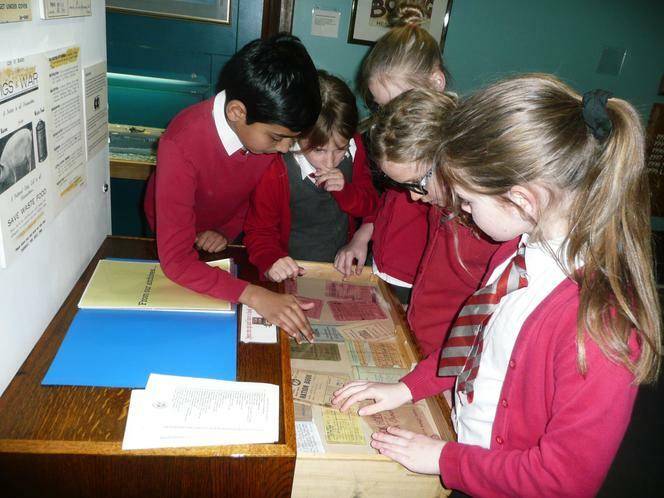 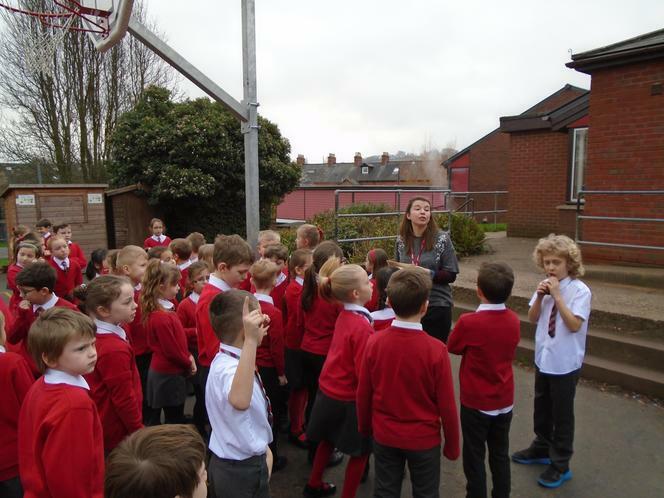 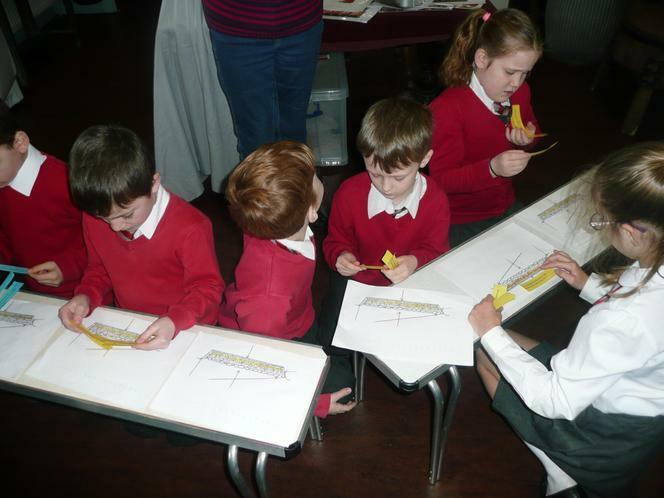 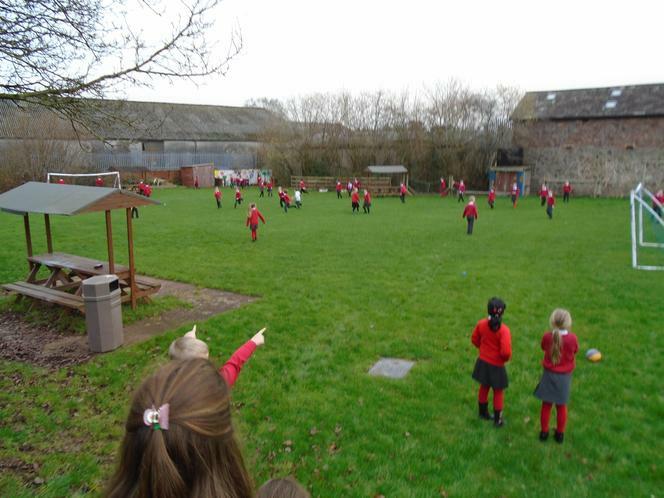 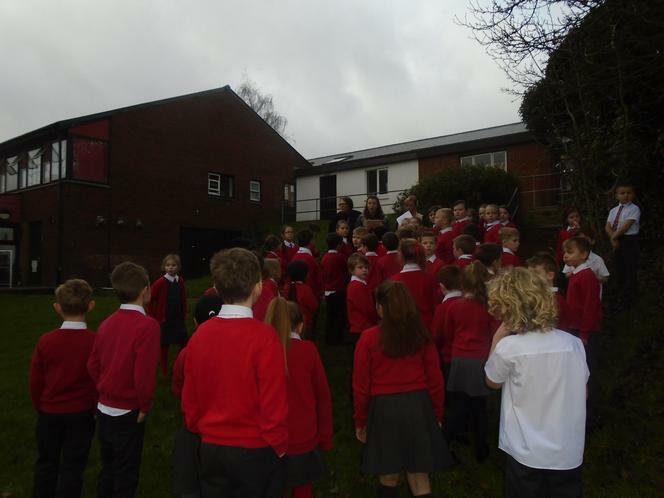 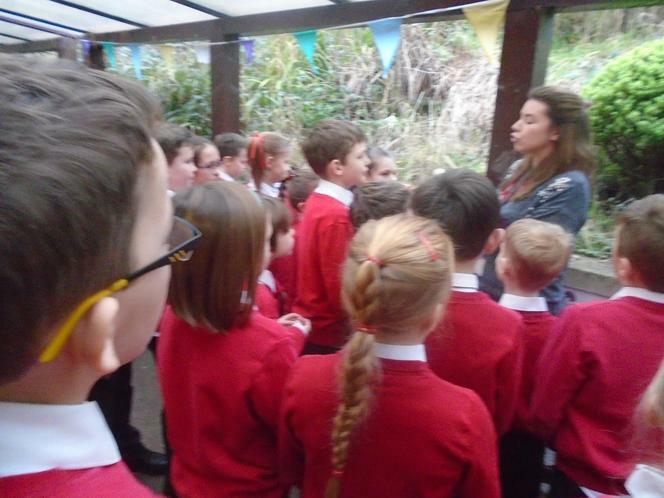 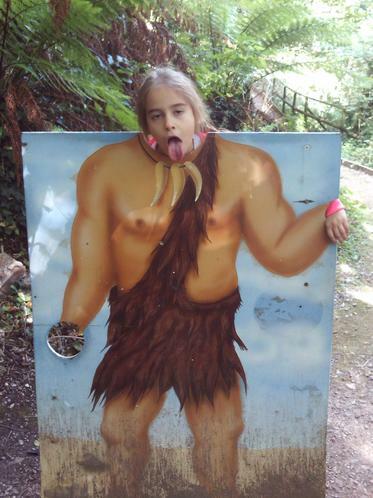 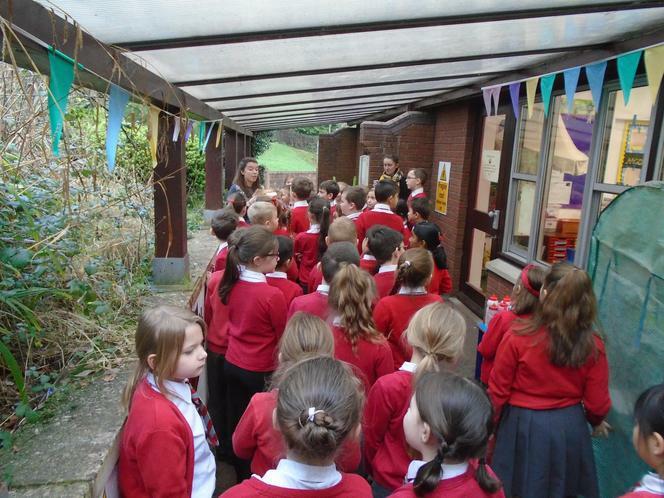 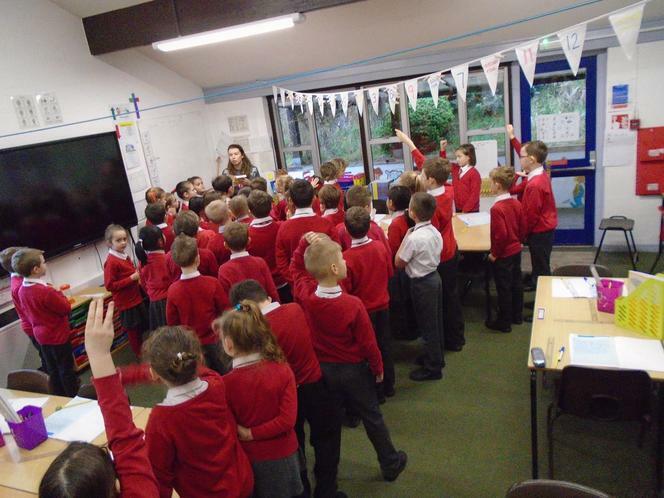 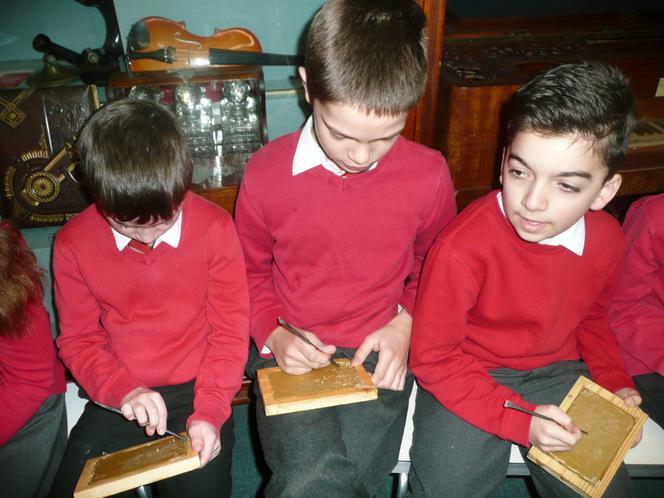 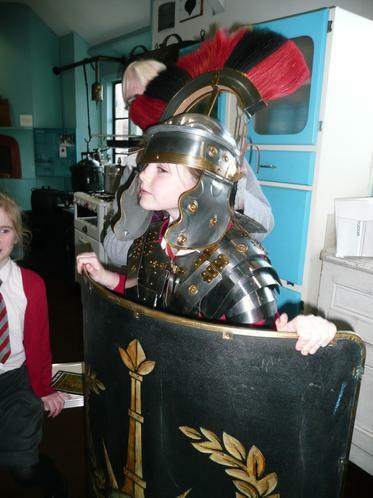 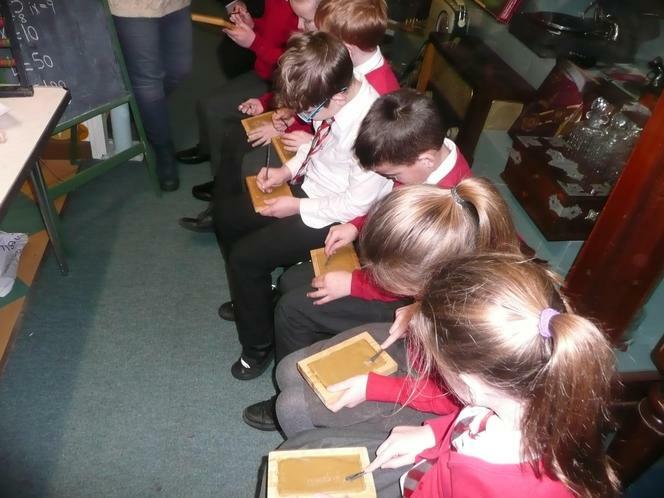 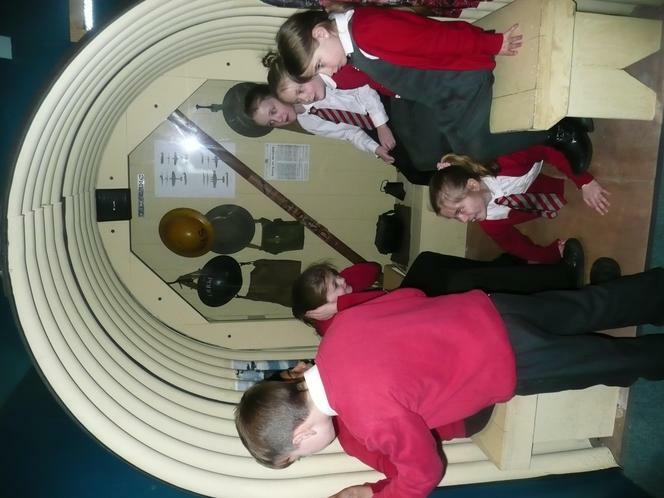 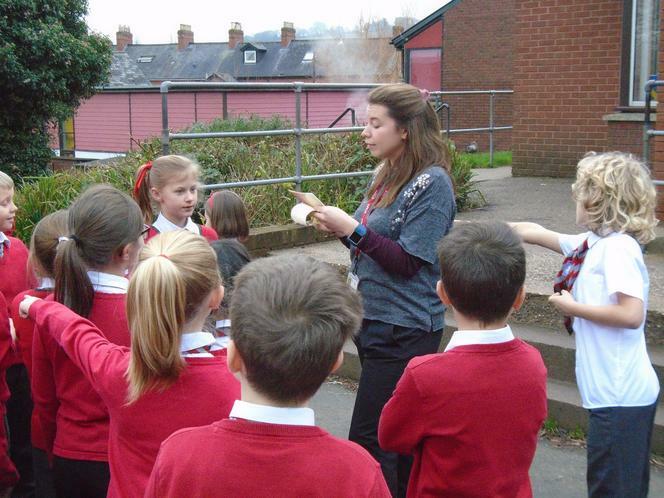 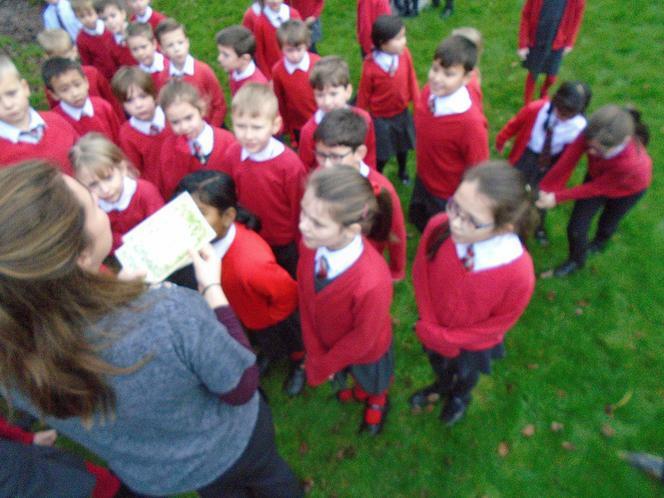 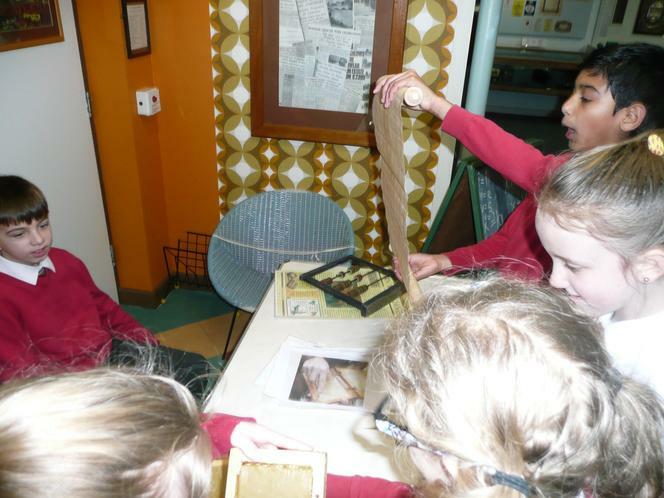 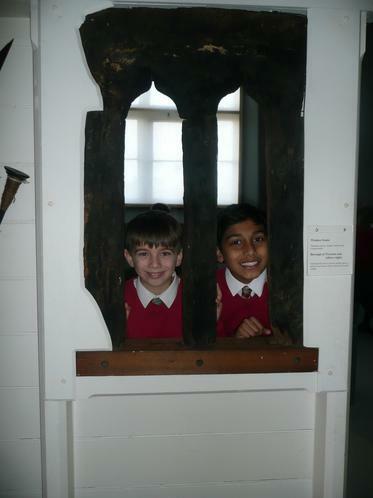 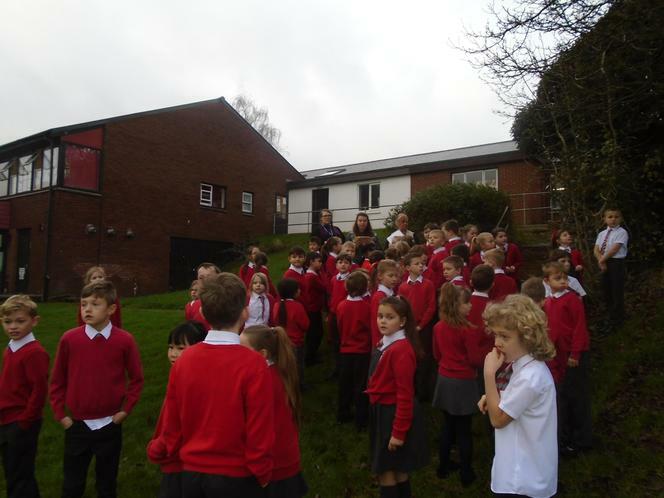 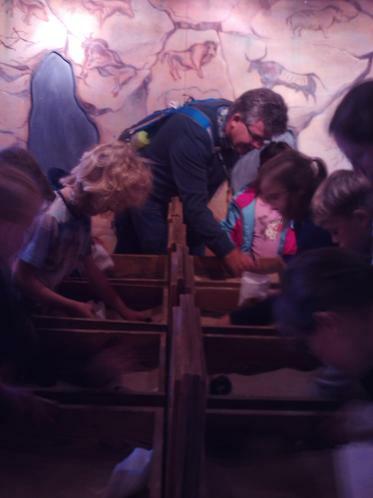 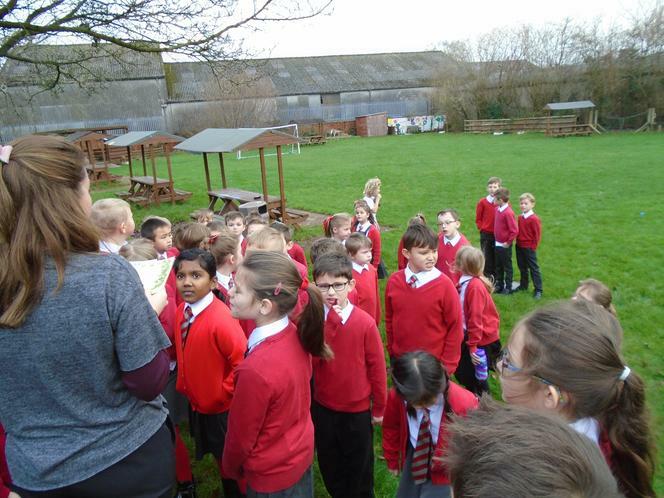 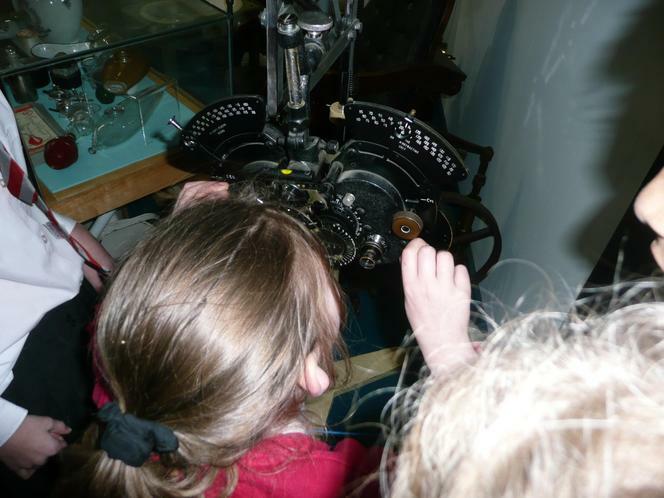 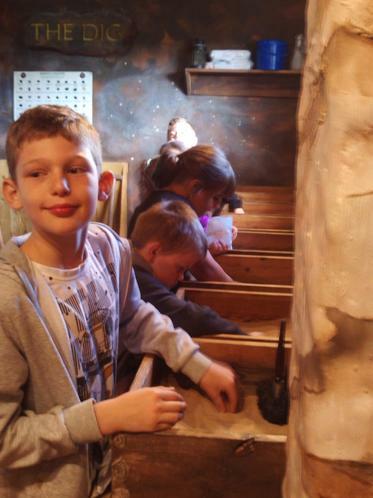 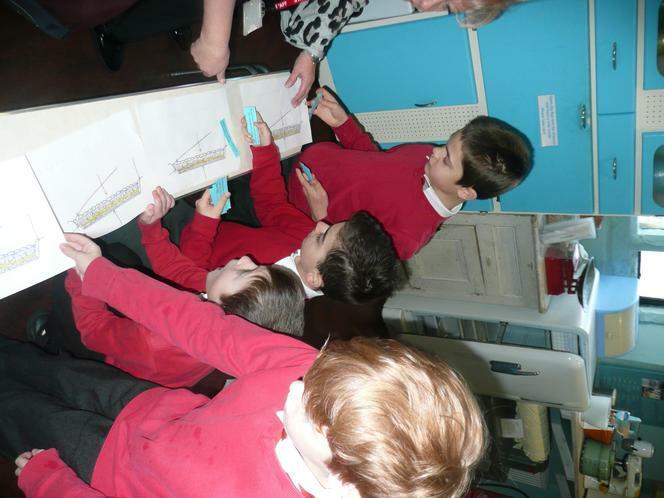 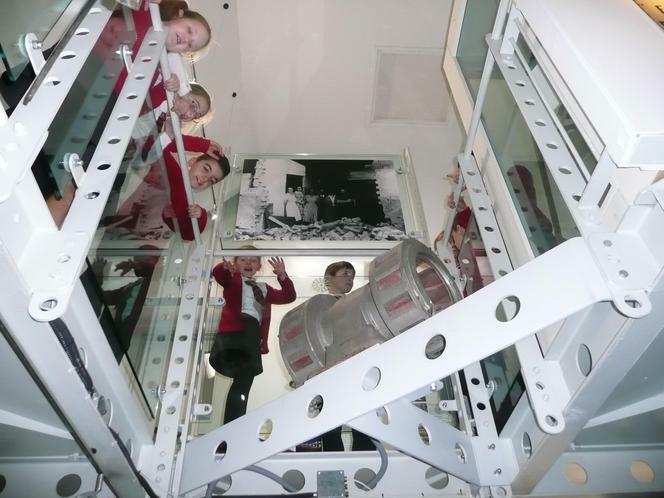 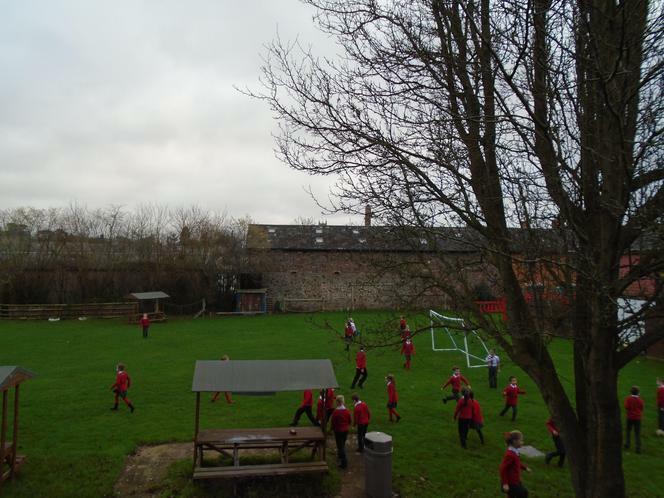 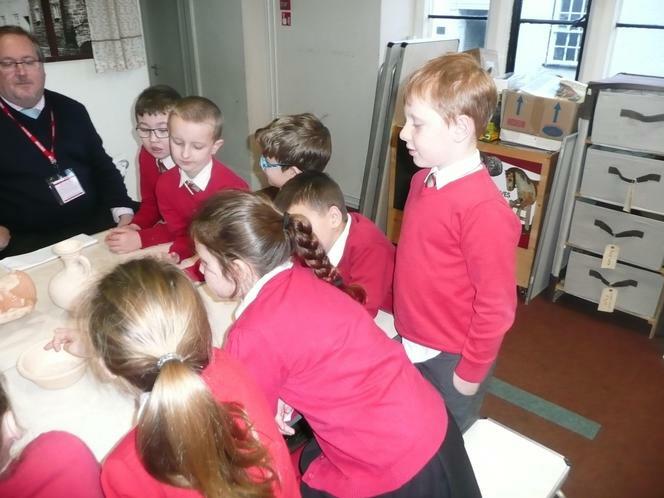 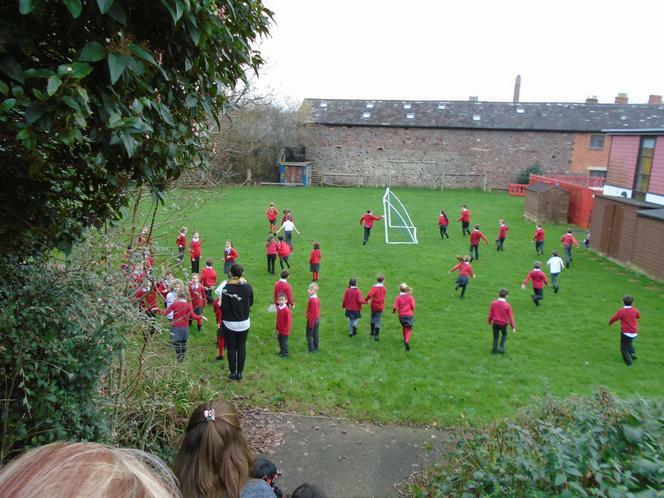 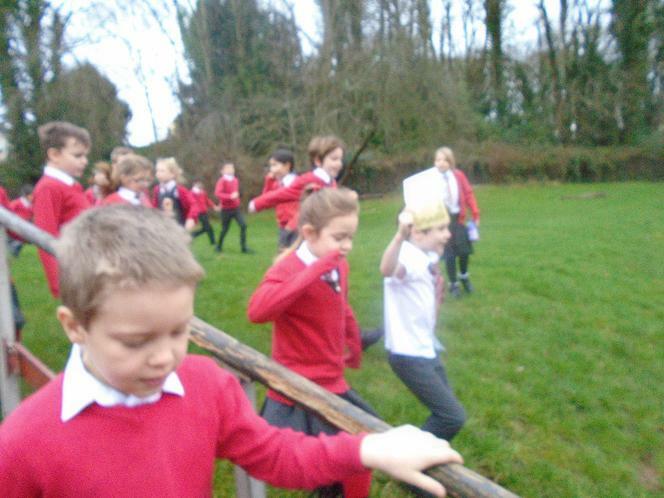 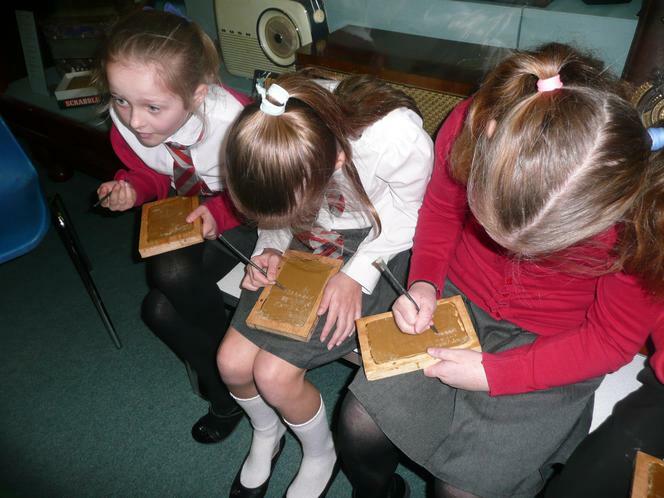 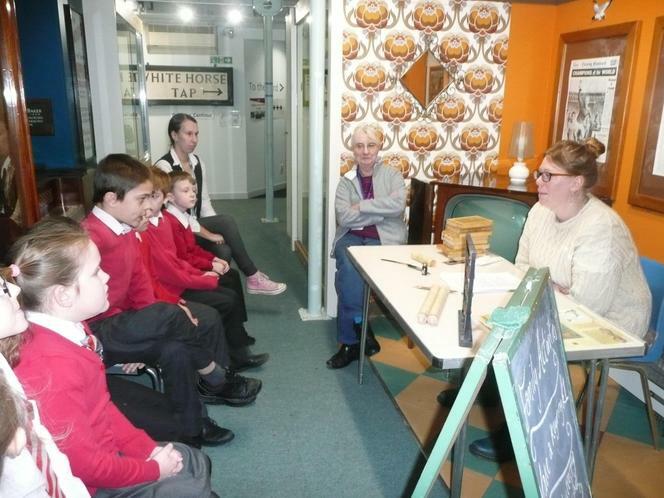 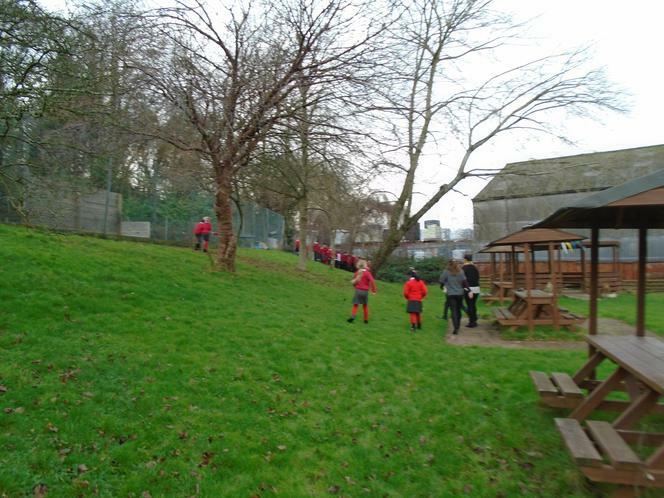 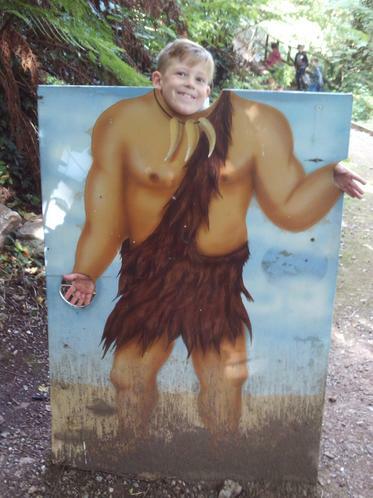 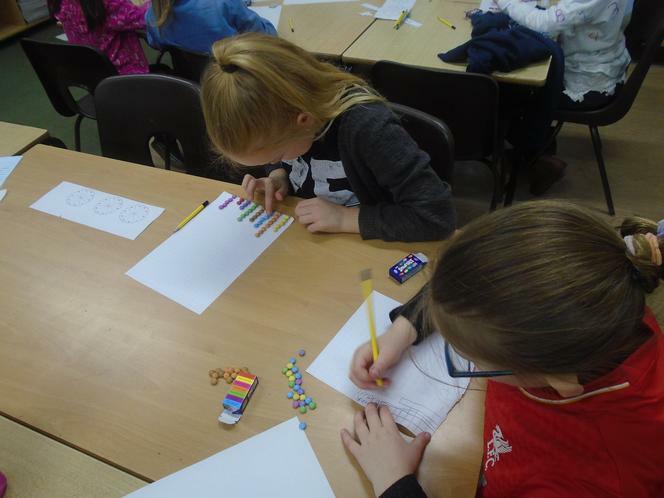 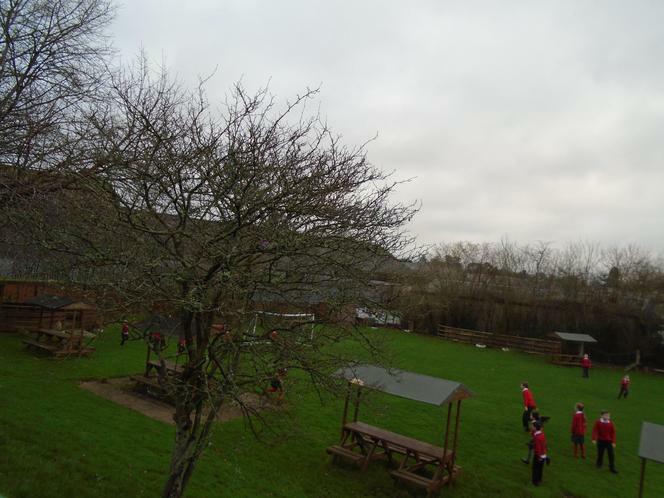 In January, Year 4 visited the fantastic Tiverton Museum of Mid Devon life. 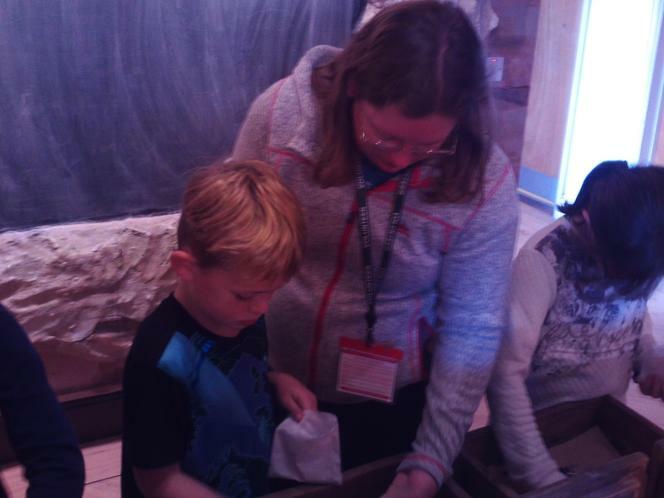 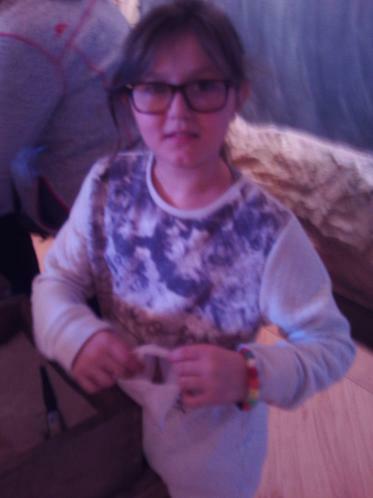 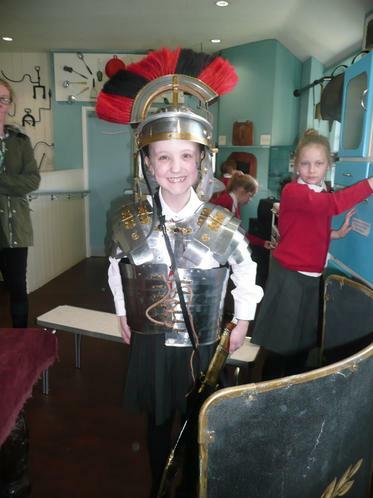 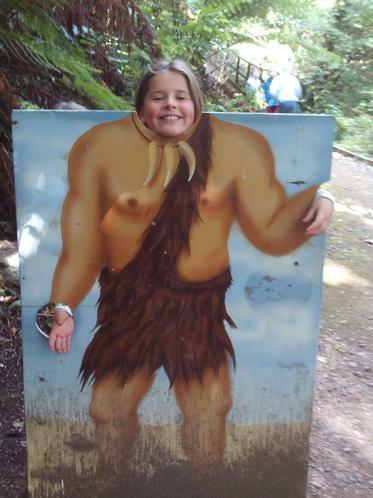 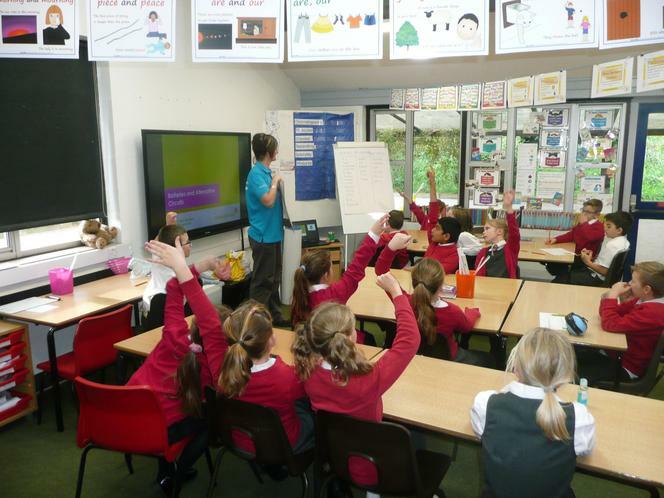 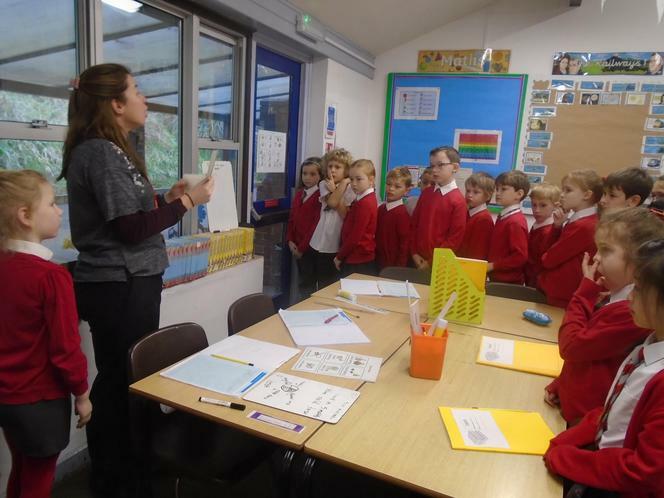 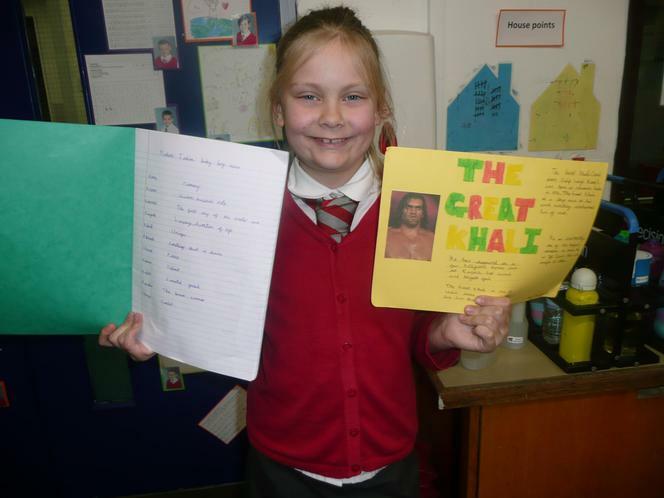 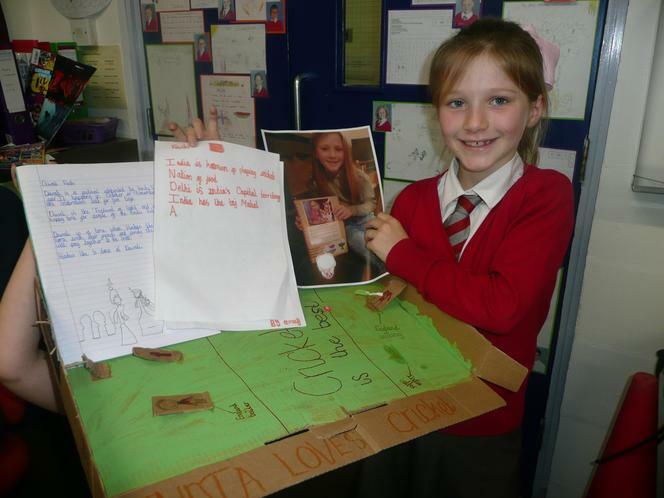 Holly and a host of volunteers developed our knowledge and understanding of the Romans. 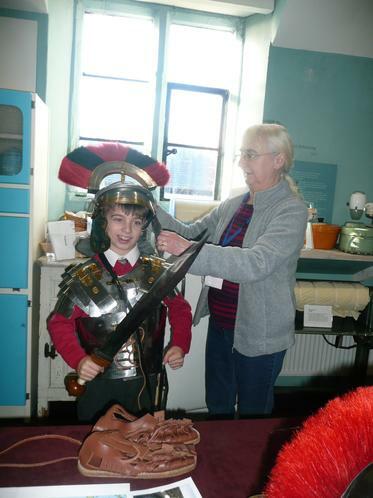 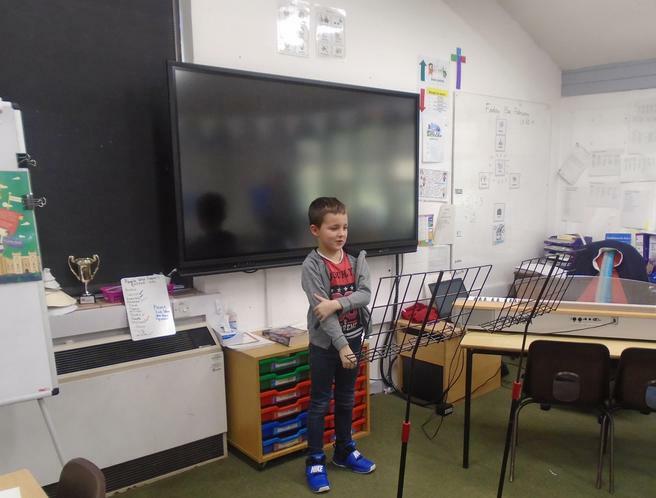 We had interactive talks on Roman schools, local archaeology, Roman armour and Roman foods. 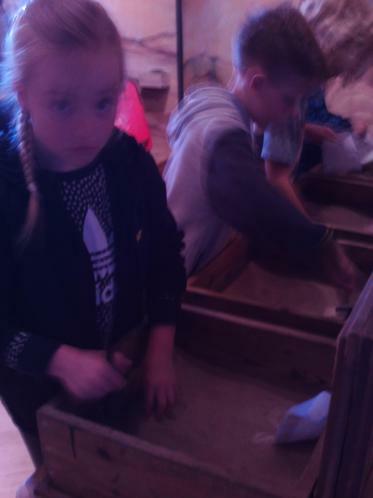 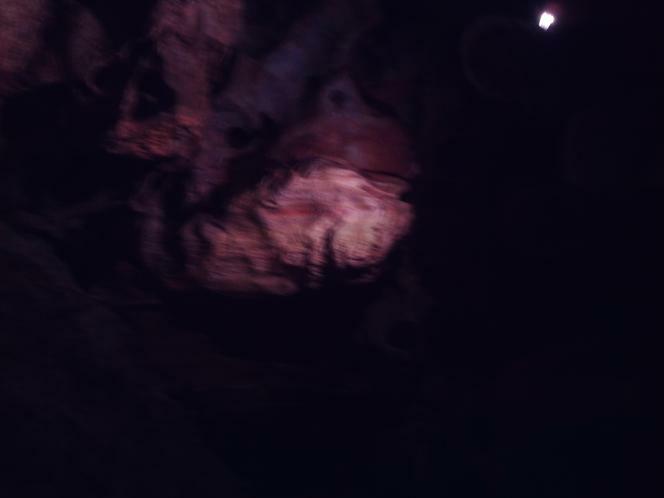 We all found it very fascinating and enjoyable. 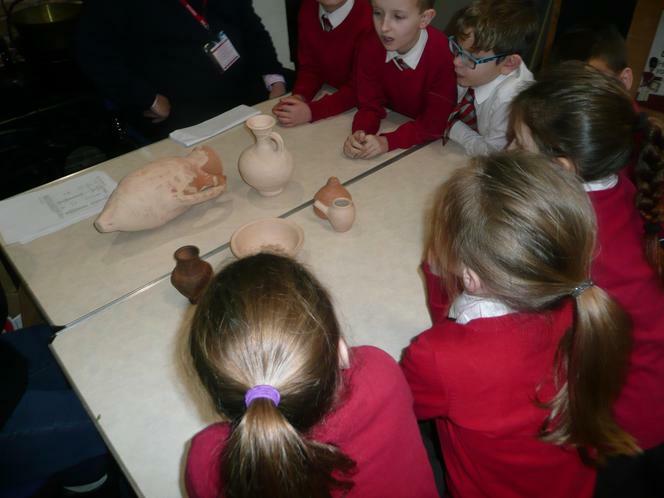 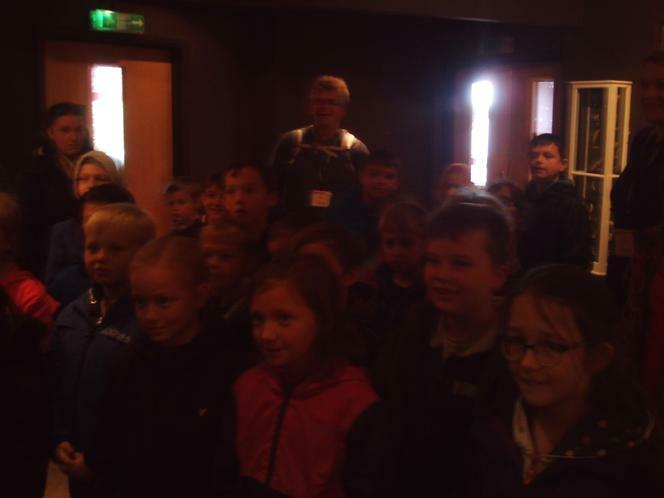 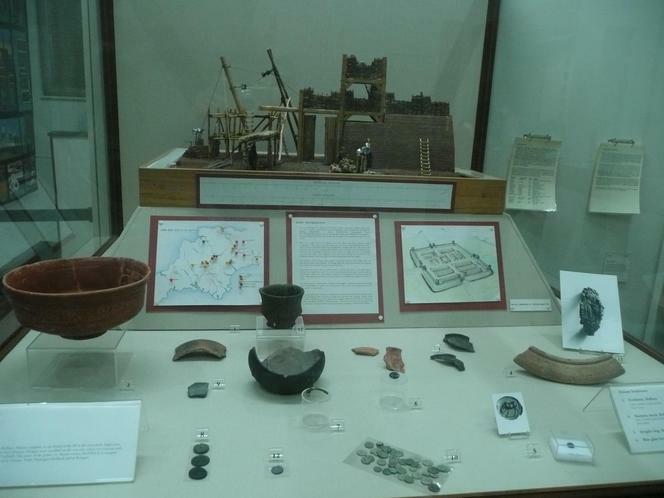 After learning about the Romans, we were able to tour the rest of the museum and learn more about our local history. 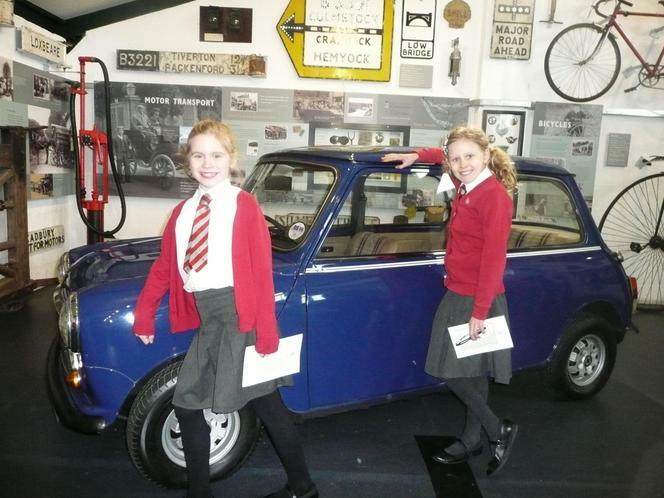 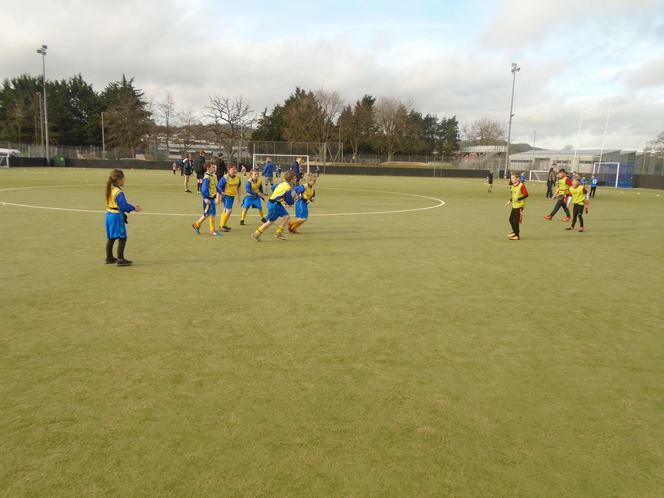 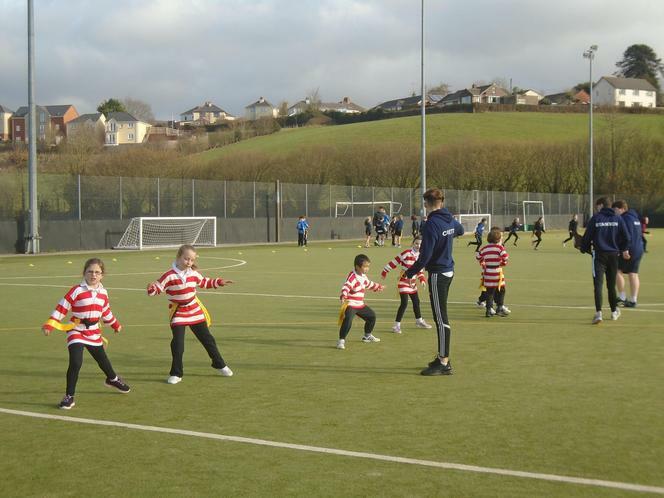 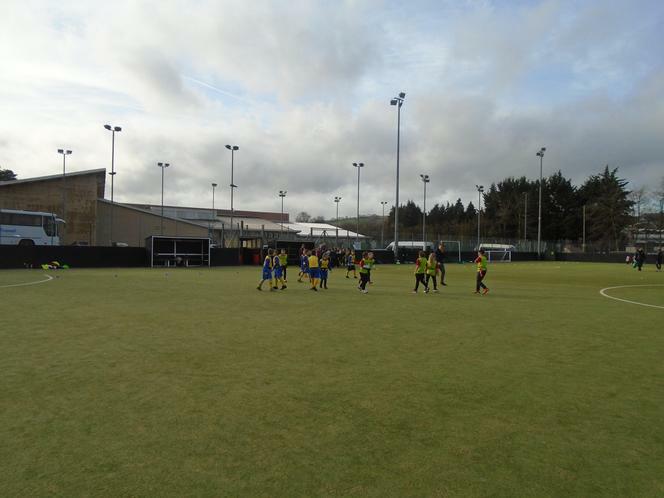 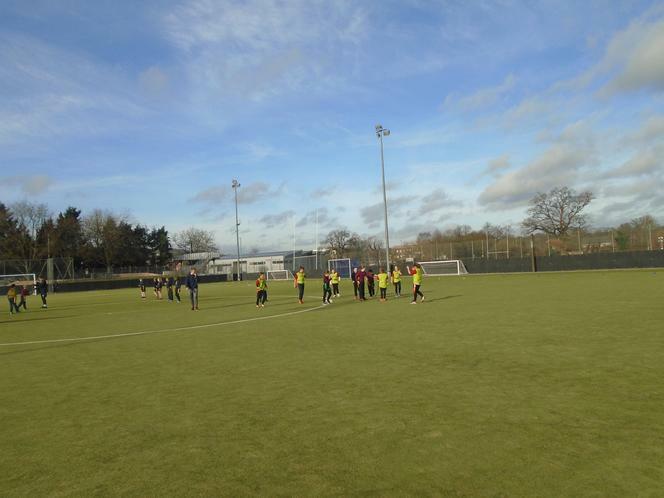 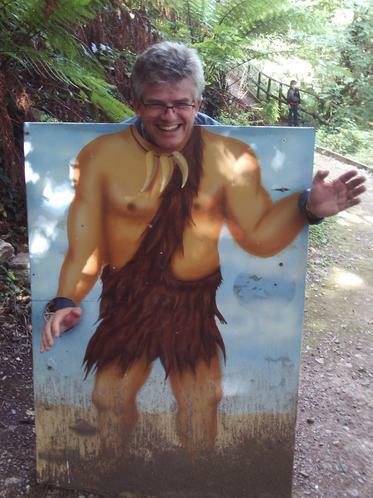 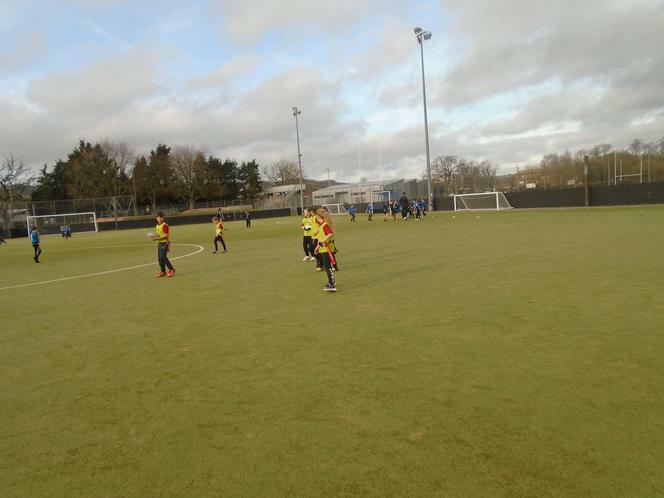 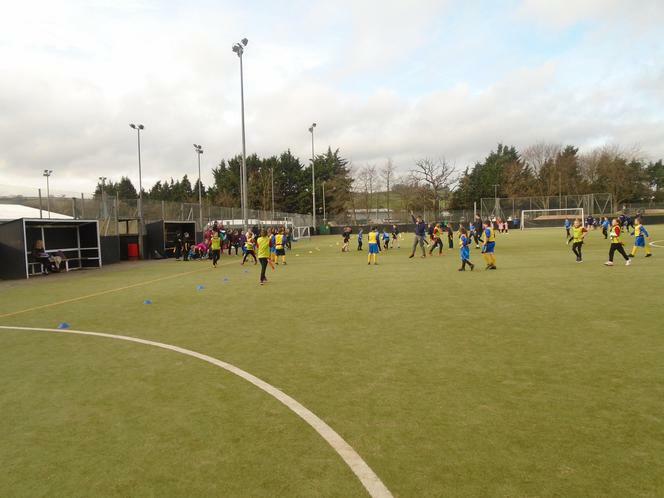 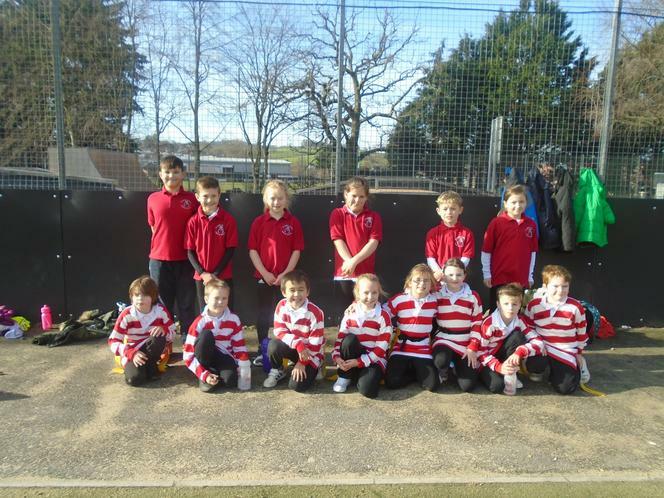 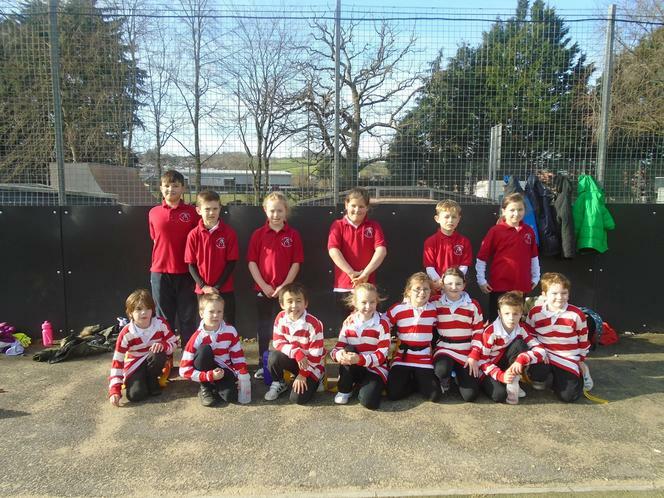 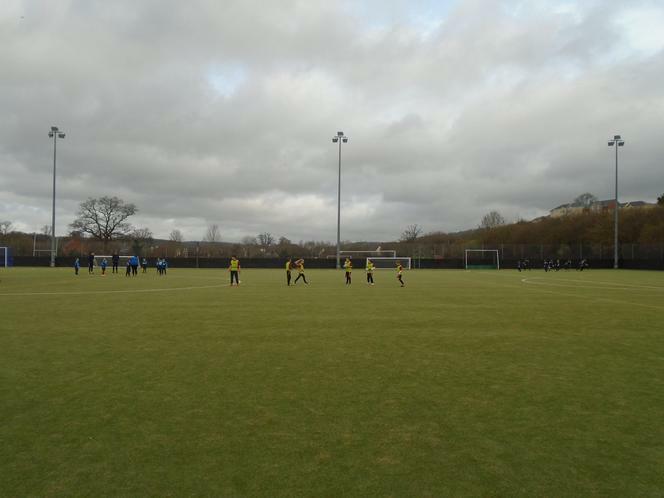 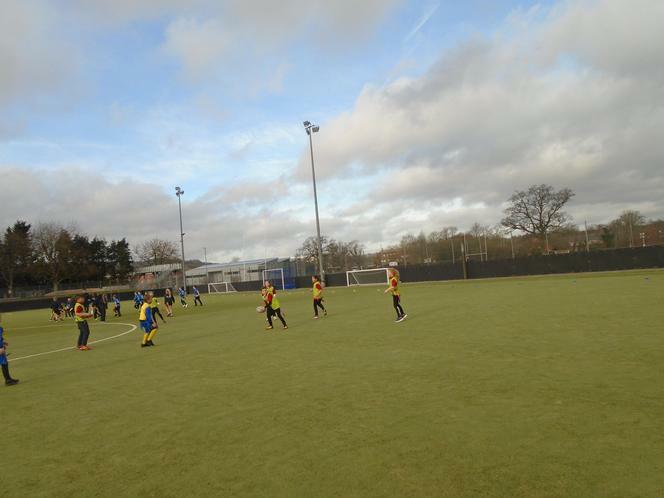 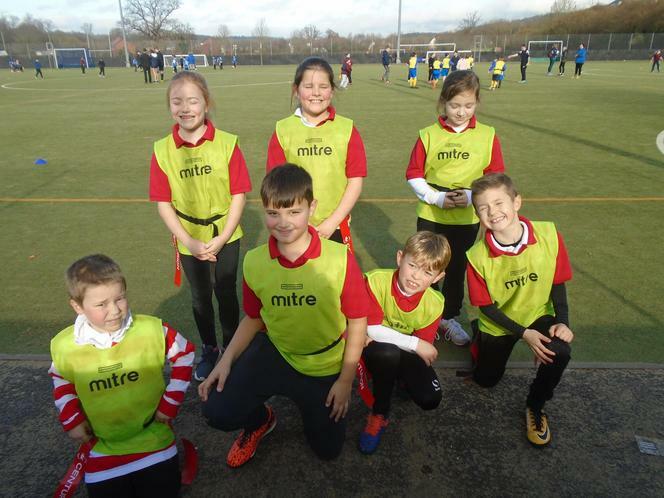 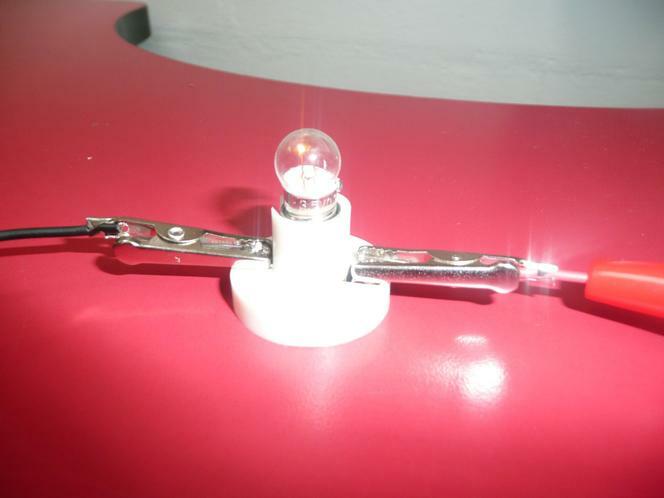 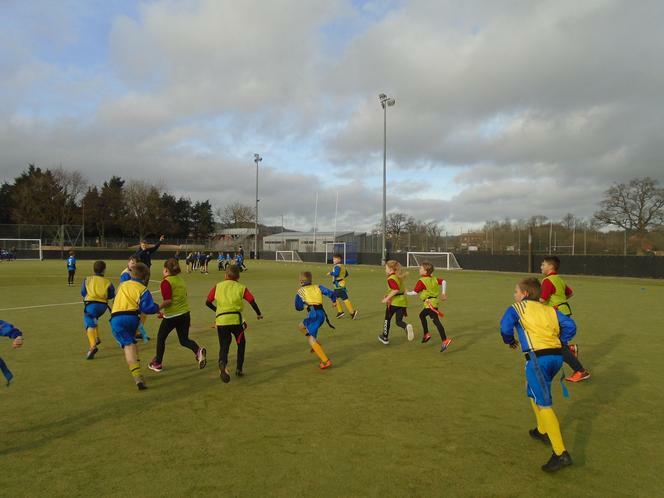 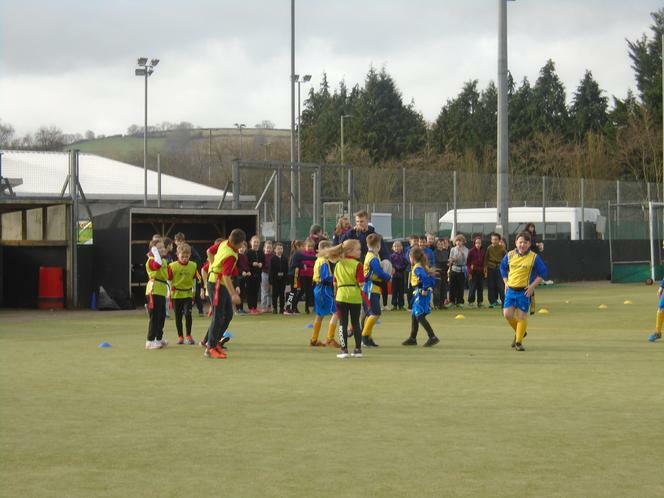 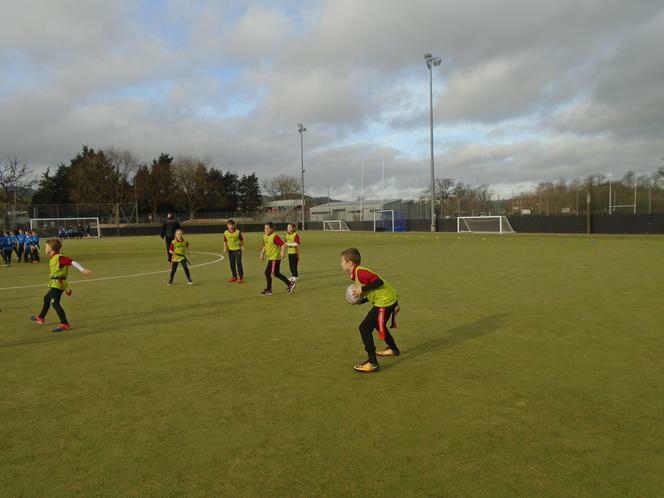 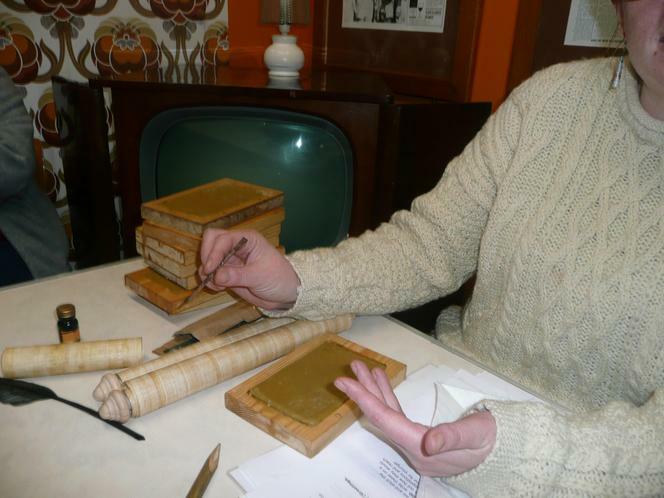 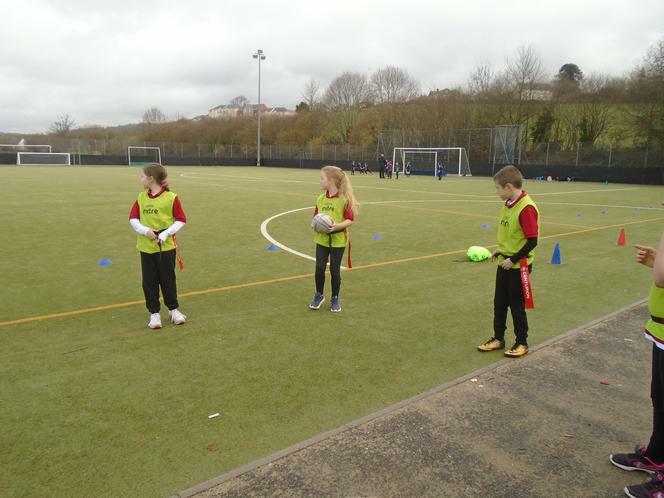 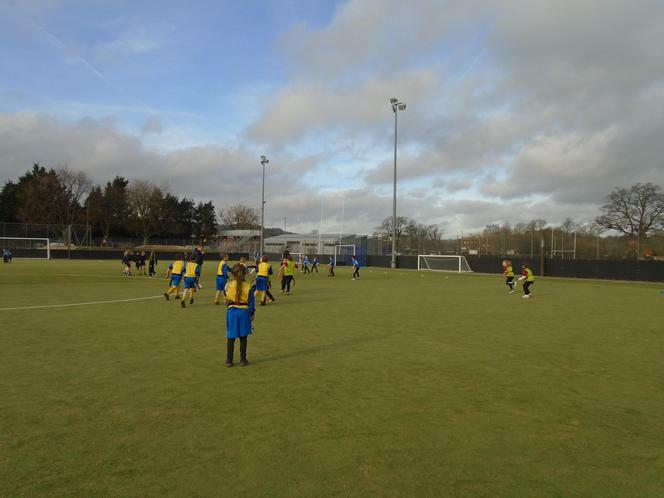 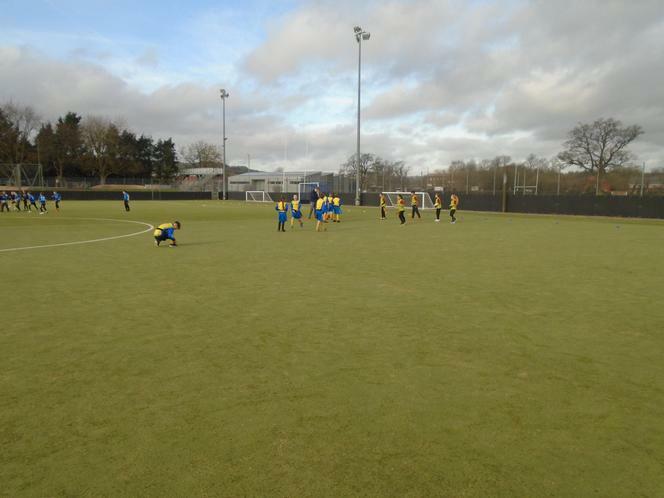 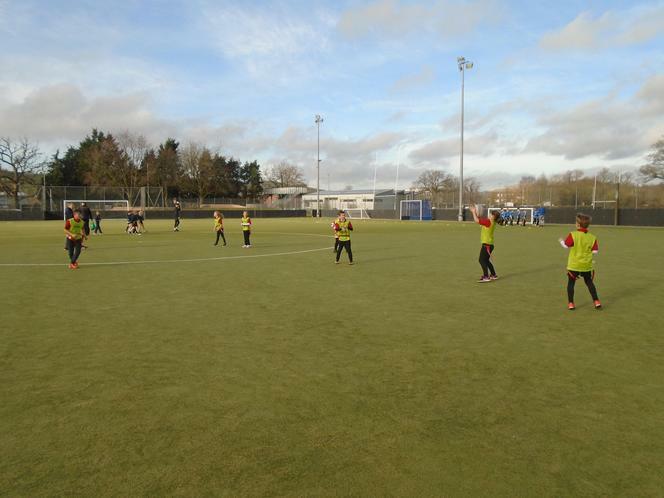 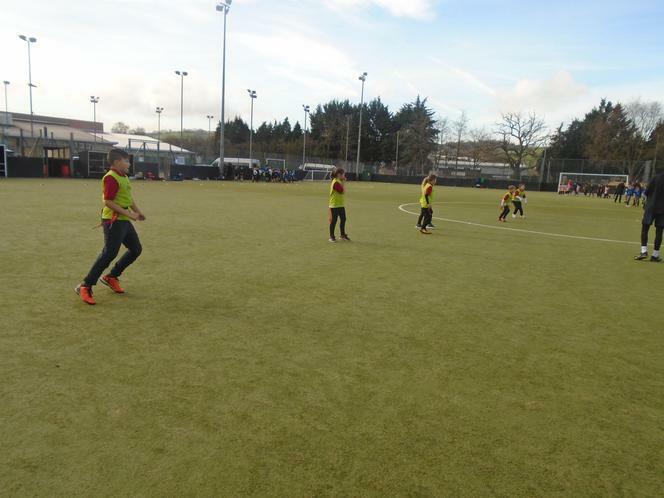 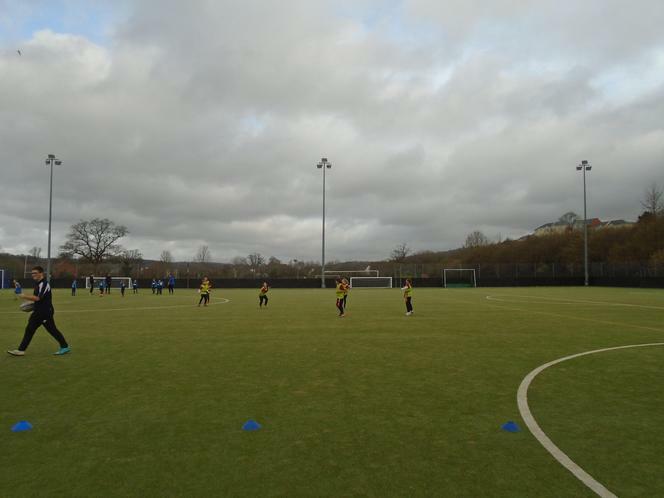 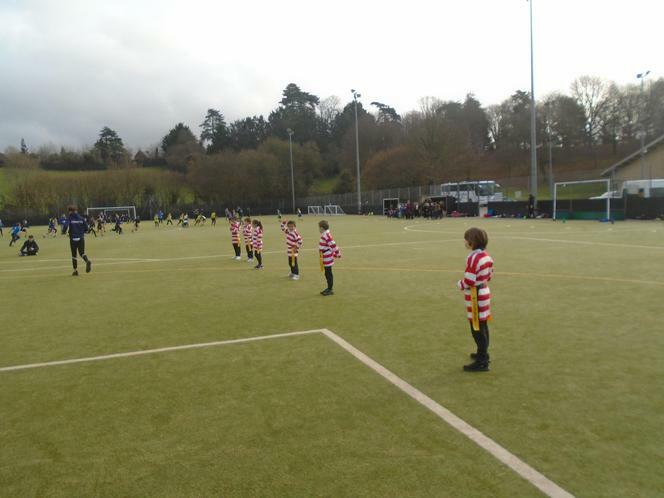 The exhibition that was the most loved was the Tivvy Bumper – toot – toot! 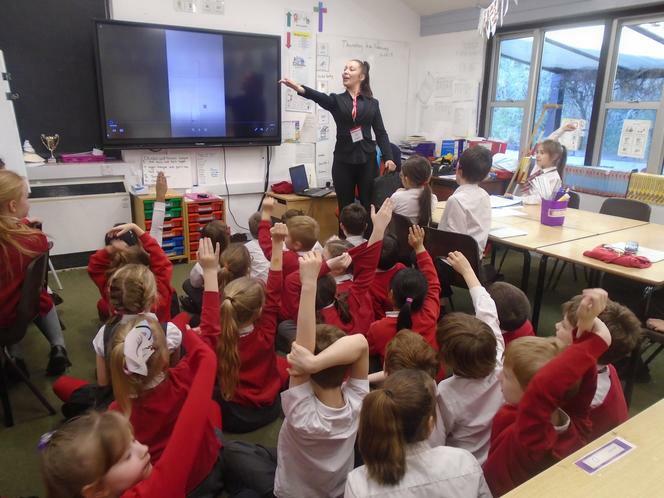 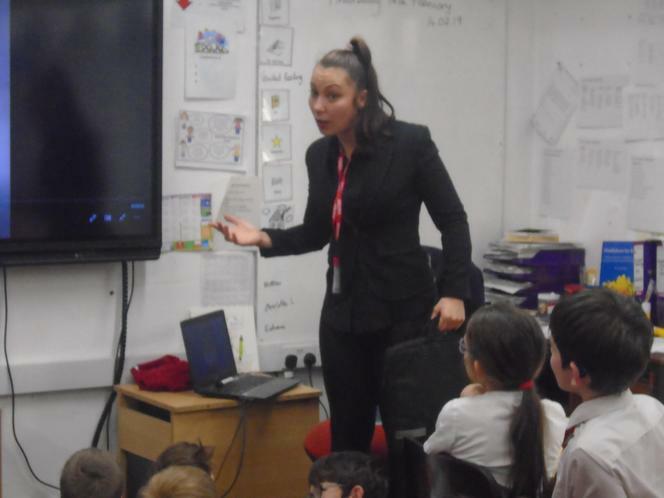 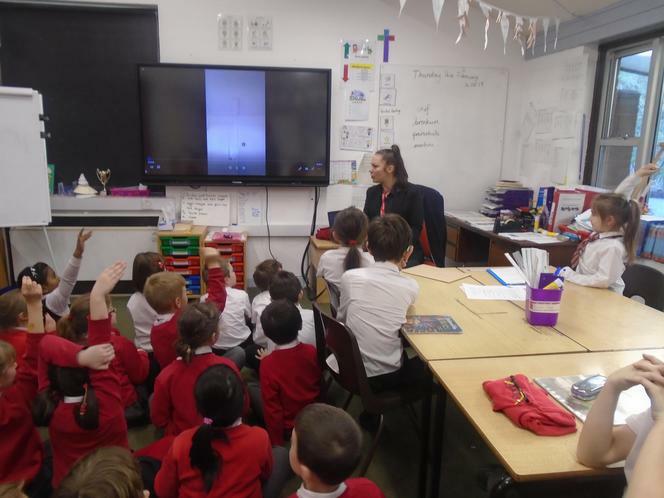 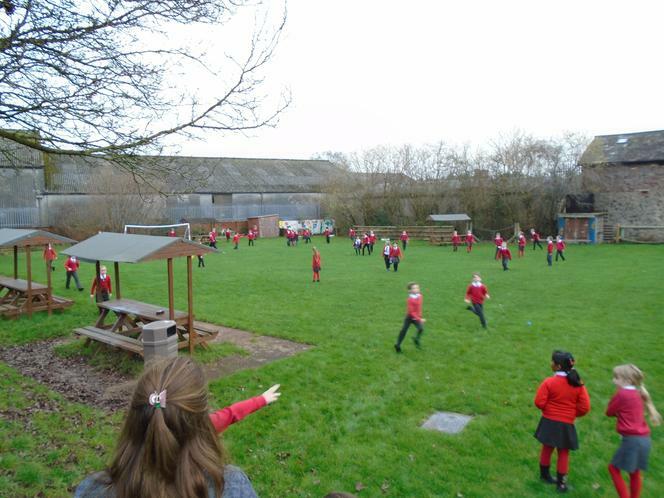 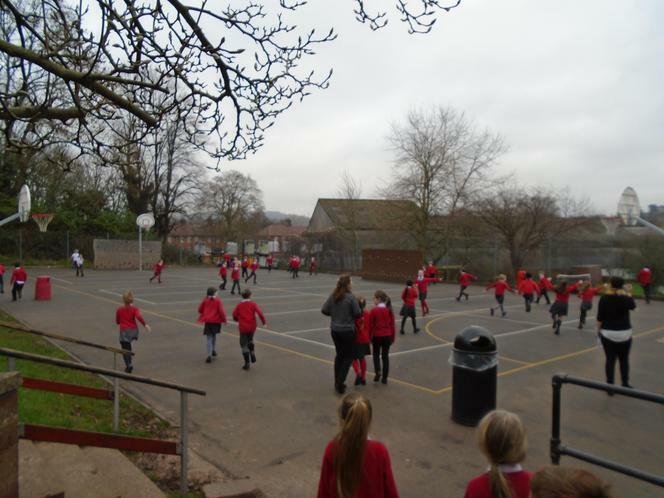 Sally Jackson visited Year 4 and spoke to us about the importance of reduce, reuse and recycling to ensure Devon does not go to waste. 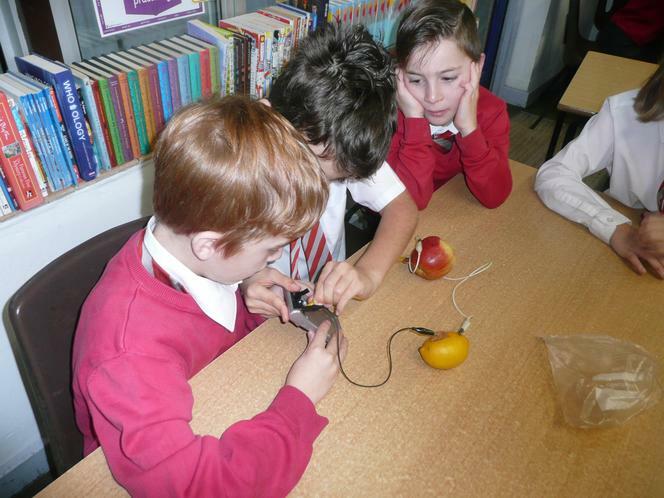 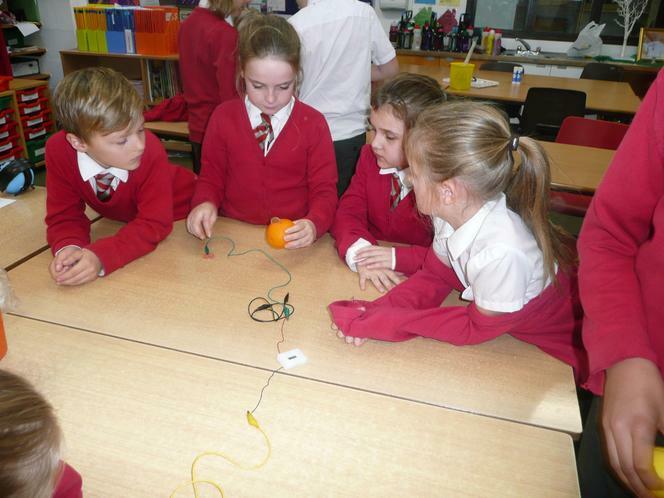 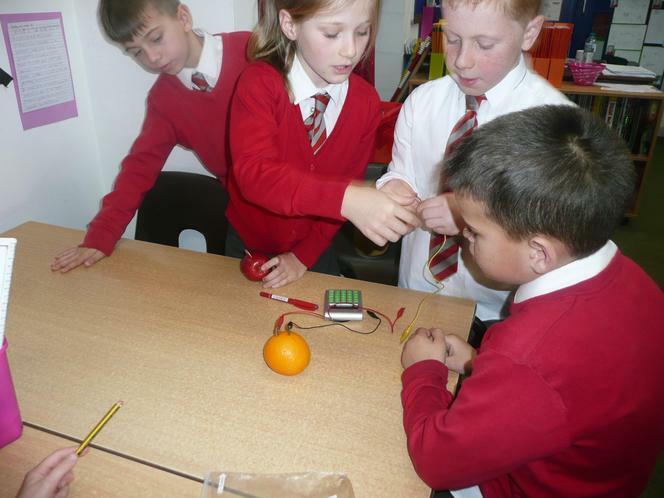 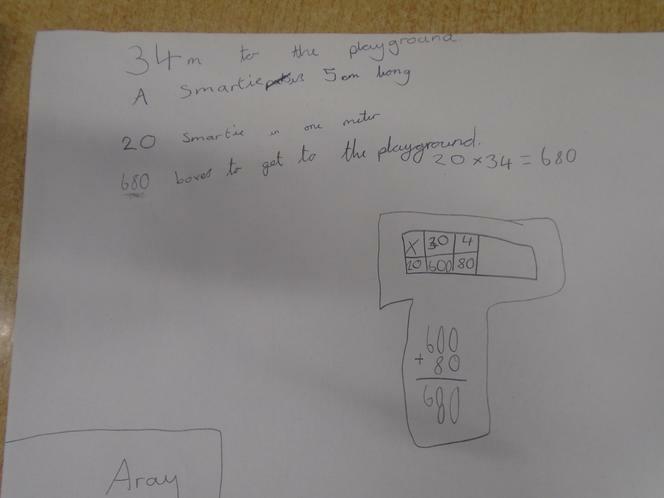 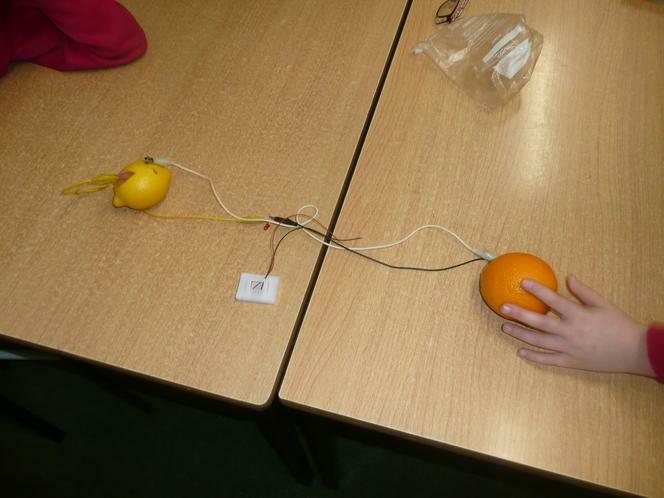 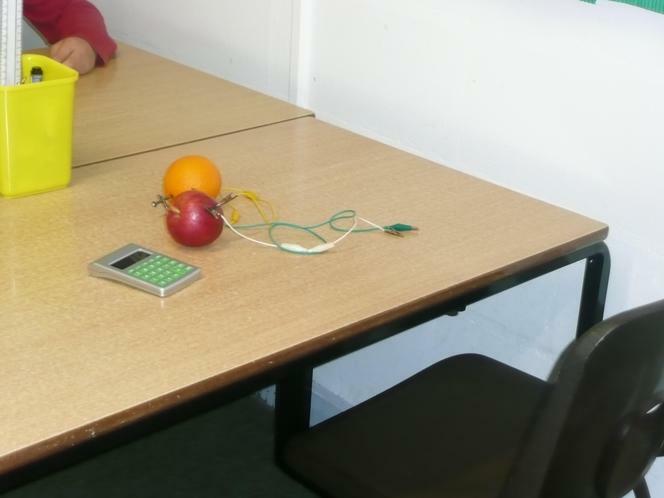 One of many exciting challenges was to make a calculator work using two wires, a copper penny, a zinc coated nail and an orange! 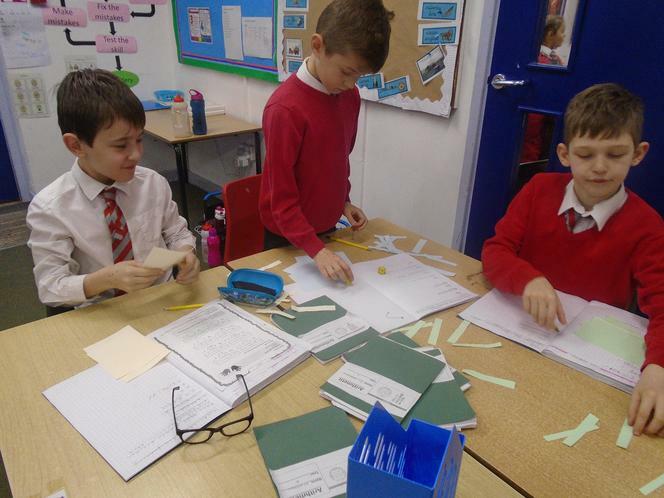 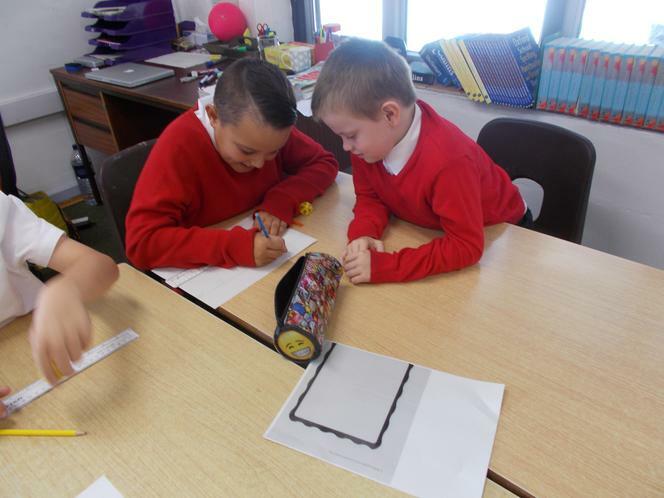 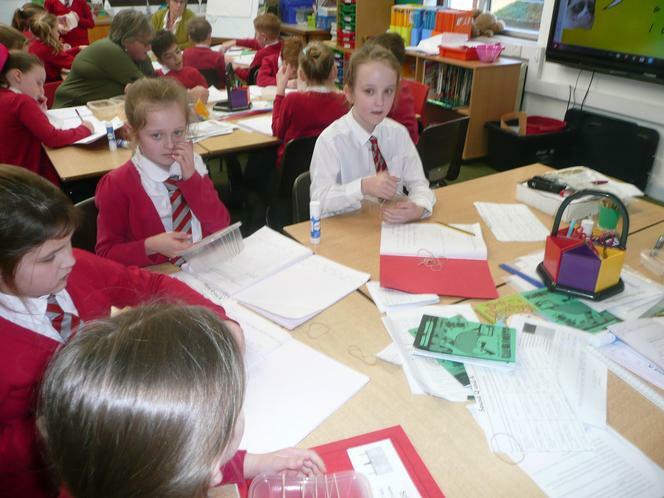 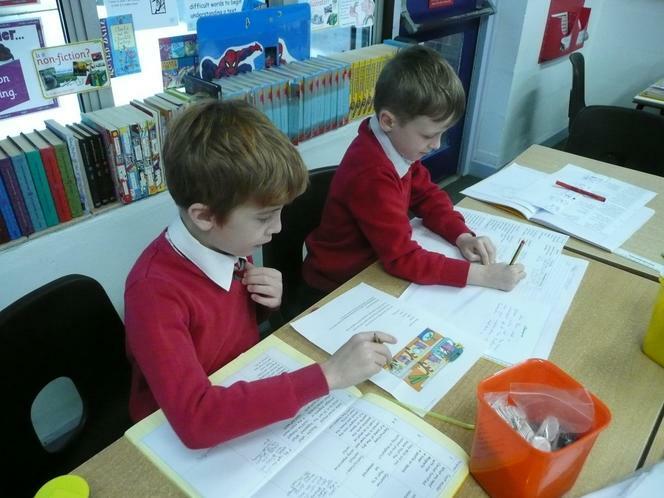 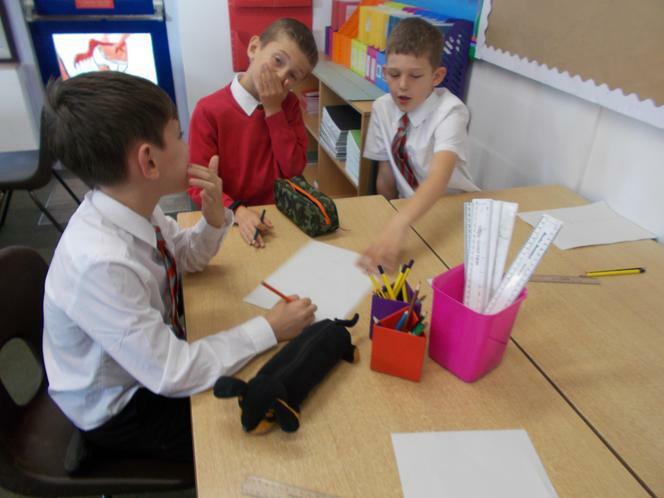 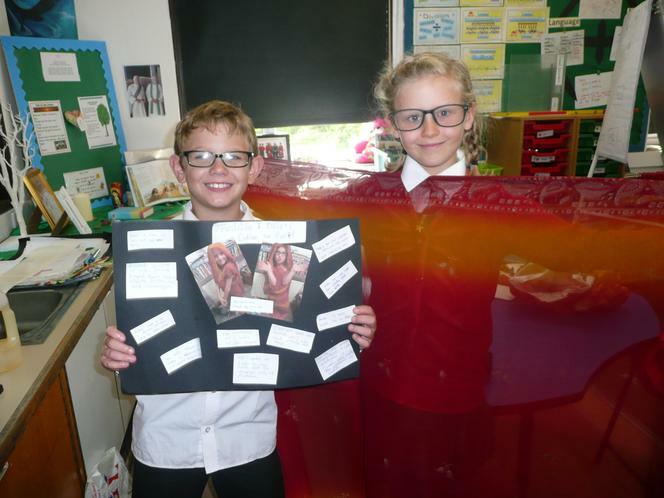 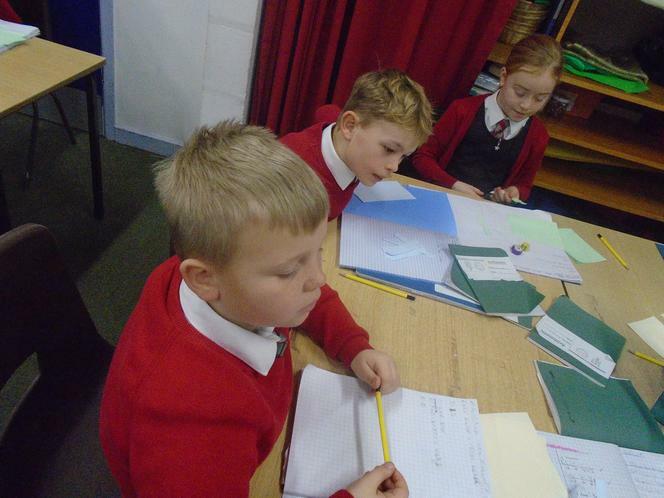 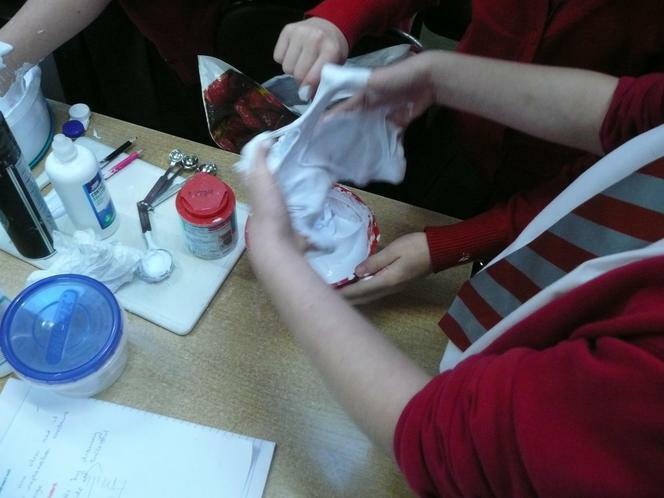 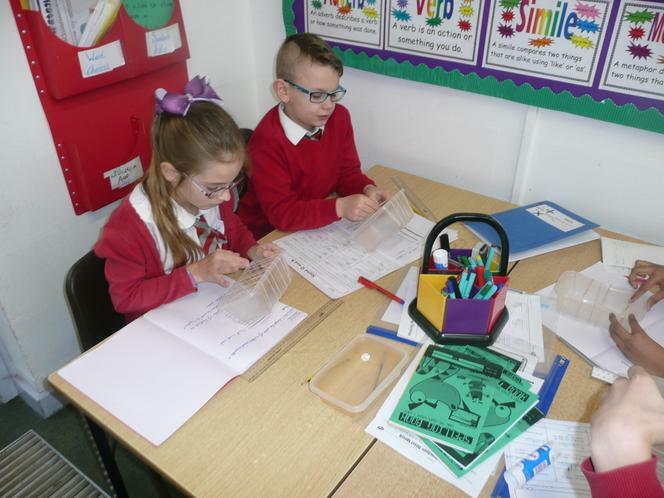 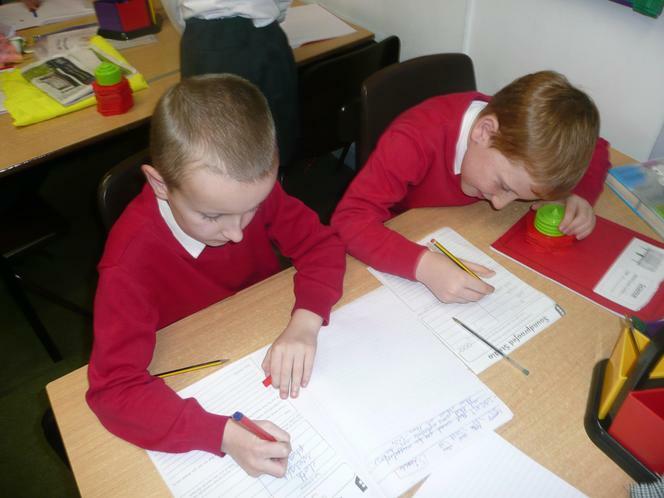 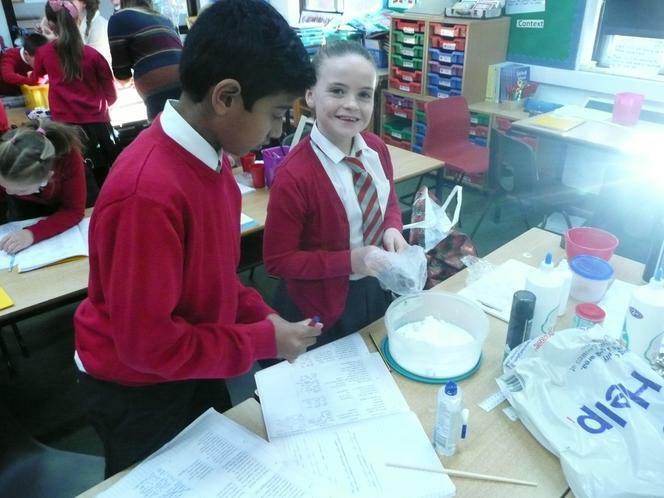 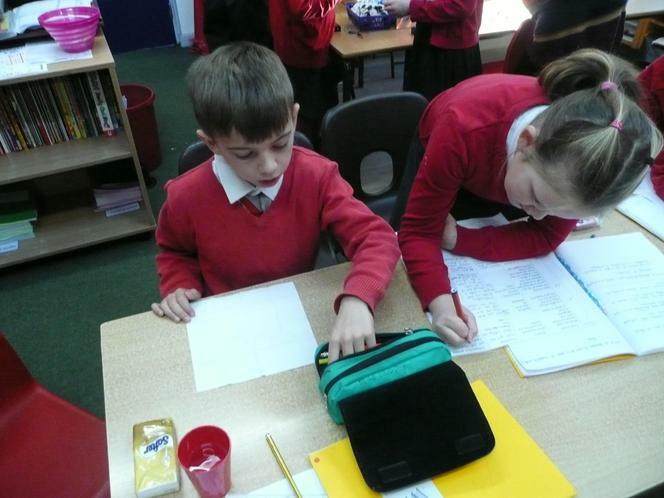 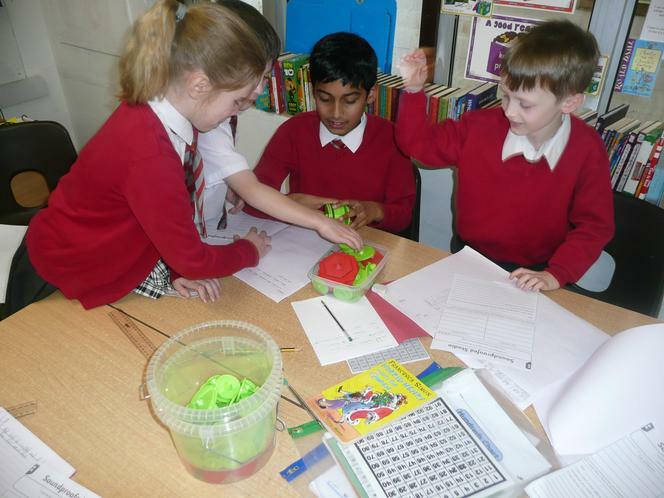 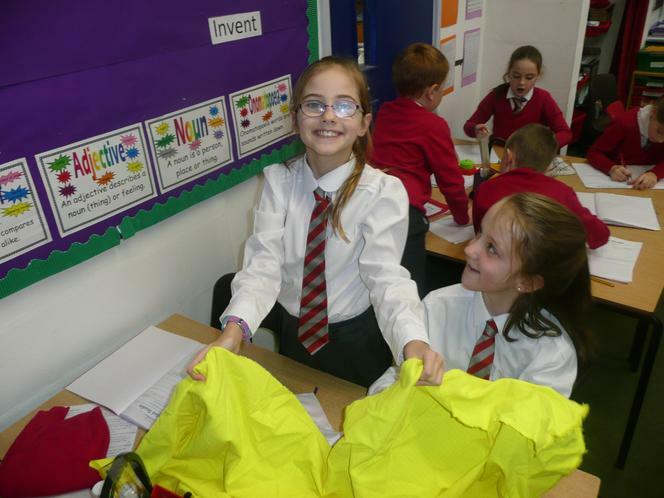 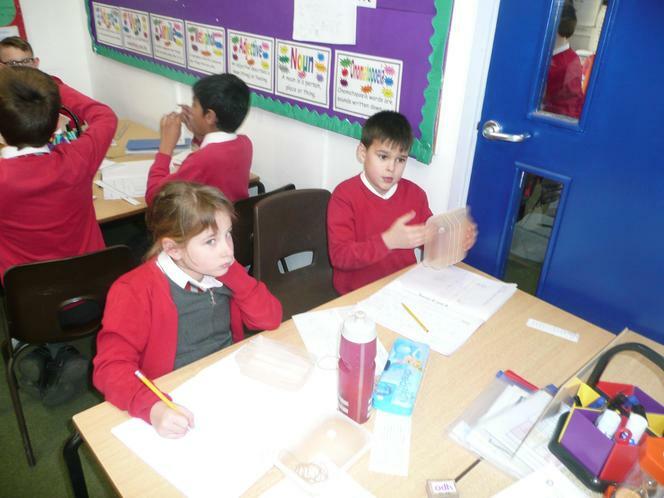 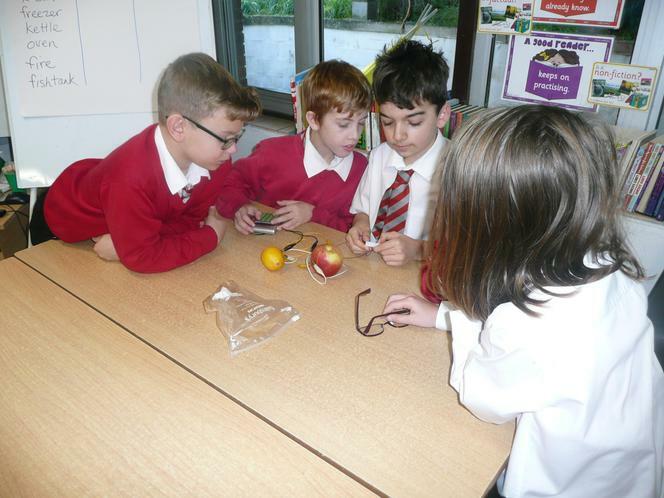 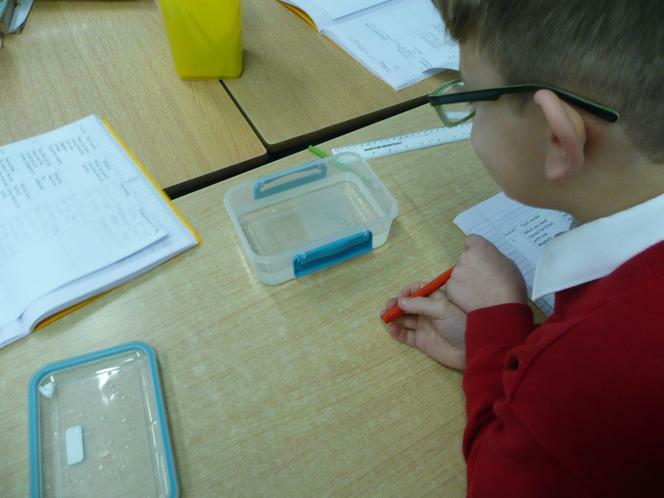 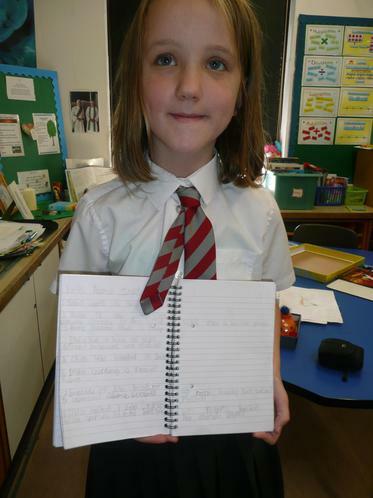 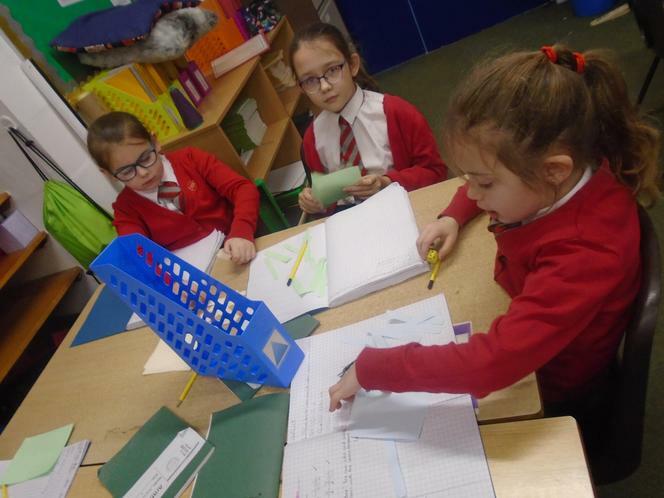 In Literacy, Year 4 have been using the texts of Marvin and Milo to help write up science experiments. 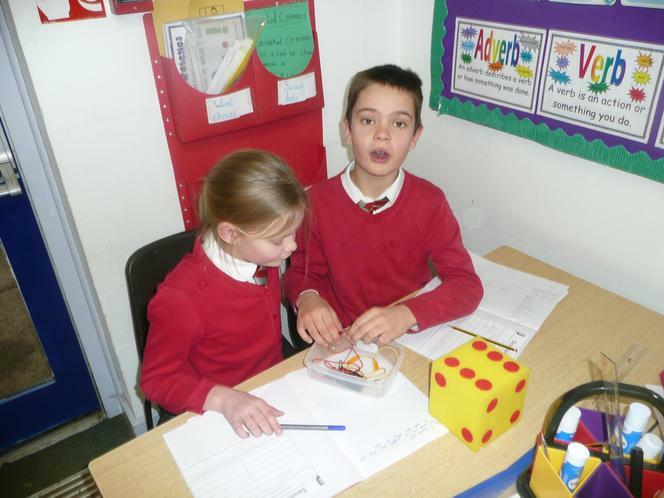 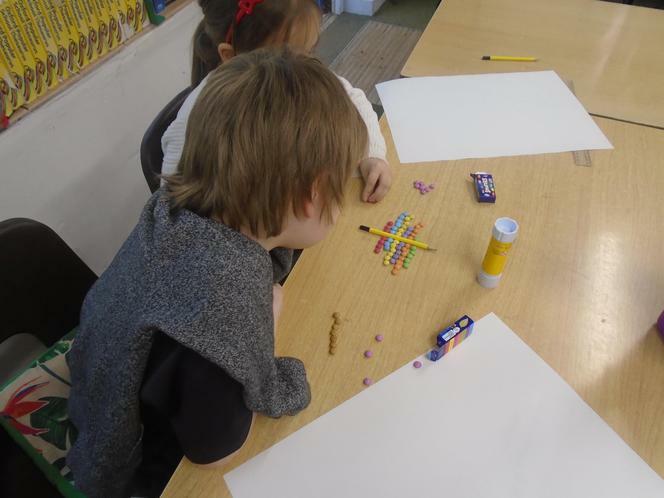 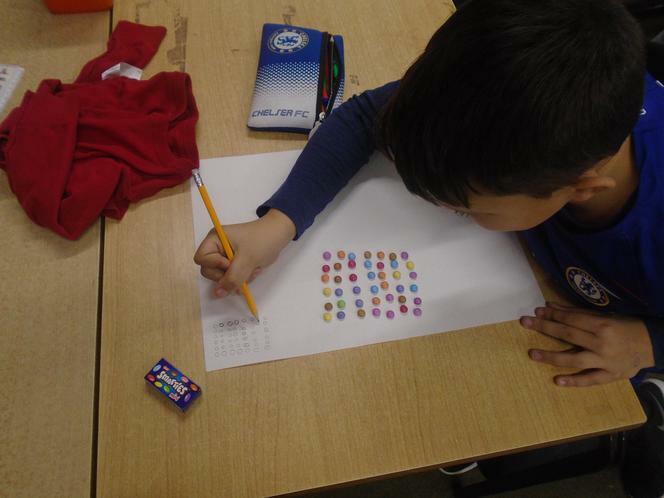 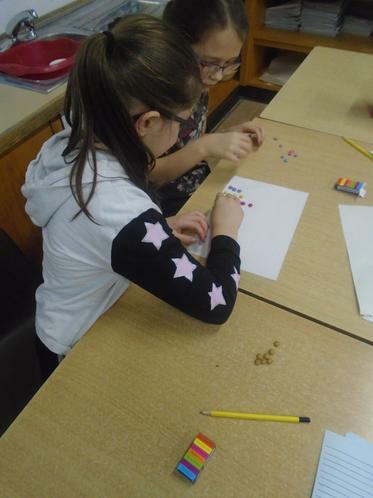 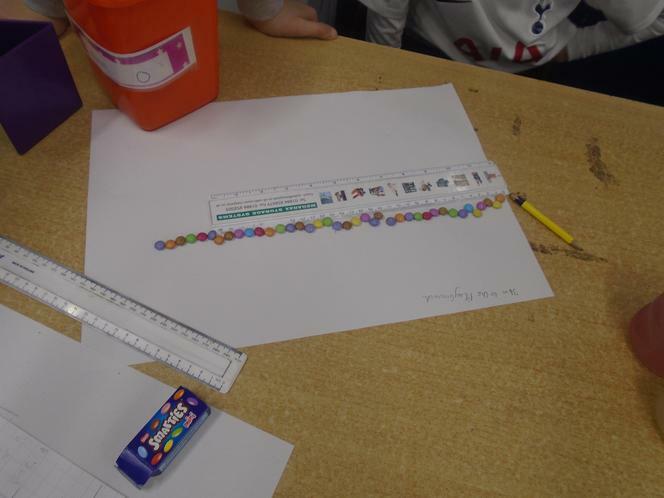 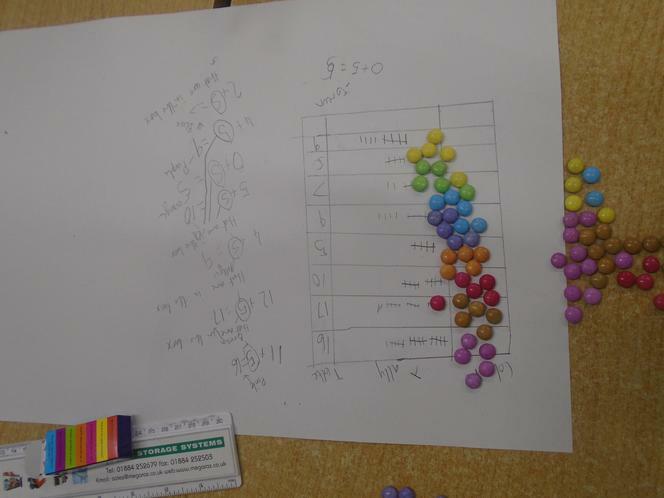 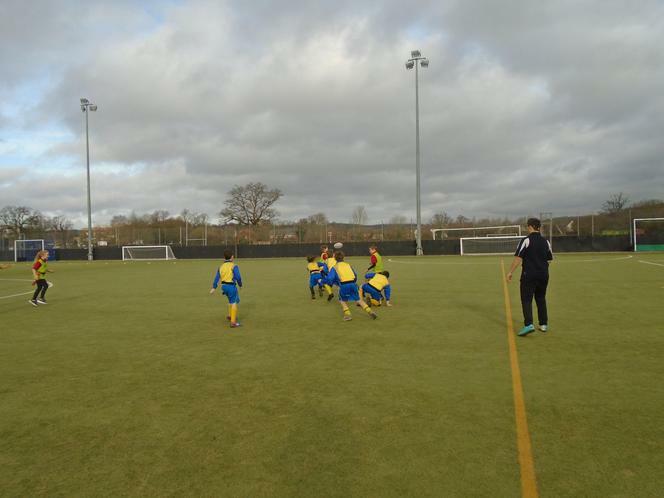 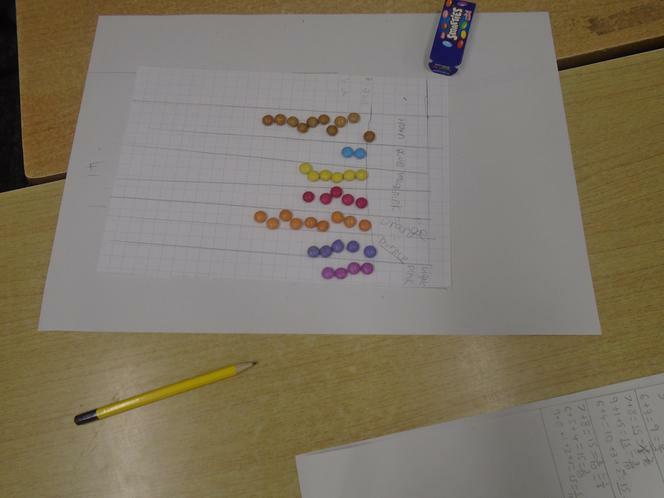 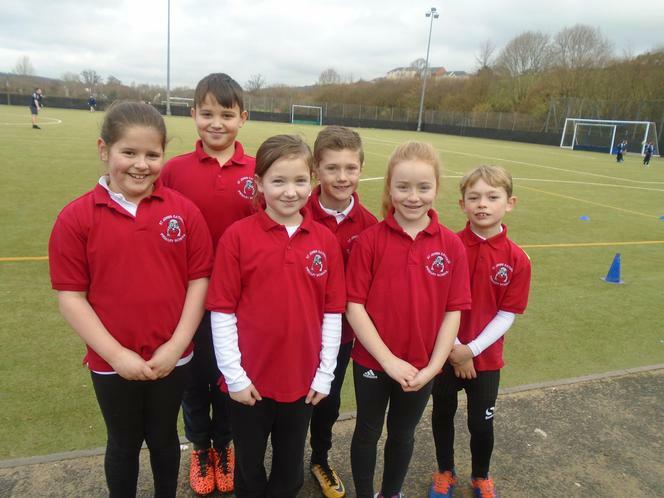 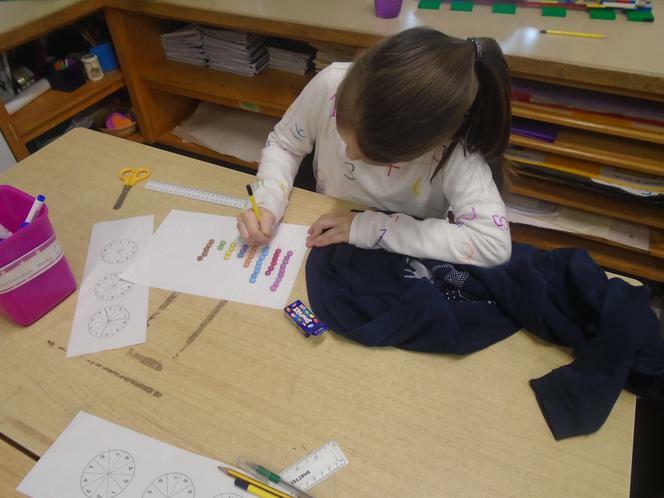 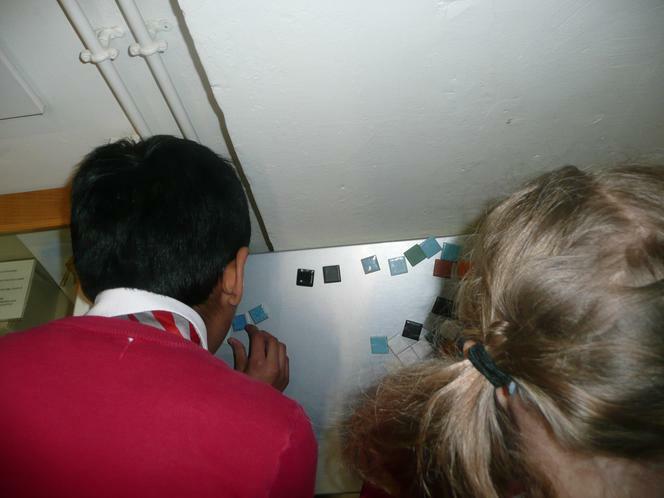 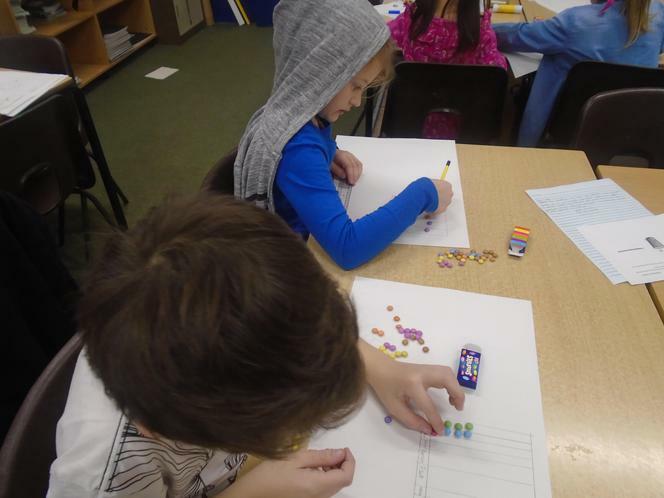 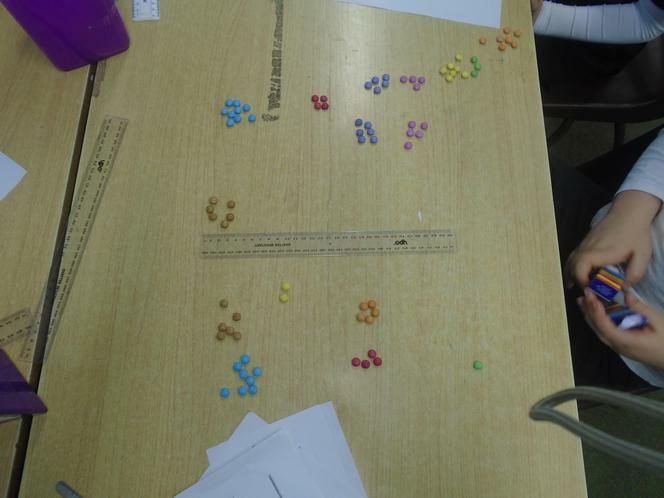 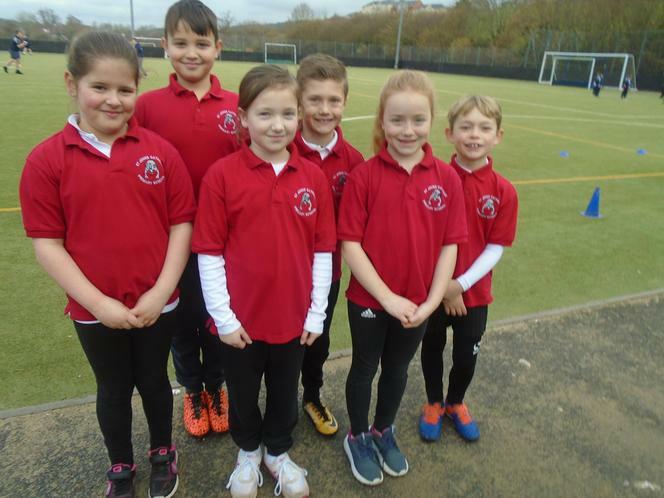 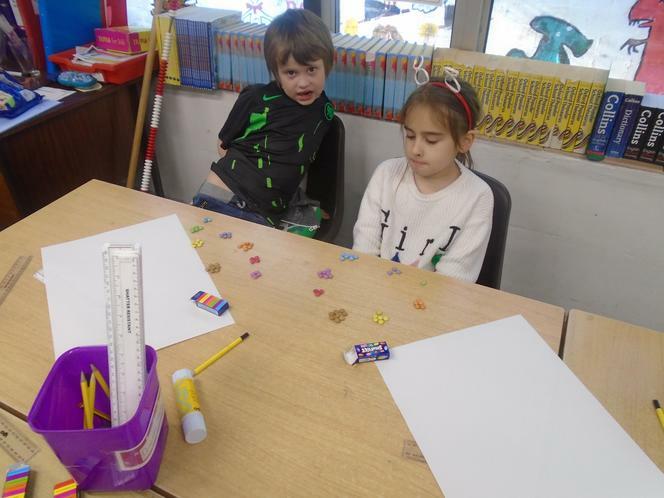 As part of the process, we carried out our own investigations. 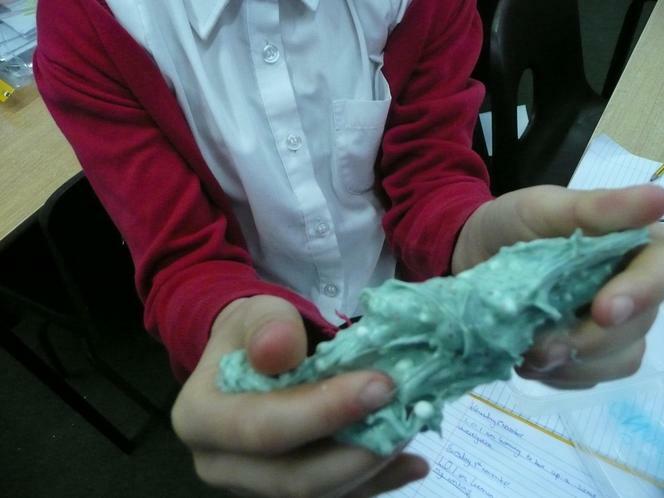 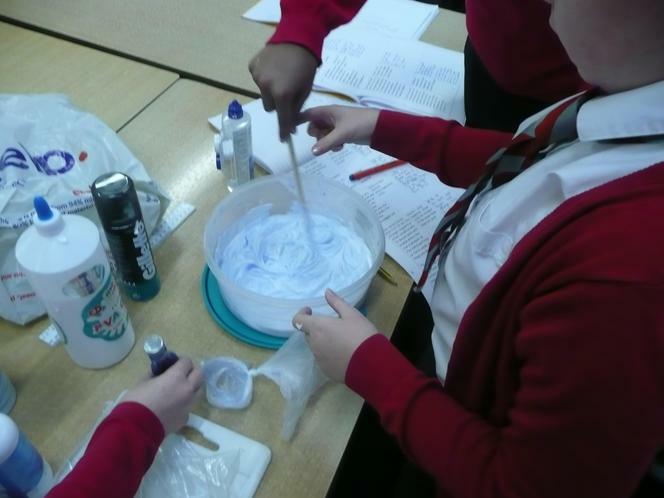 One of the most messy and most popular was making slime! 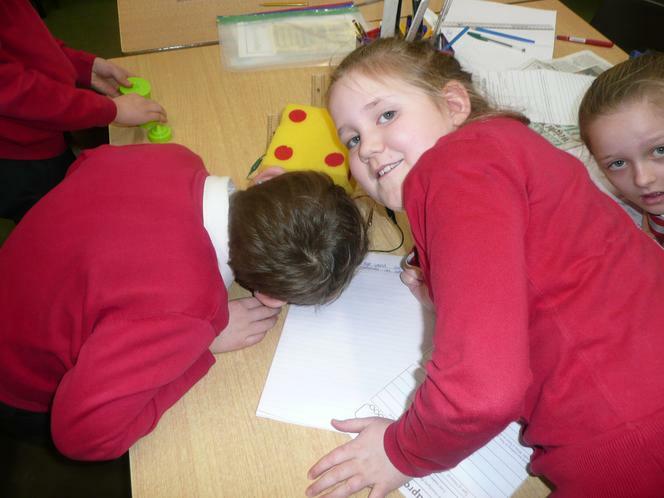 Literacy - writing up a science investigation. 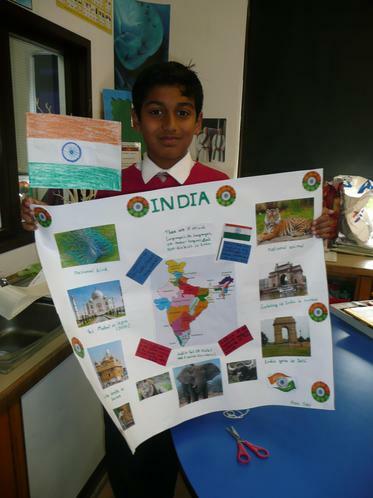 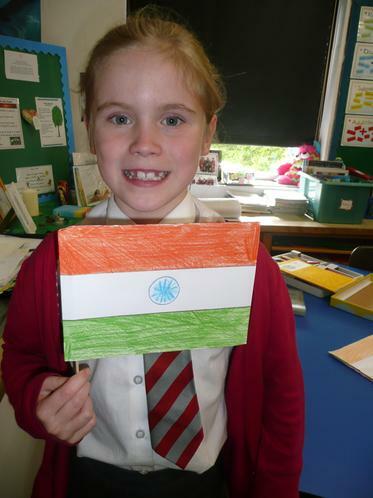 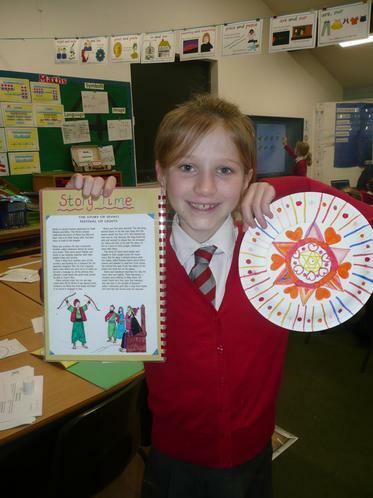 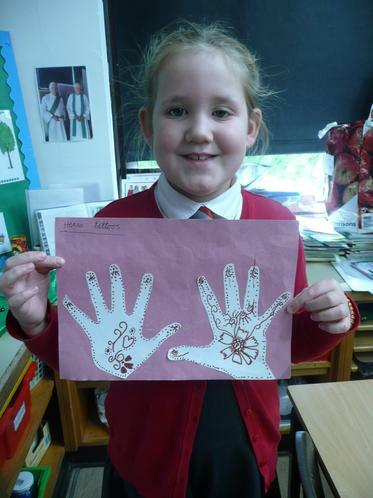 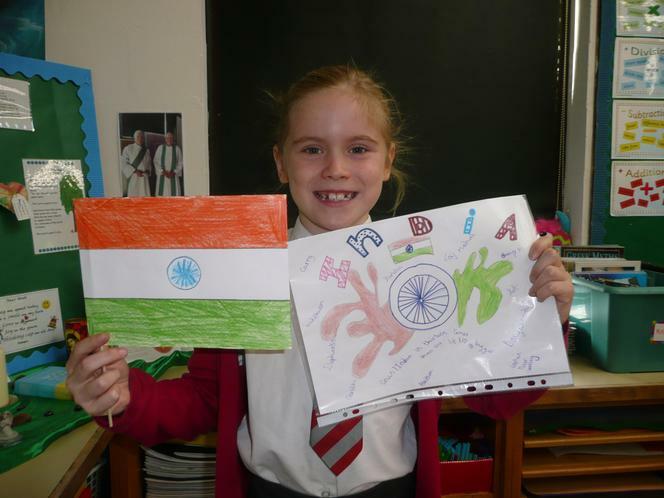 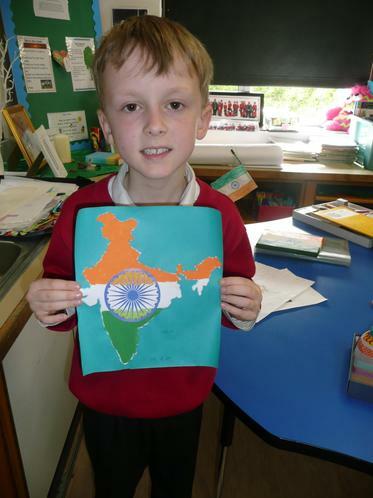 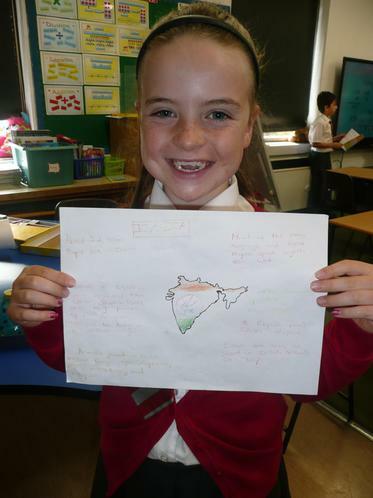 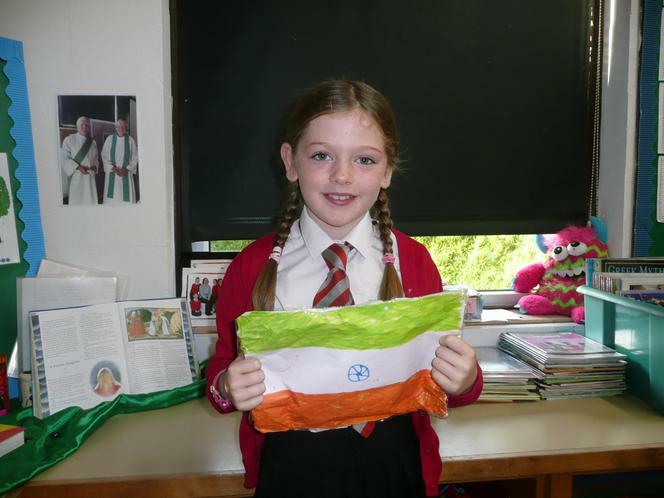 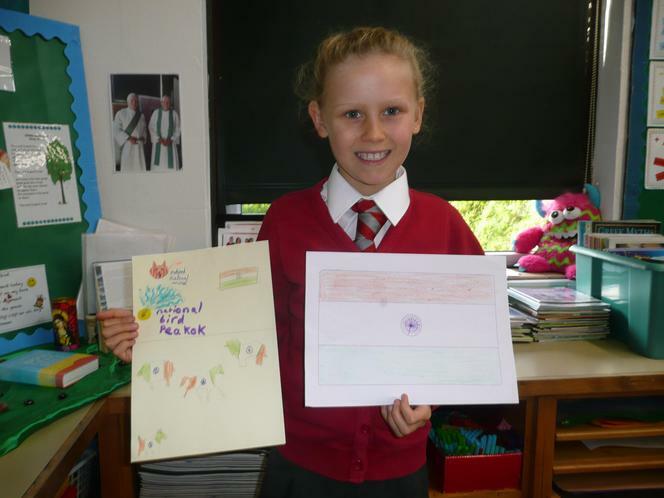 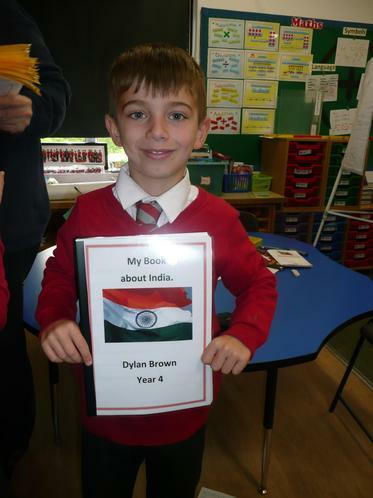 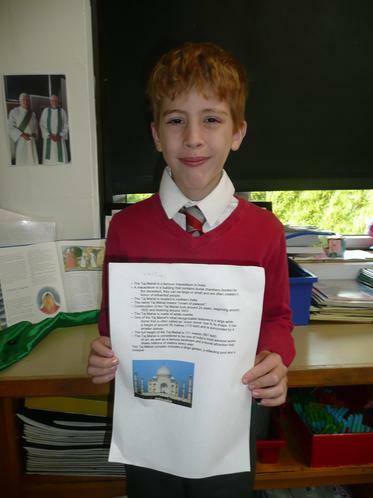 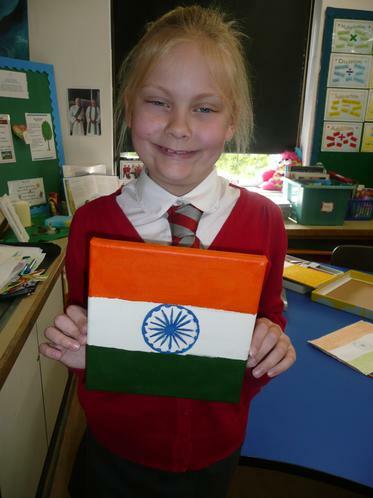 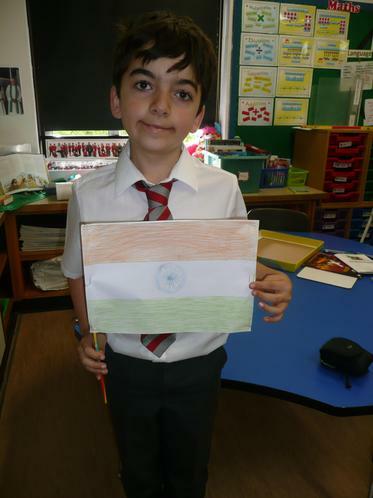 Our topic this term has focused on the country of India. 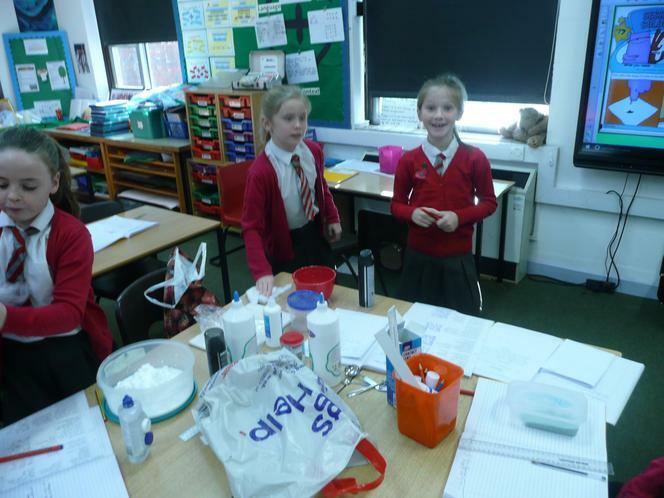 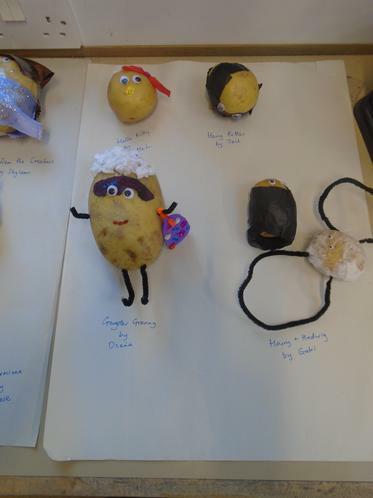 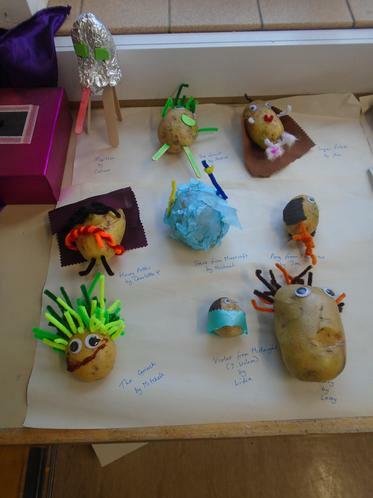 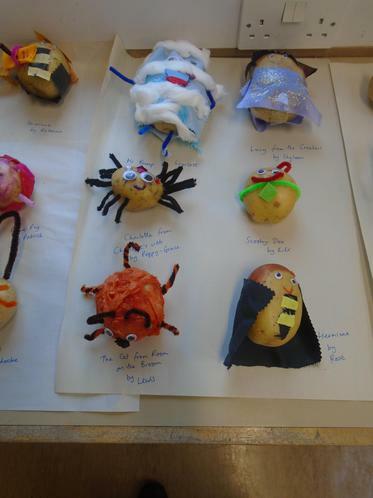 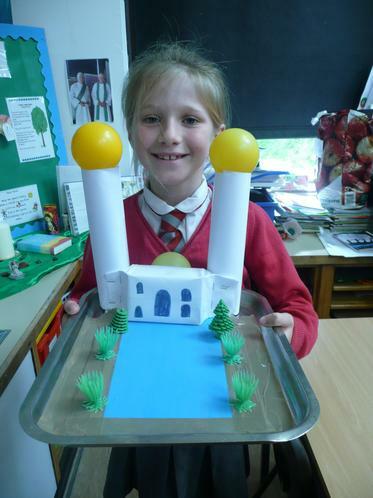 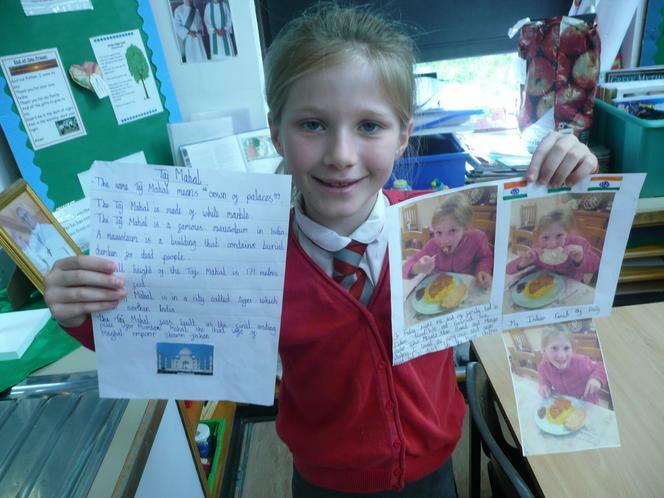 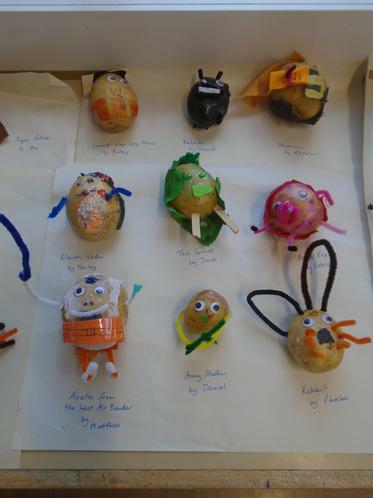 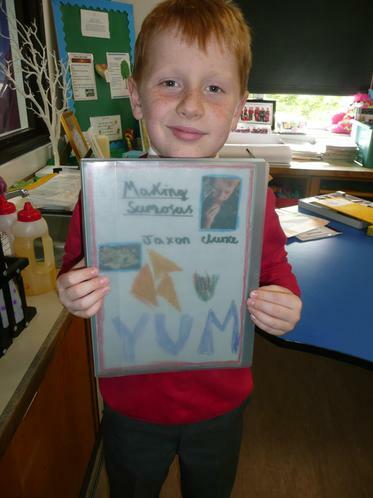 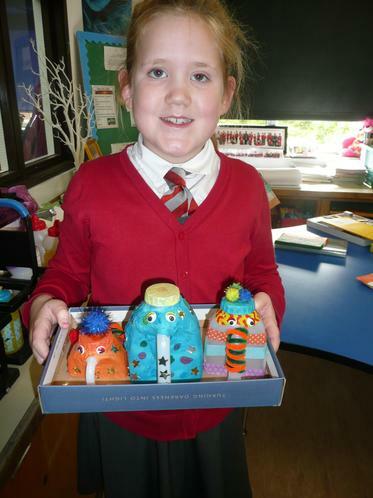 Here is a small selection of home learning that has been brought in by Year 4. 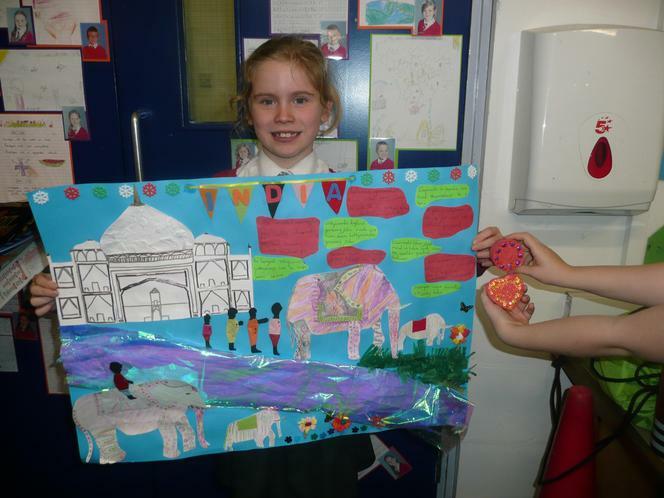 The work has ranged from delicious samosas to incredible posters full of art work. 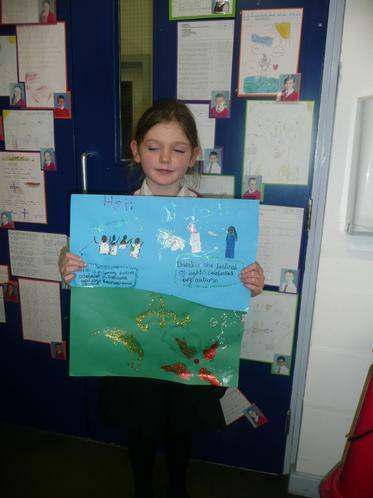 Well done Year 4 and a big thank you to all the parents and carers who helped you create such great work. 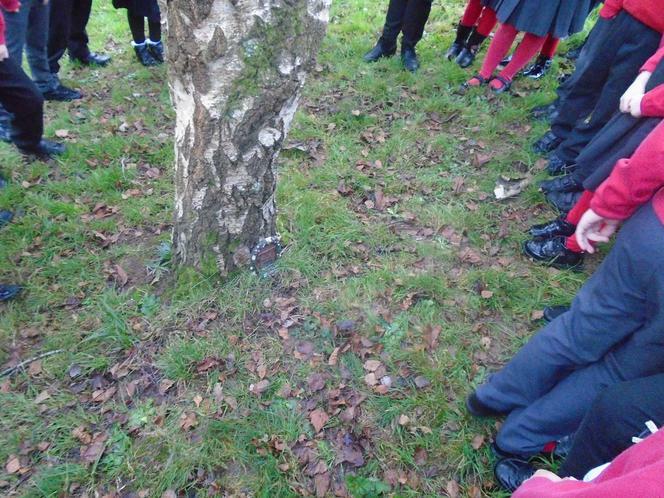 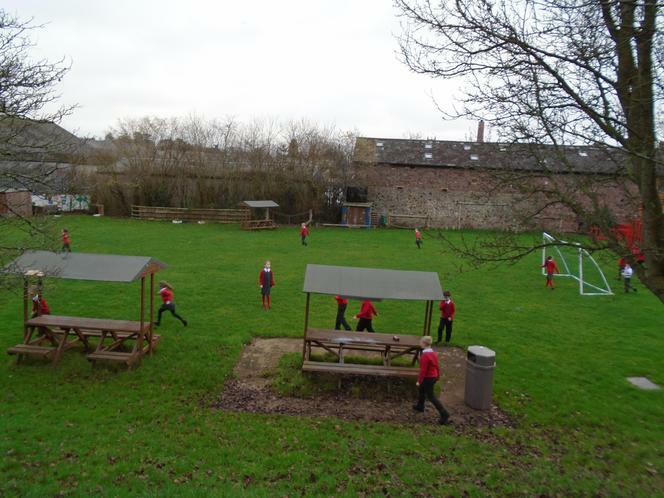 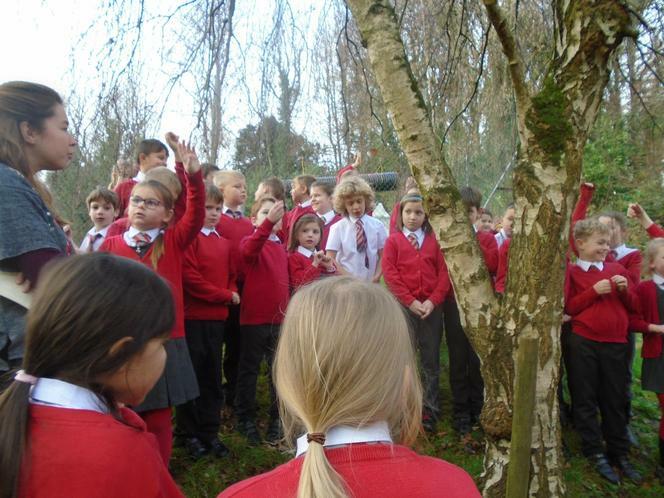 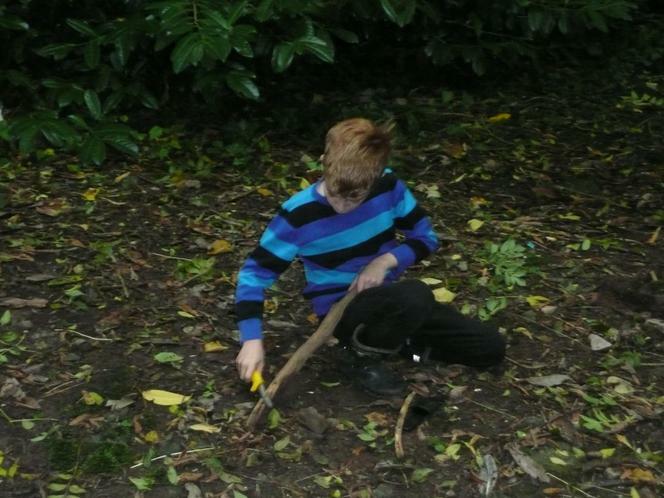 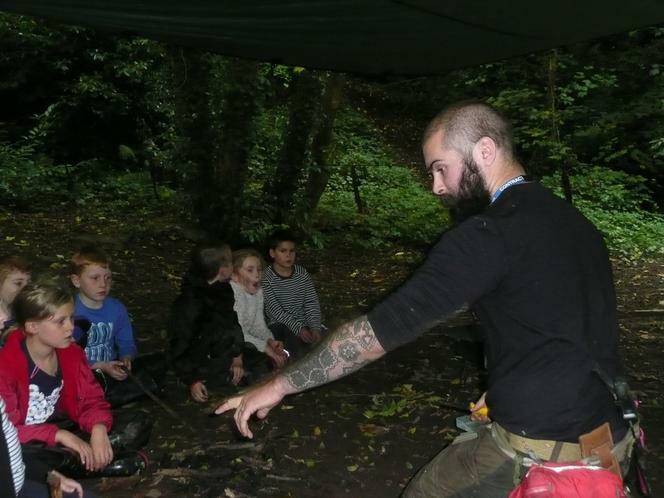 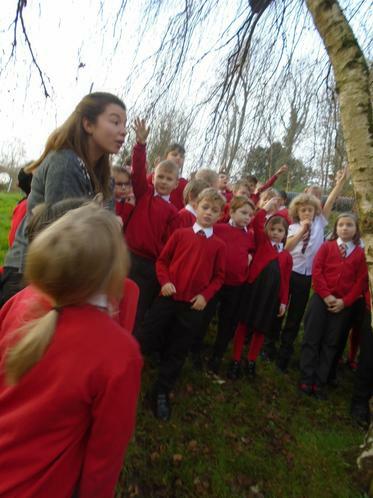 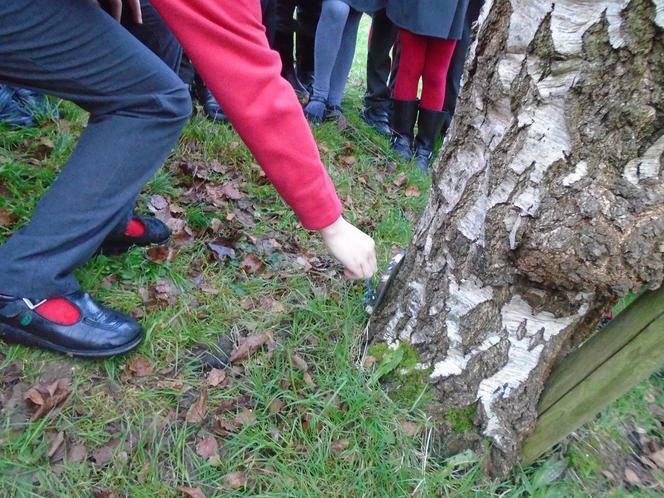 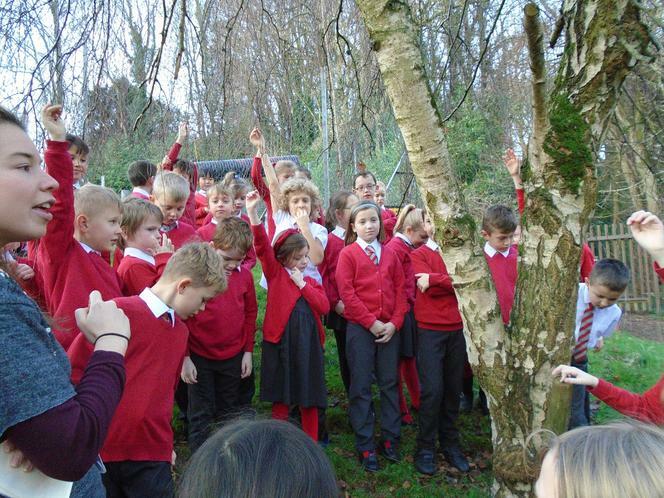 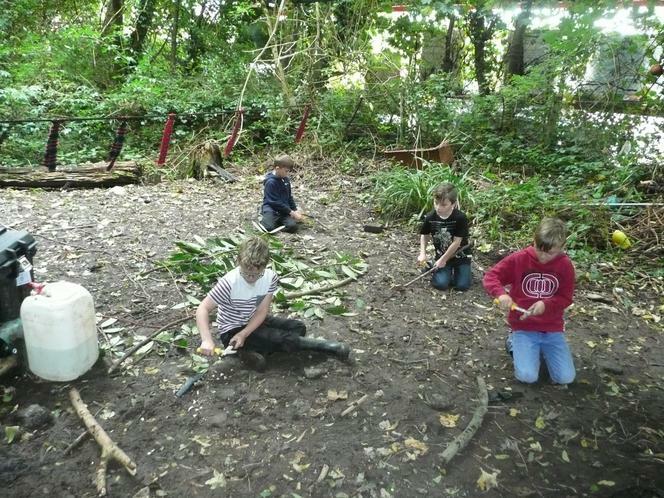 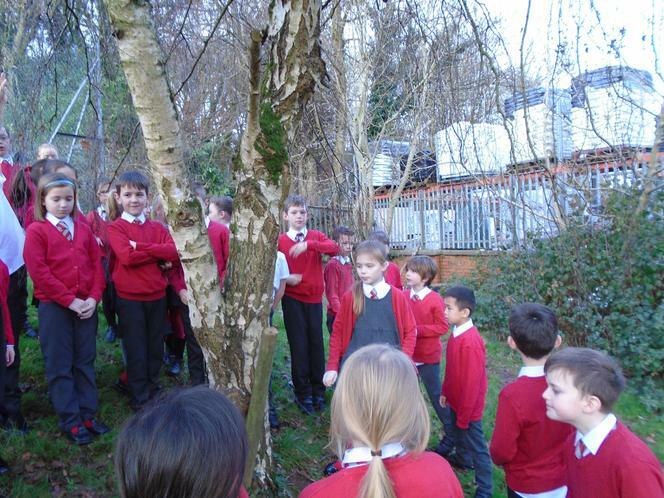 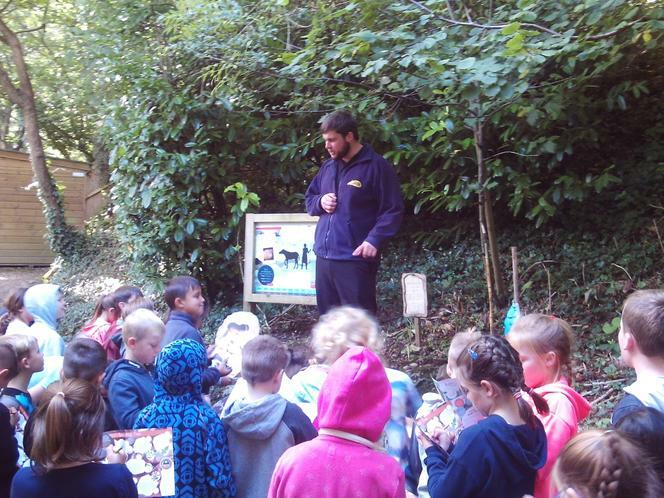 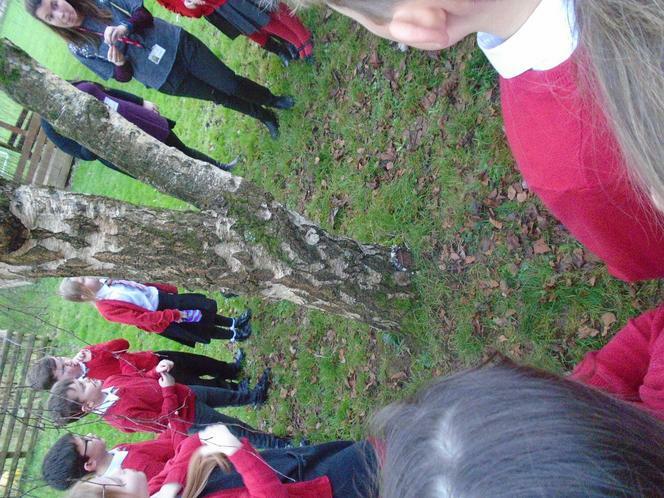 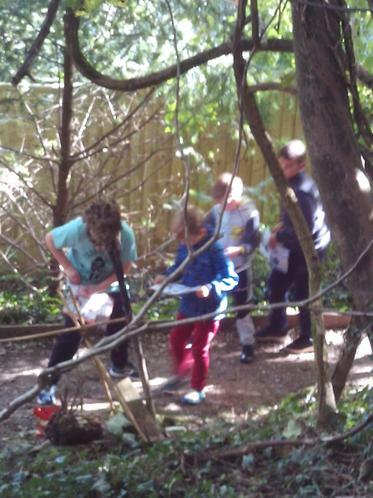 Lewis from Children of the Forest took Year 4 in to our local woods to learn some incredible woodland skills. 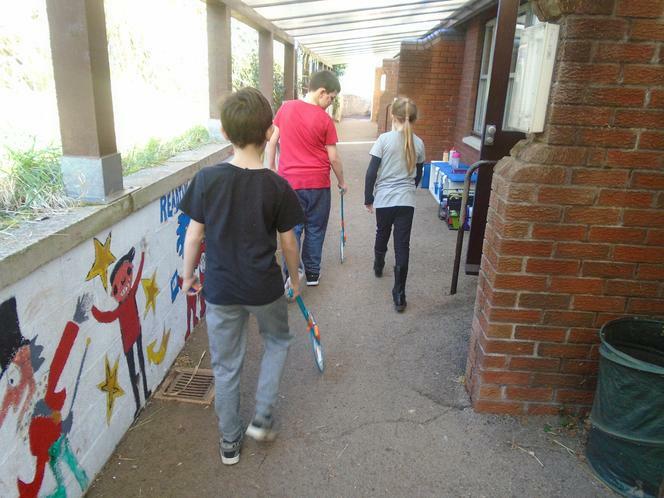 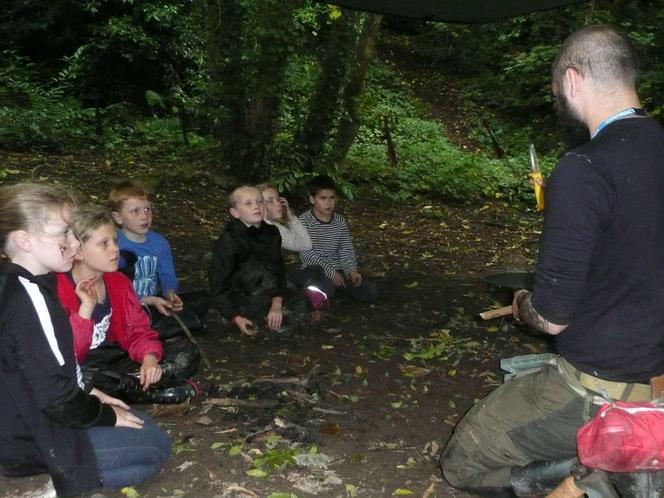 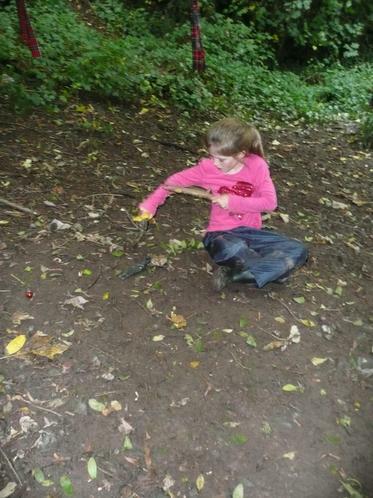 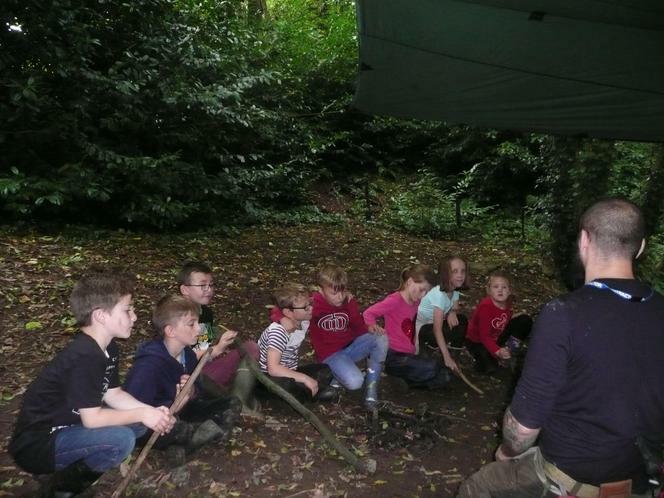 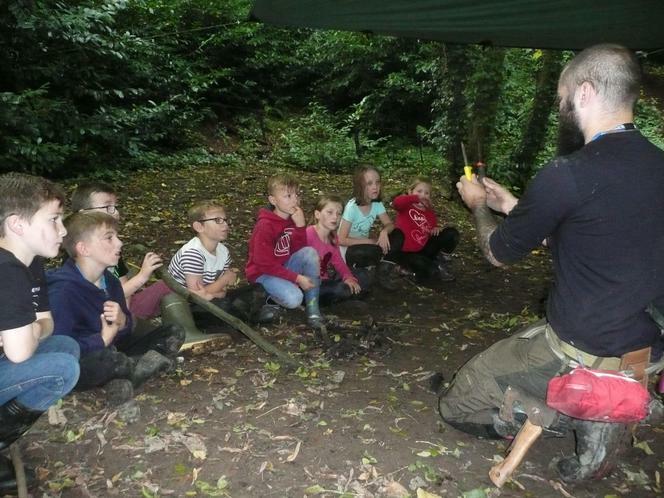 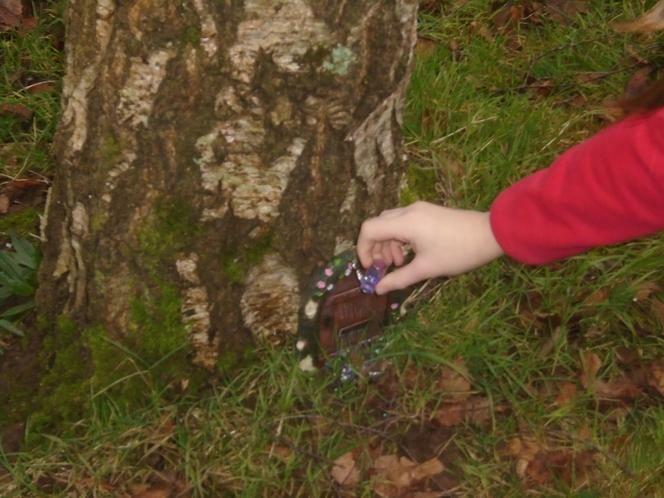 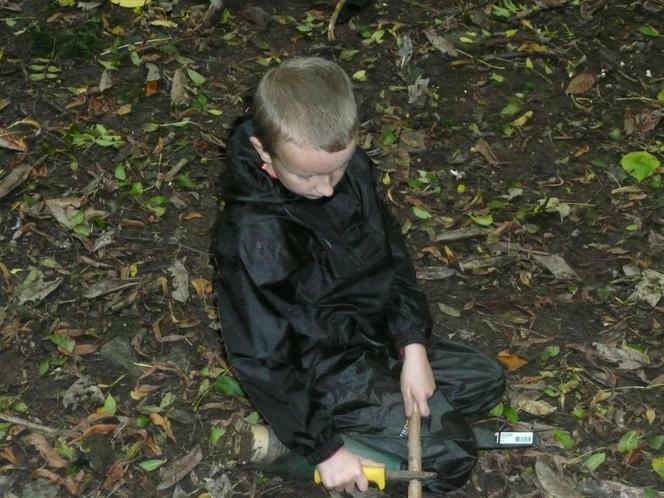 We learnt how to use a knife safely, to light a fire, recognise local fauna and flora, cook marshmallows, build swings, build shelters and how to be safe in the woods. 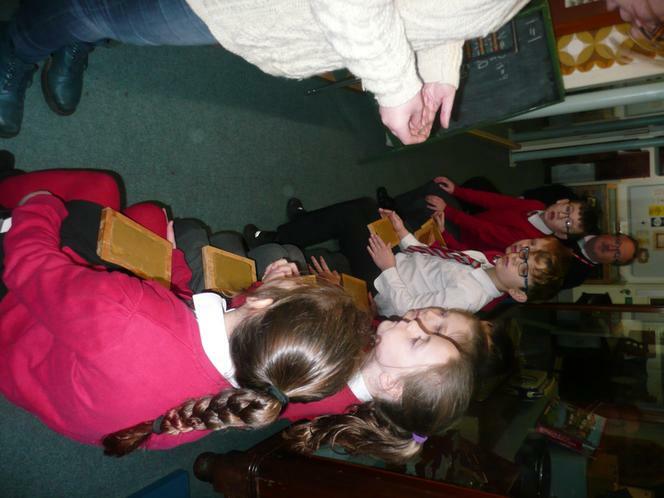 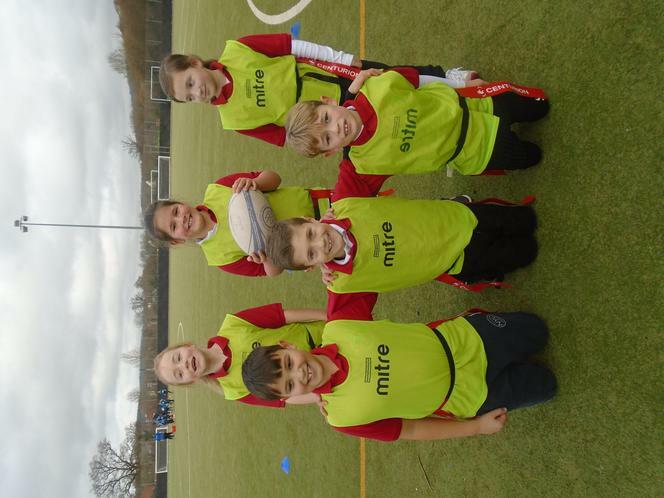 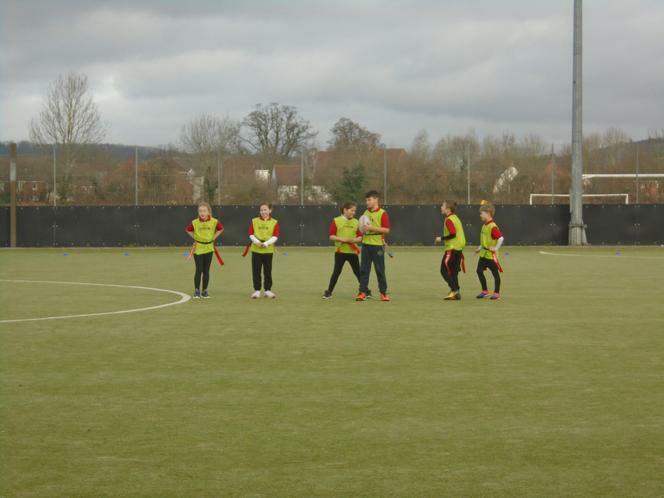 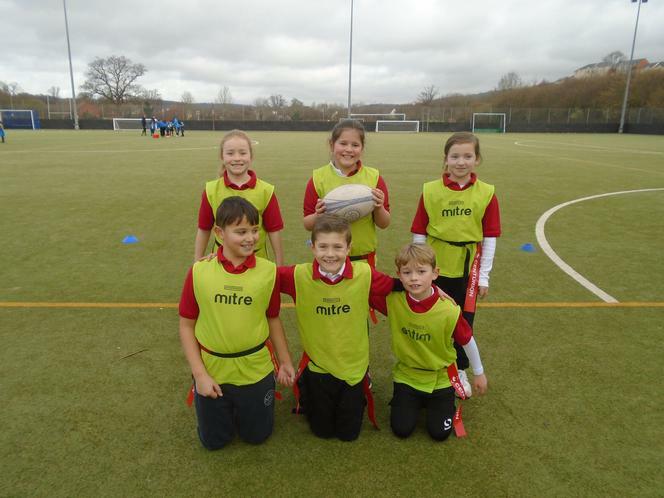 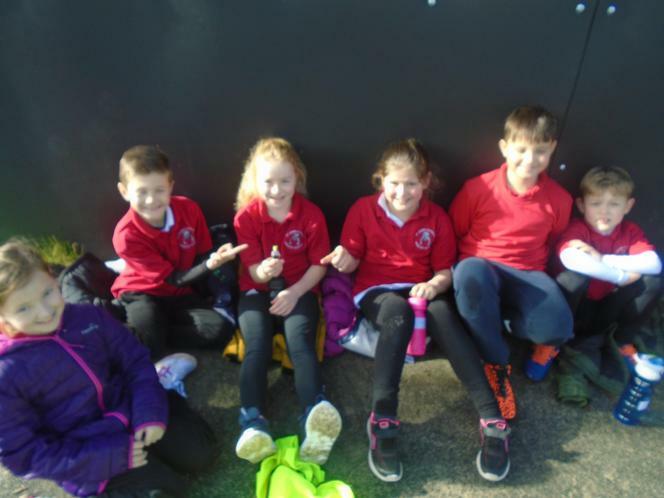 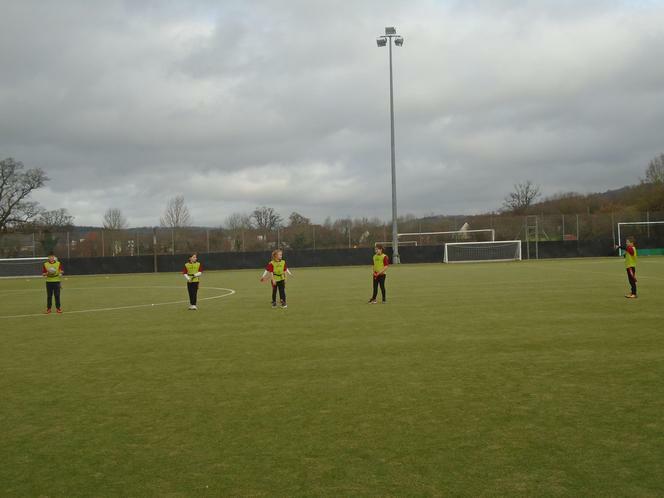 We all had a great time and look forward to our next lesson.